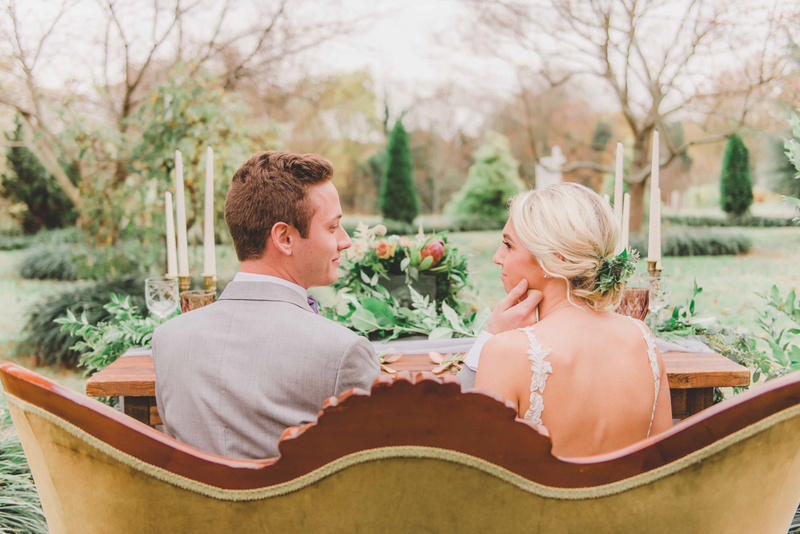 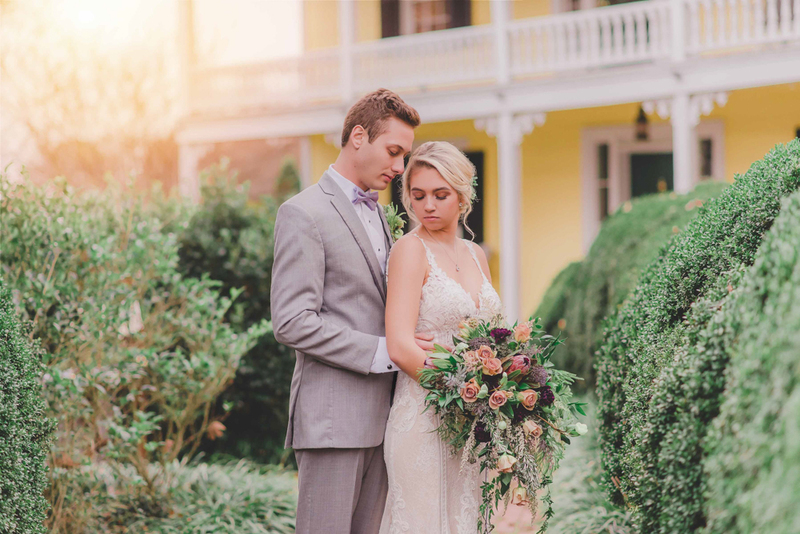 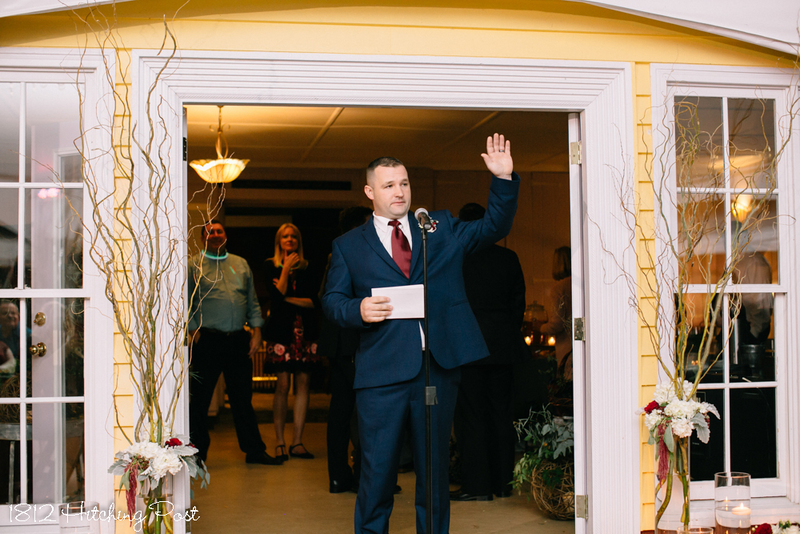 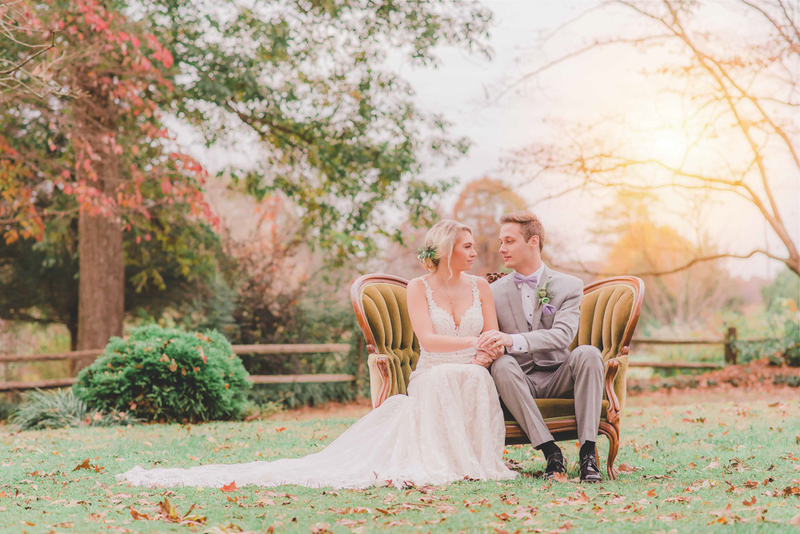 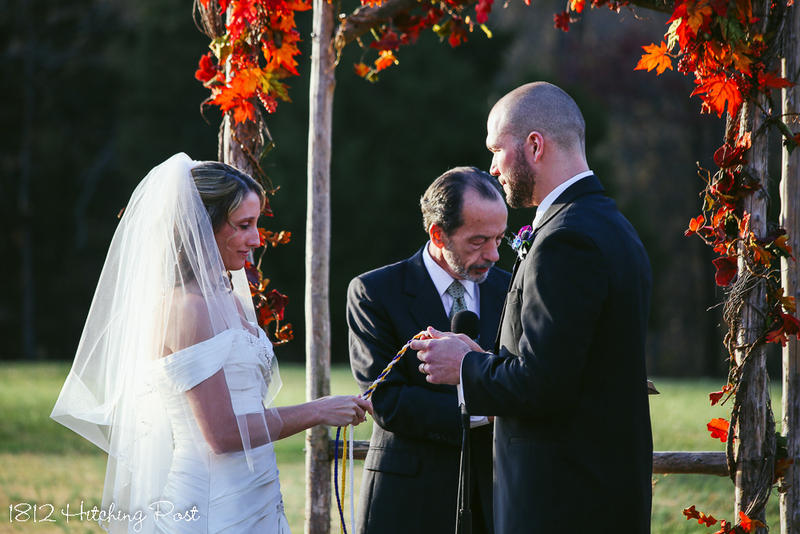 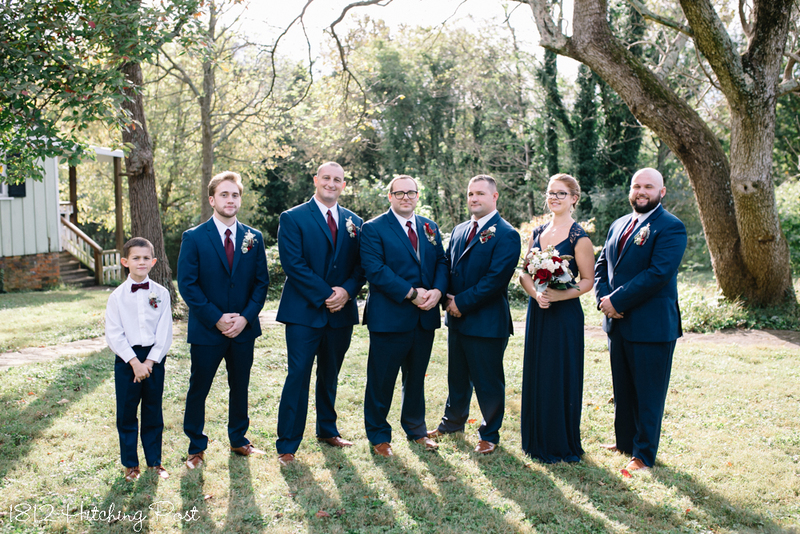 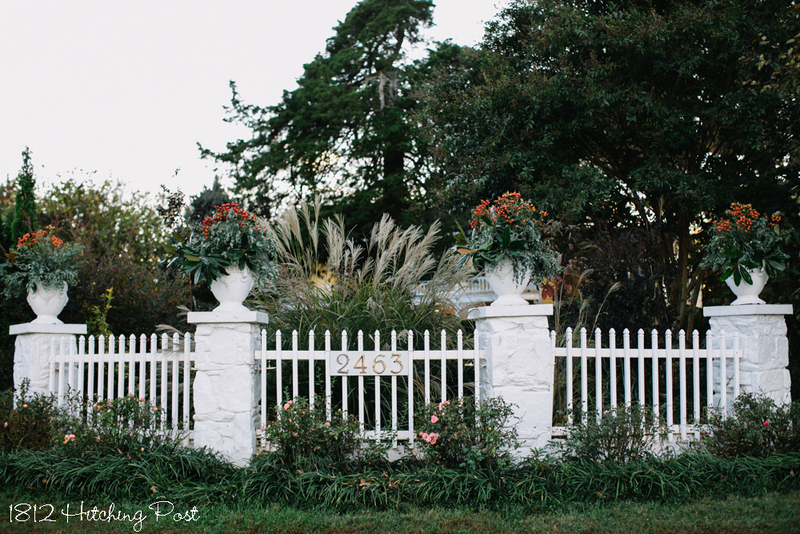 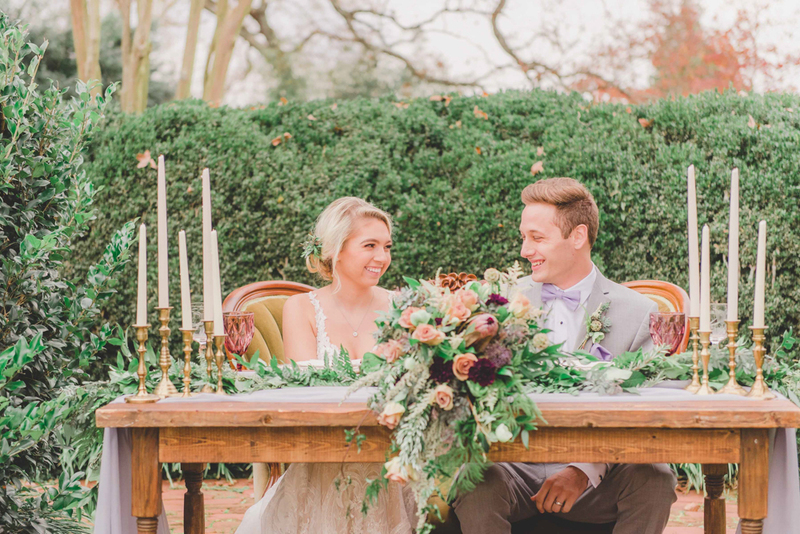 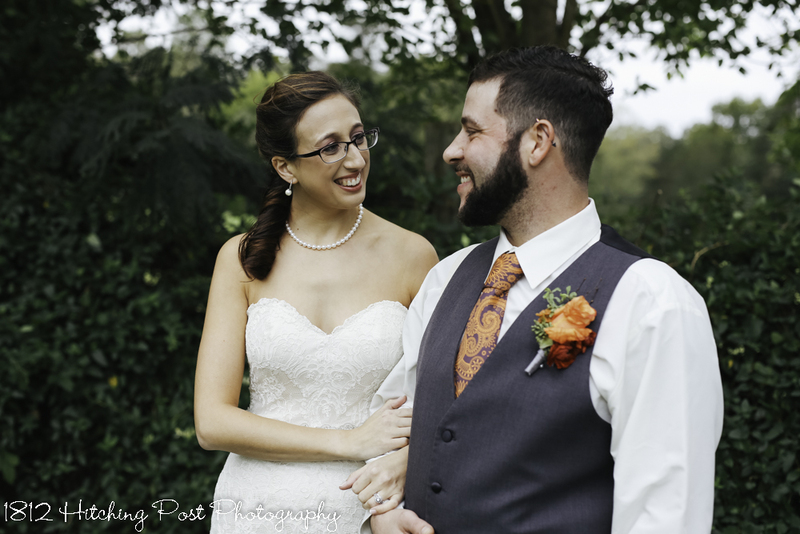 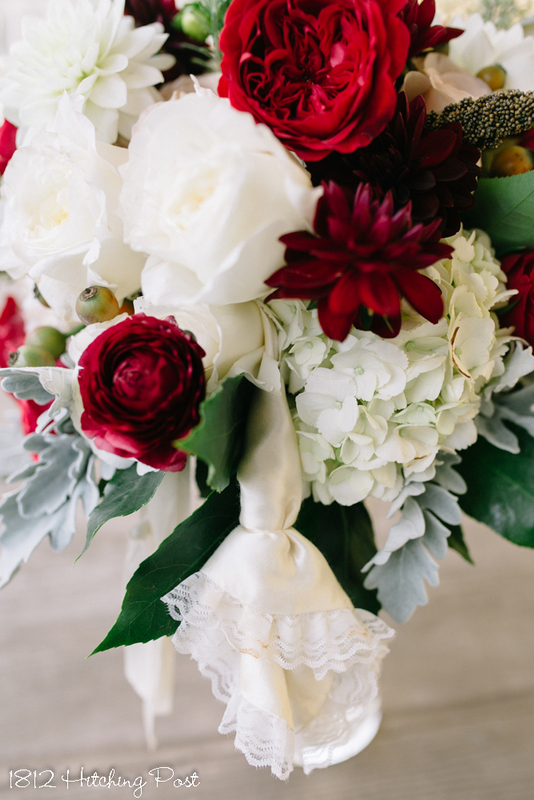 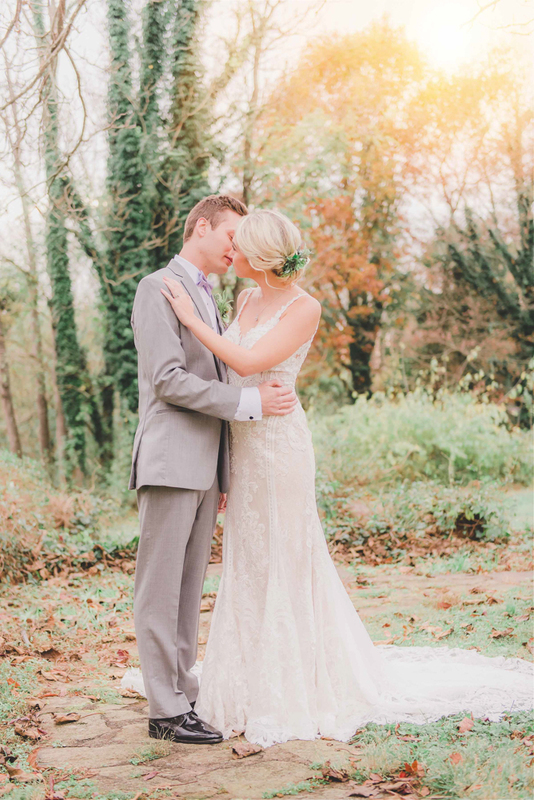 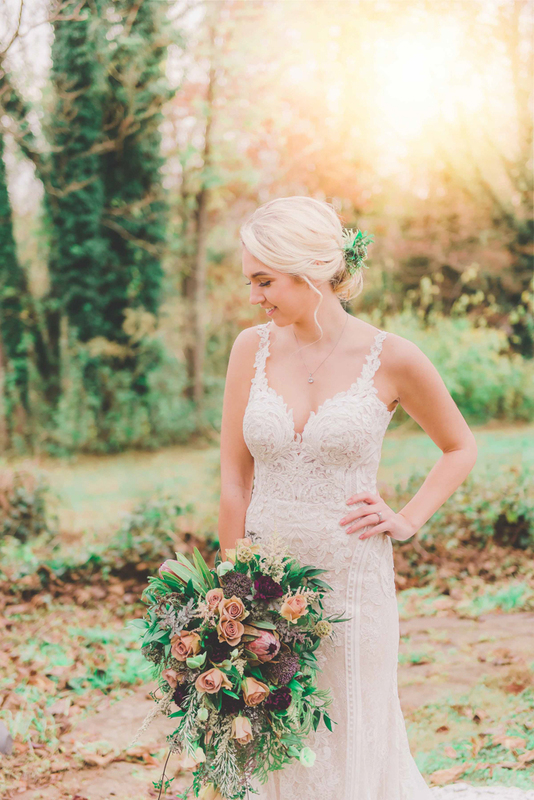 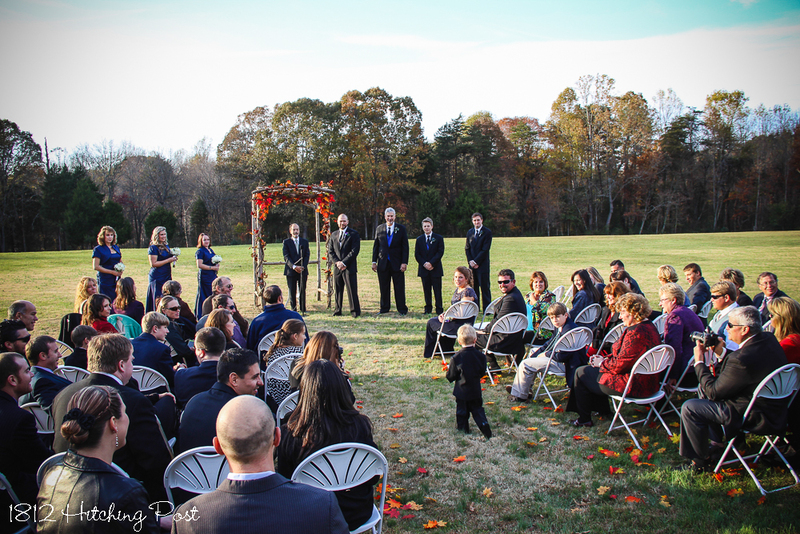 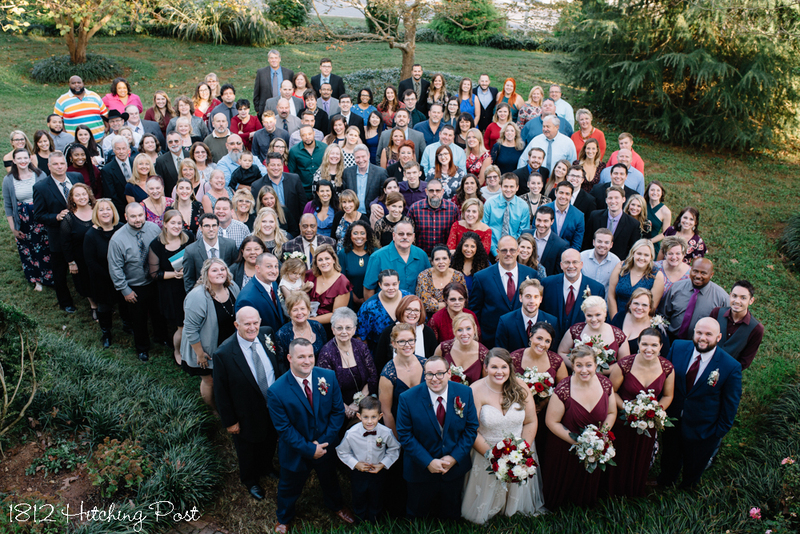 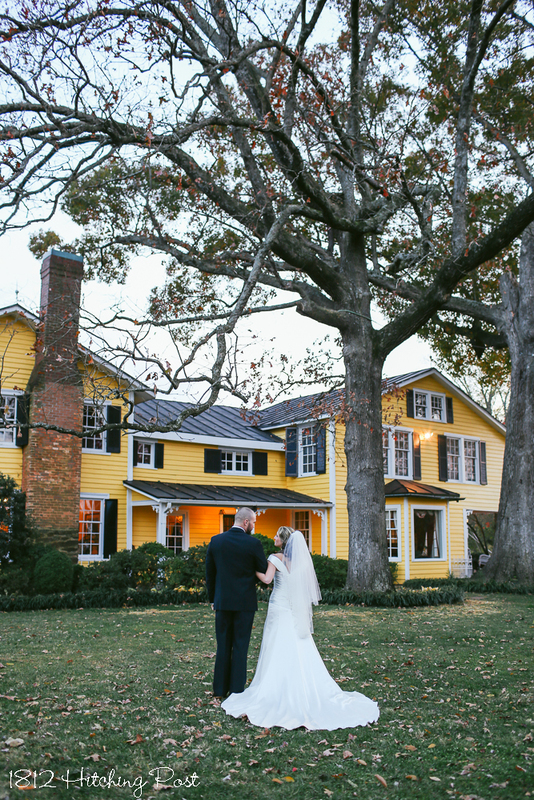 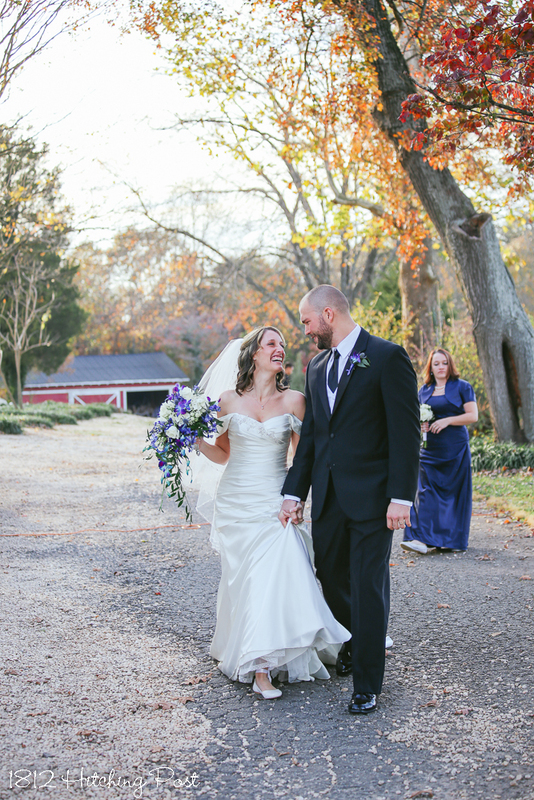 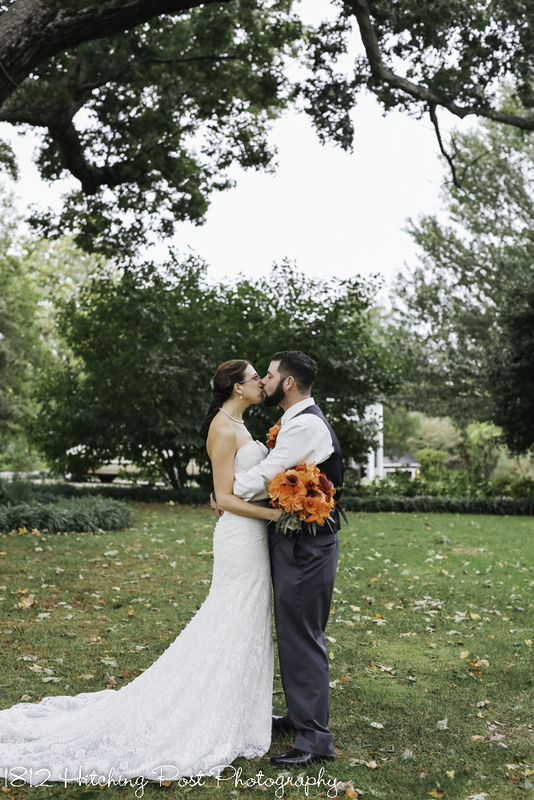 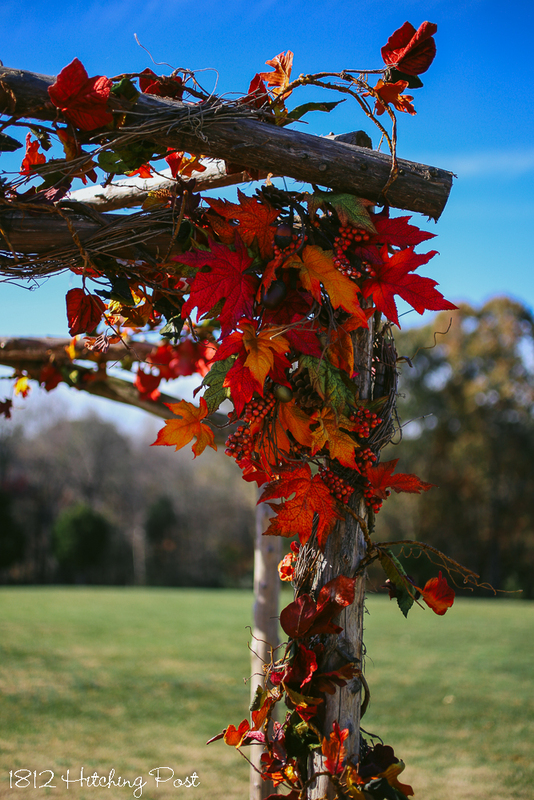 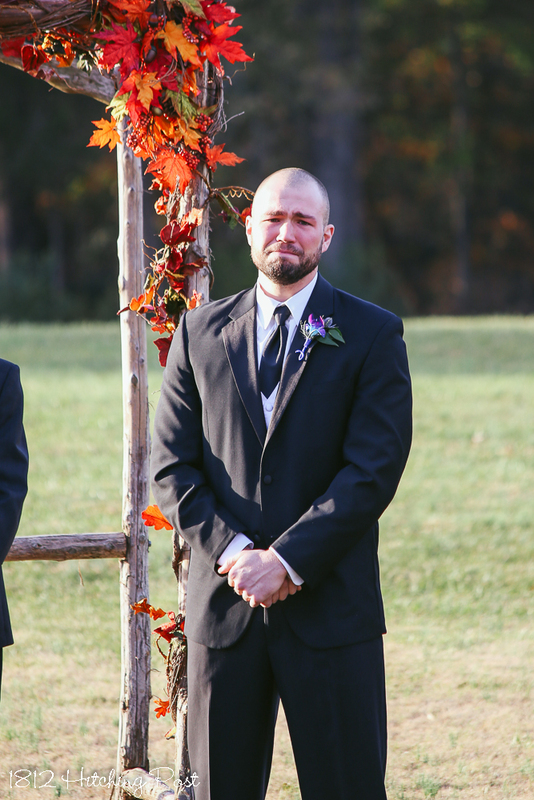 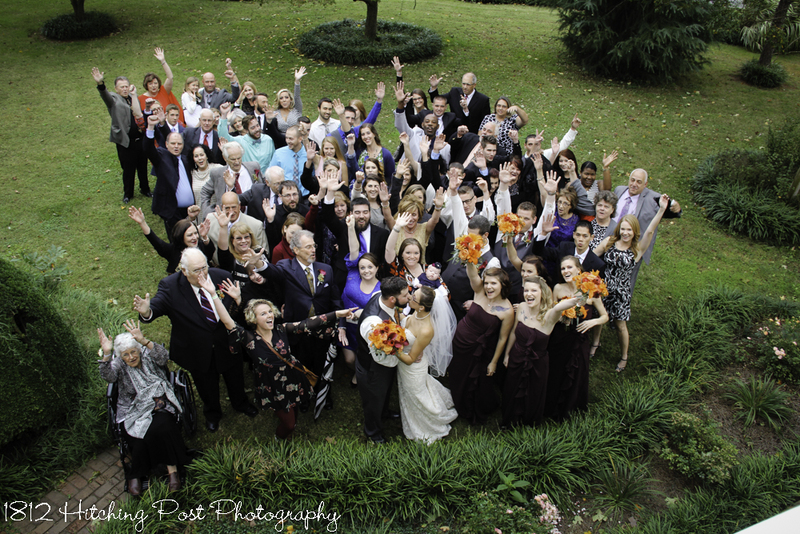 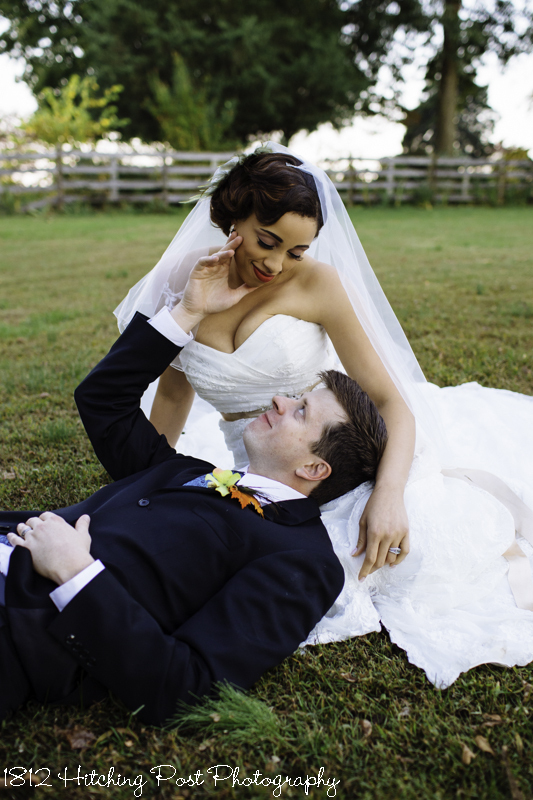 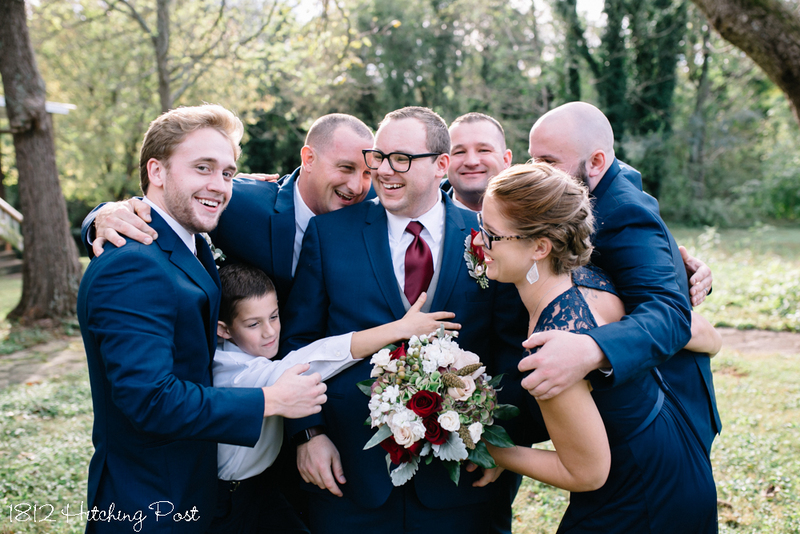 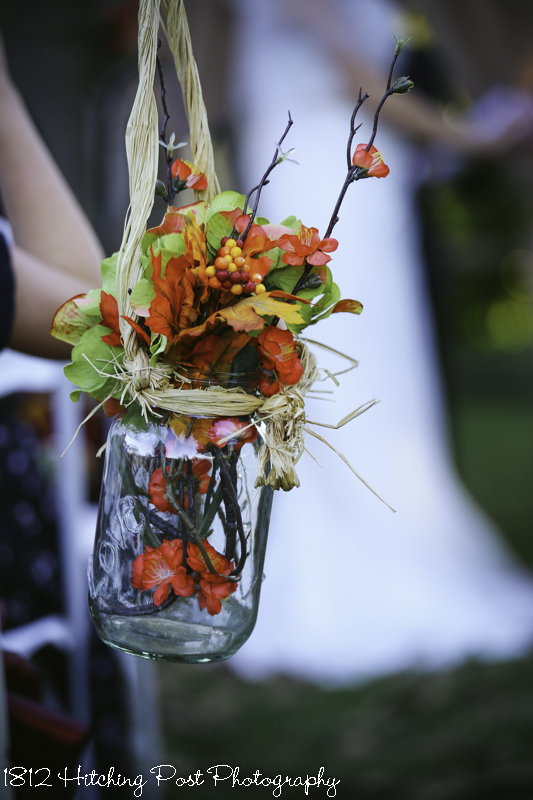 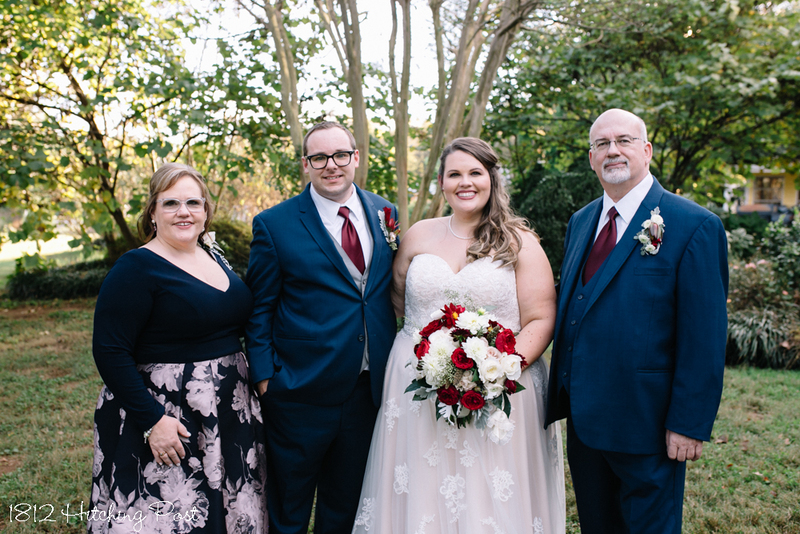 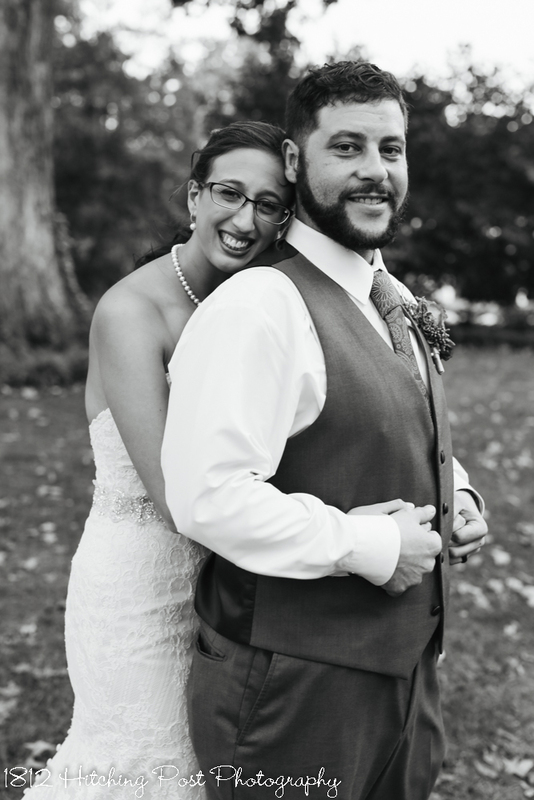 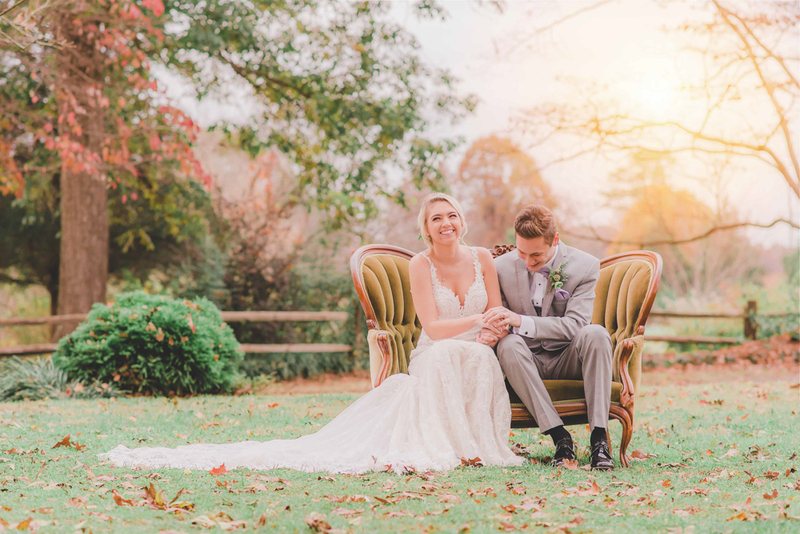 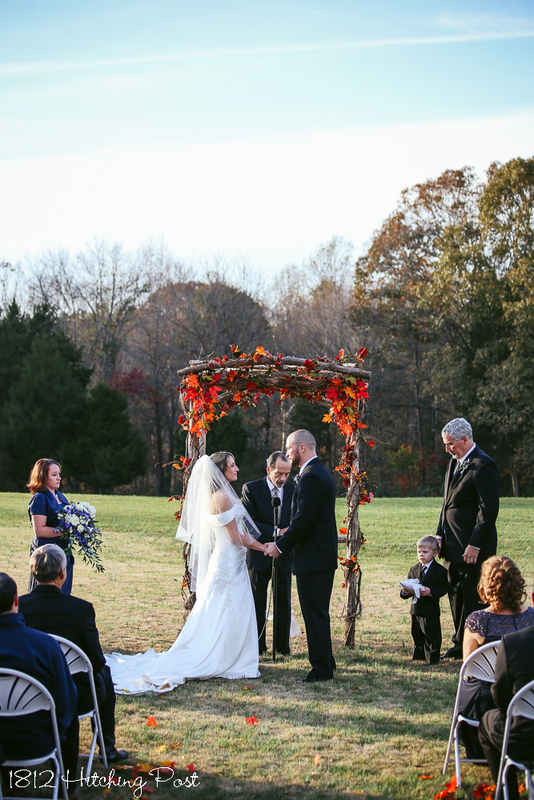 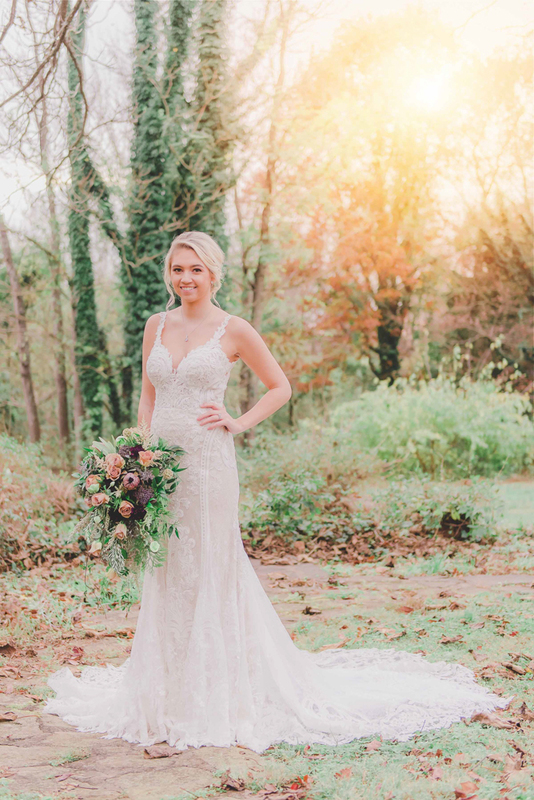 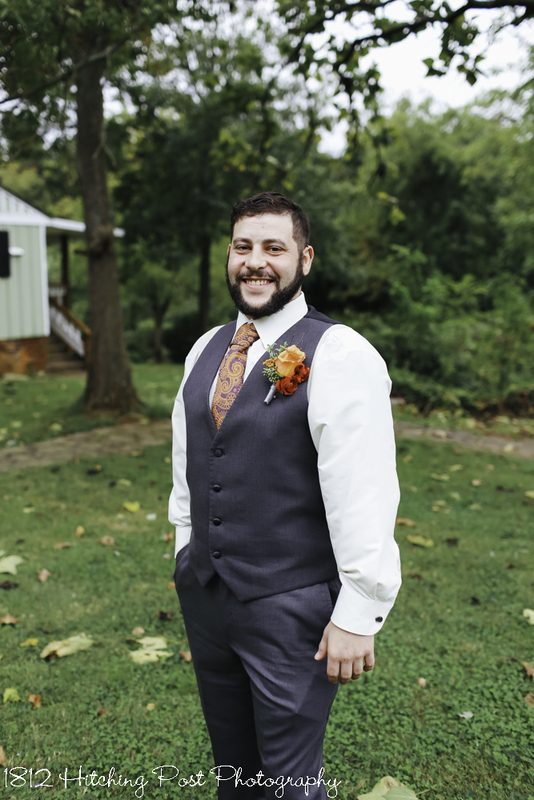 The autumn colors of early November were the gorgeous backdrop for this memorable and emotion filled wedding. 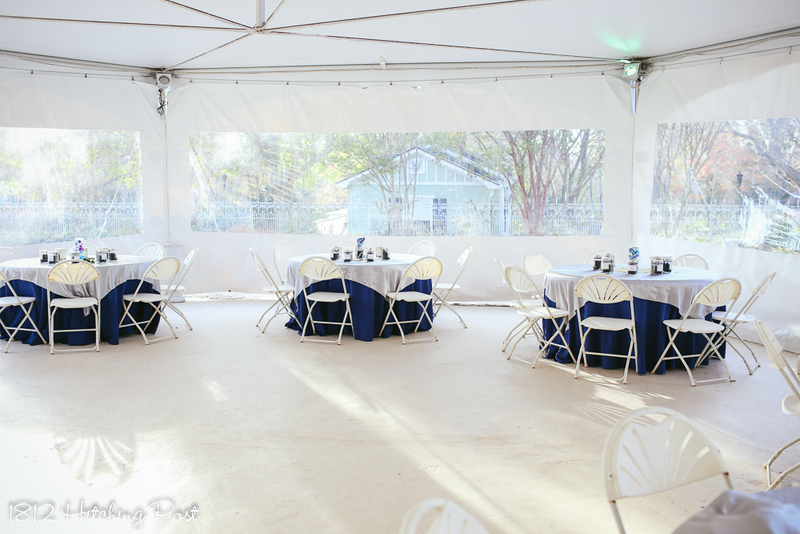 The dining tables had navy tablecloths with silver overlay. 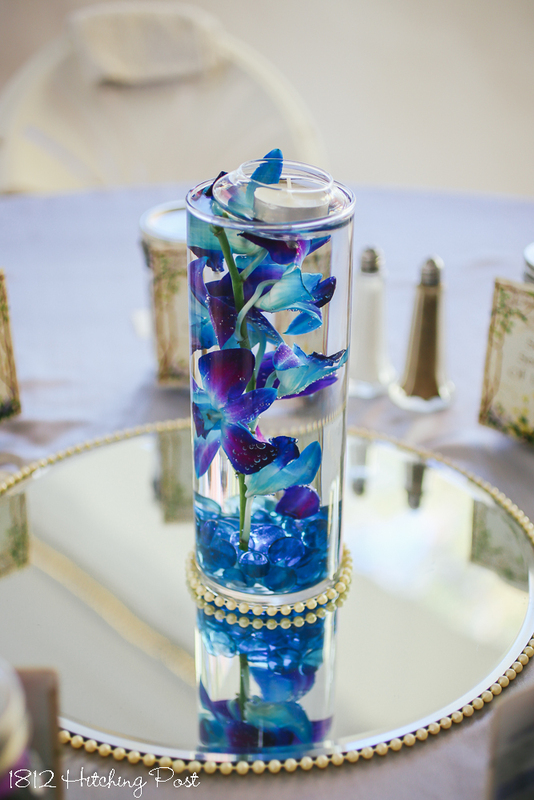 Centerpieces were submerged orchids with floating candles in a vase wrapped with pearls on a mirror also surrounded by pearls. 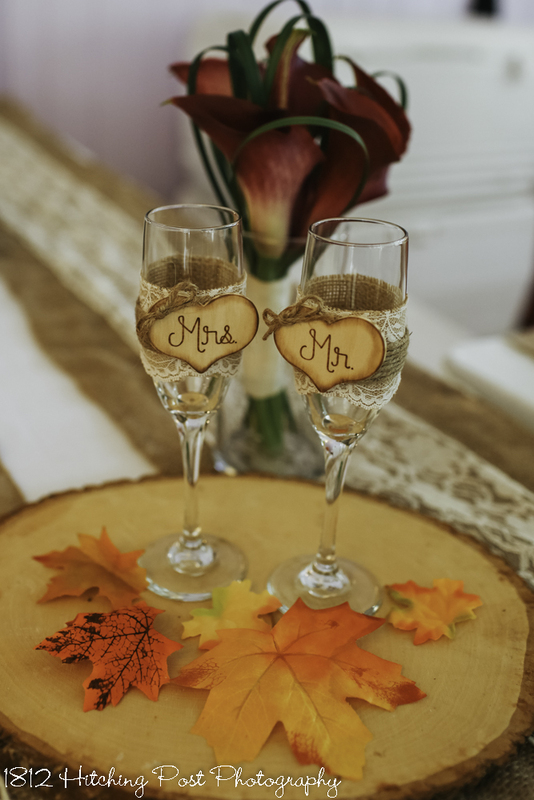 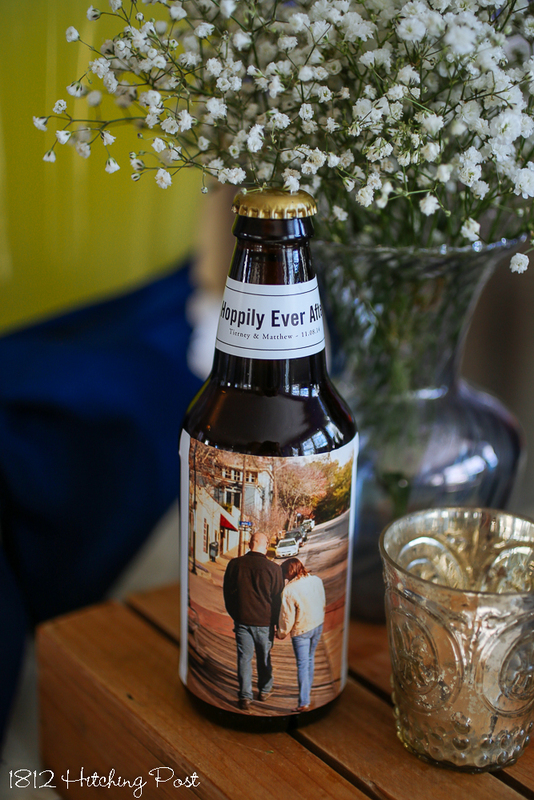 The couple brought home brew for their guests with custom labels from engagement photos. 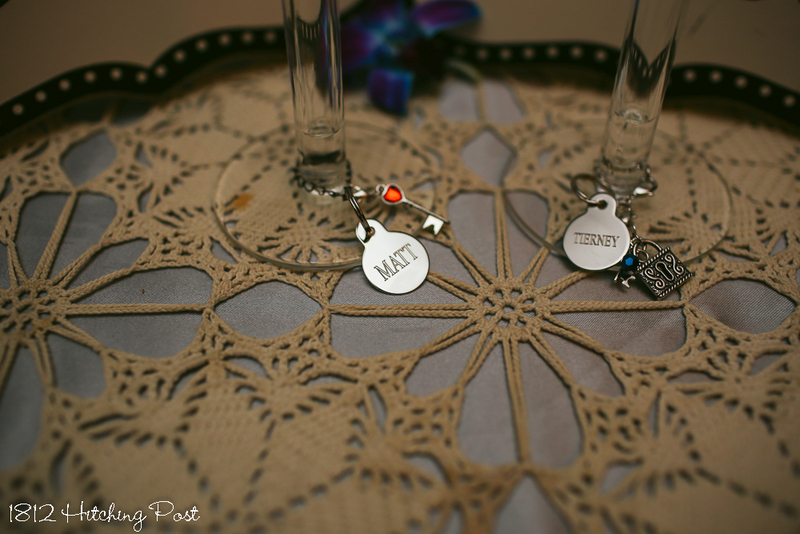 From the day I met them, Tierney and Matt were so sweet and kind and loving to each other and to me. 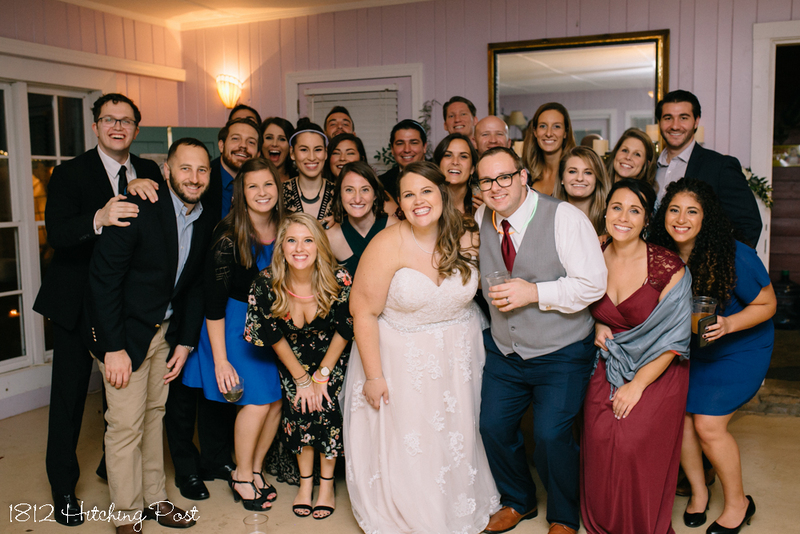 Their friends and family were all the same way. 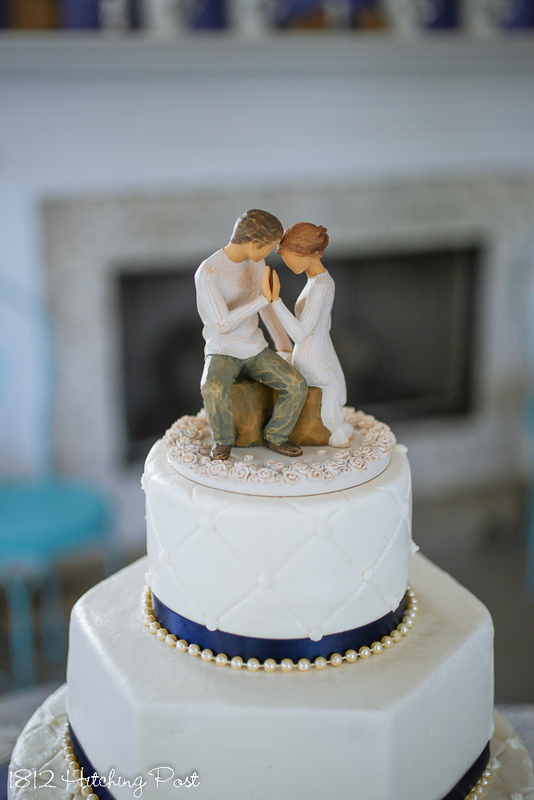 This is the kind of wedding that reminds us of the powerful commitment of marriage. 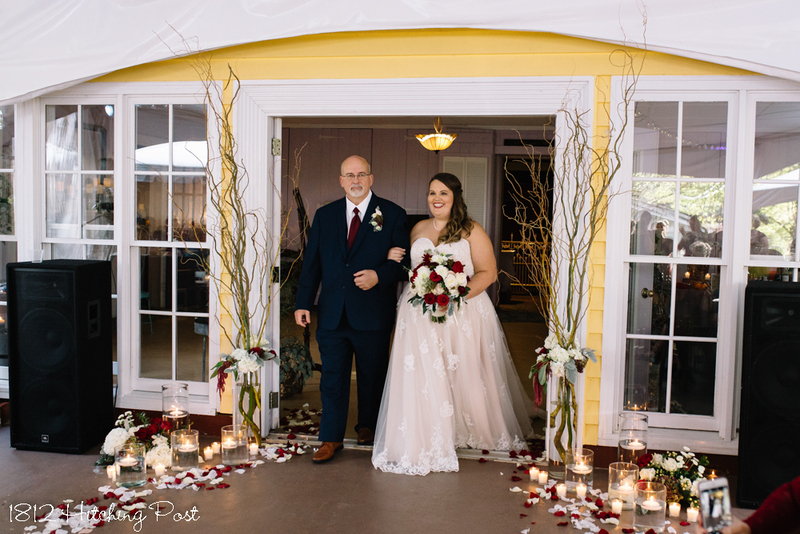 Wendy and her team at the 1812 Hitching Post are talented professionals who helped us design and carry out the perfect wedding. 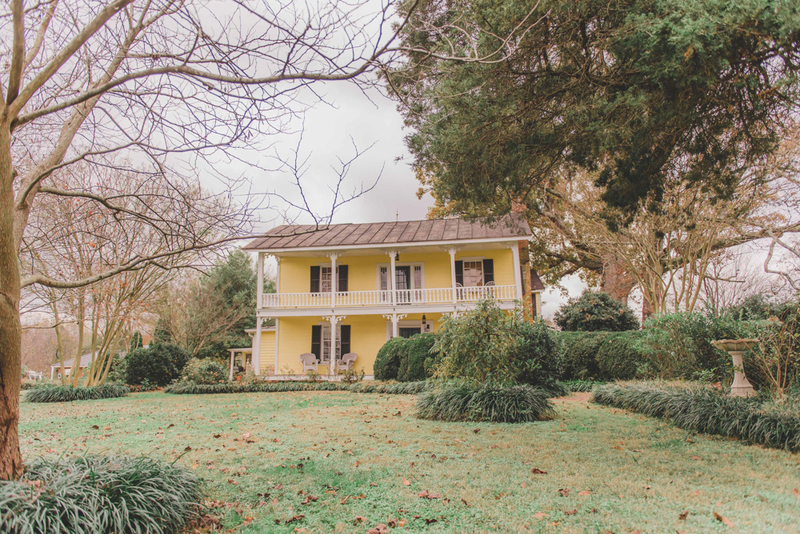 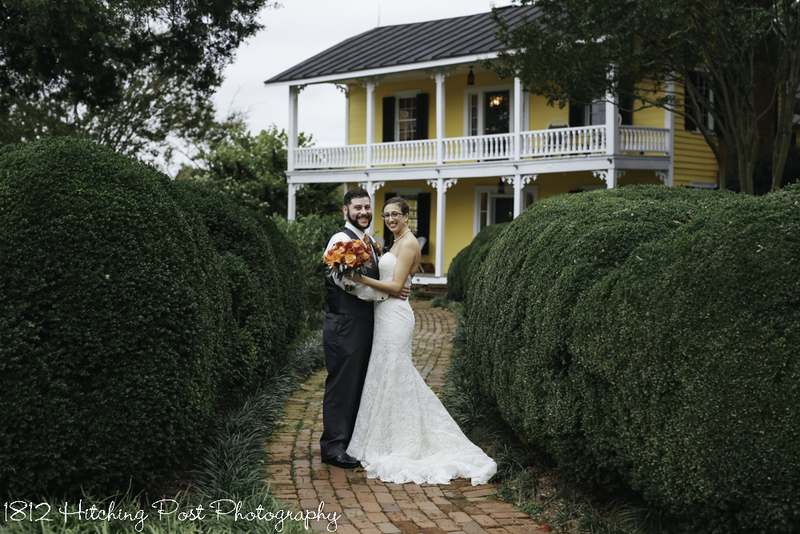 My husband and I fell in love with the beauty of the location the first time we visited and it provided a vivid backdrop to our celebration. 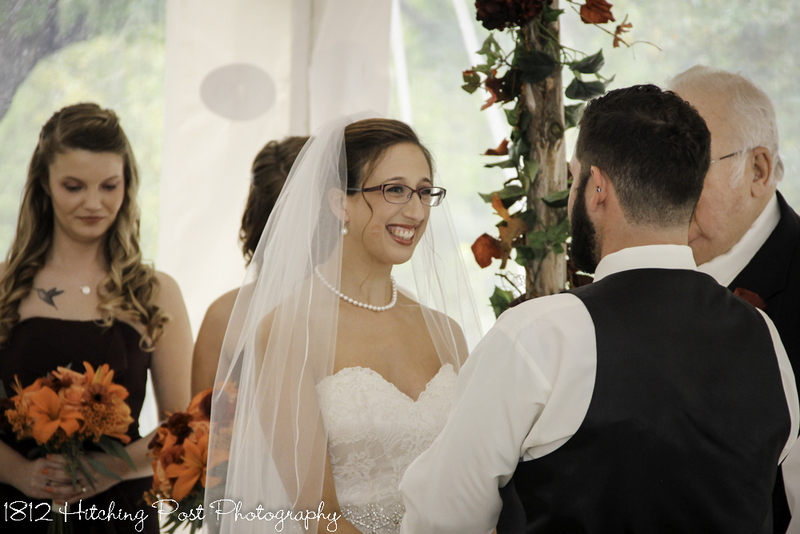 Wendy was an amazing partner in the planning process, even though I was doing much of the planning from a distance. 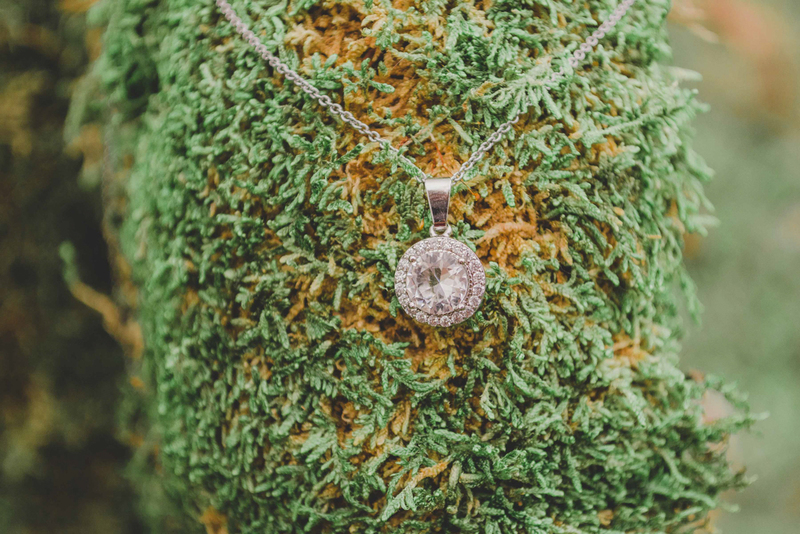 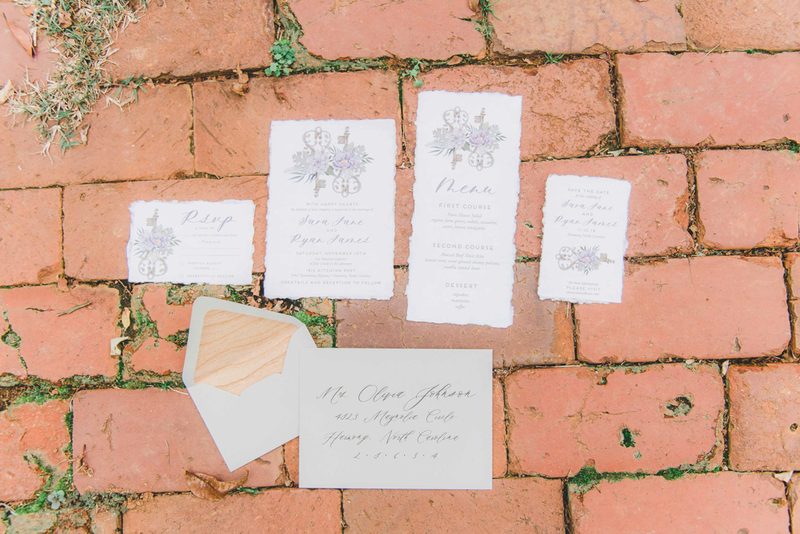 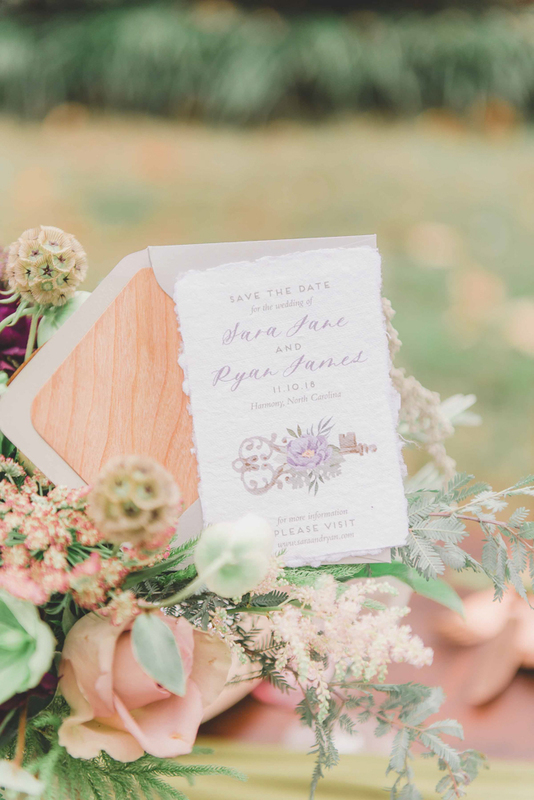 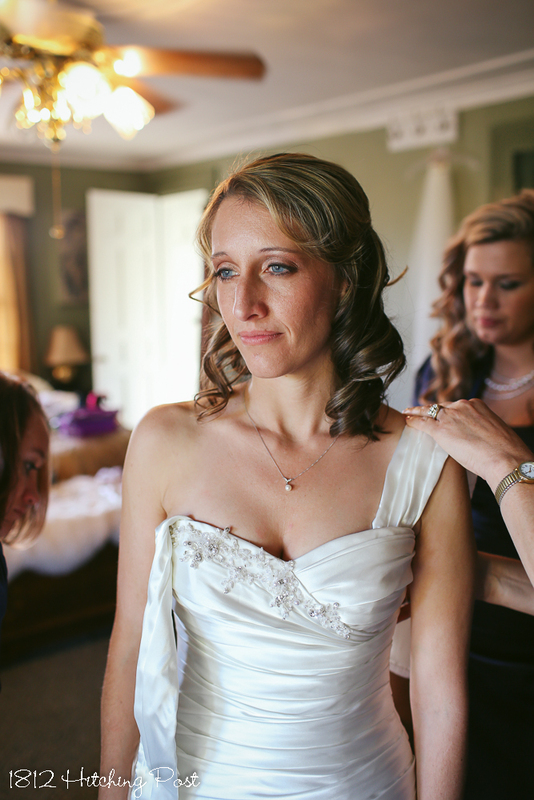 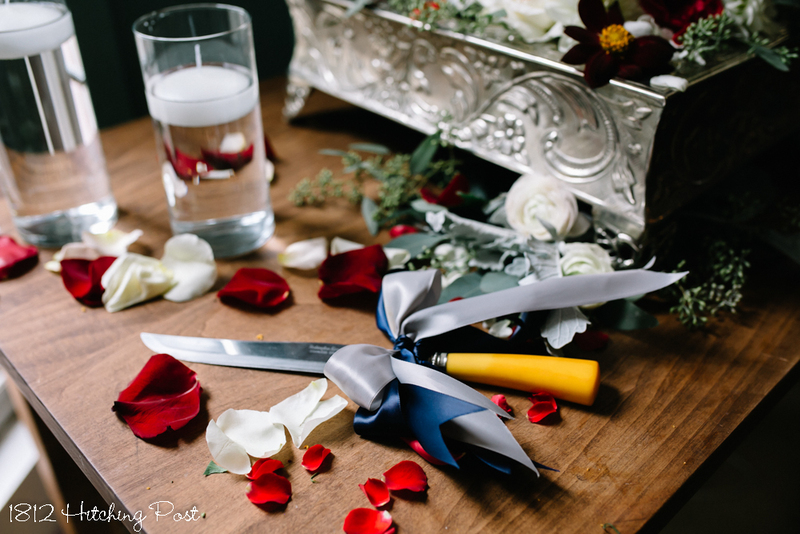 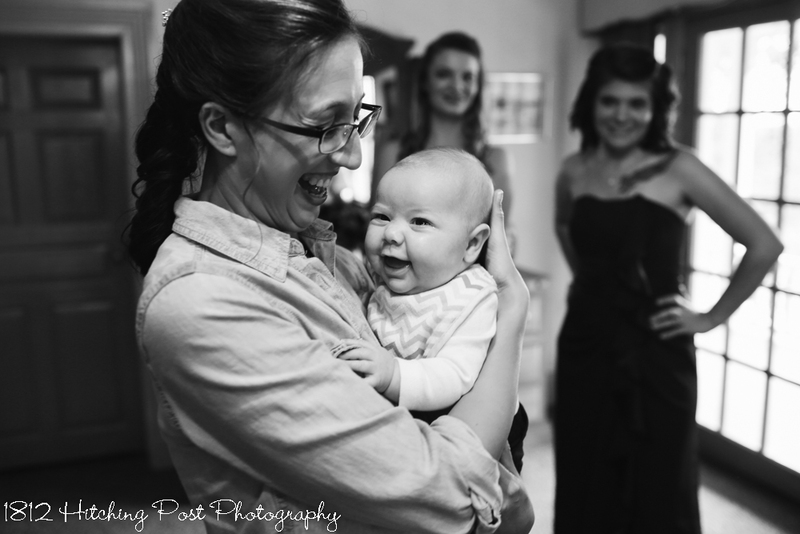 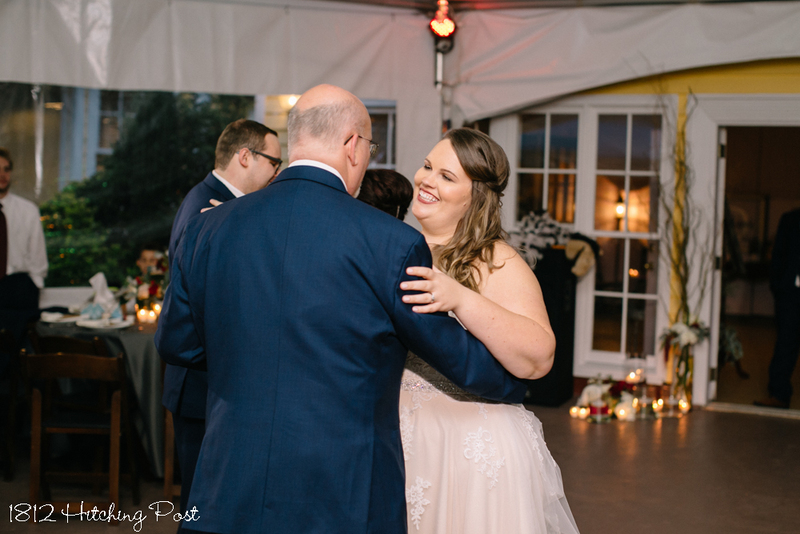 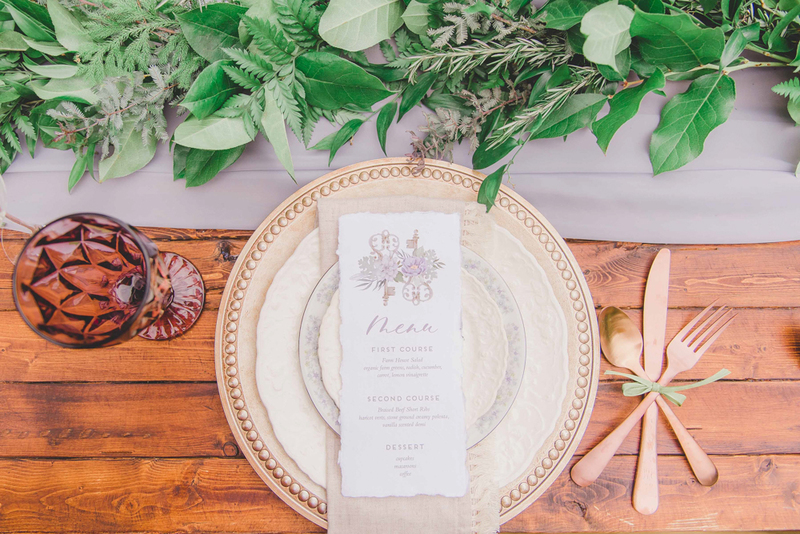 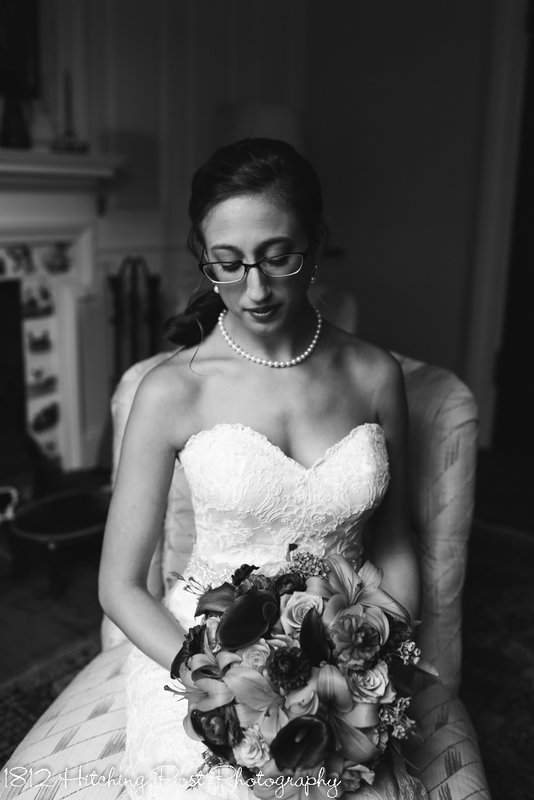 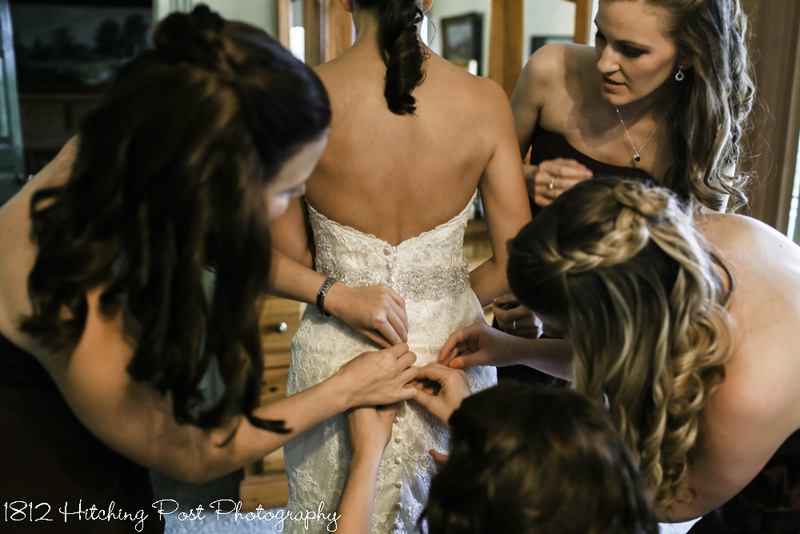 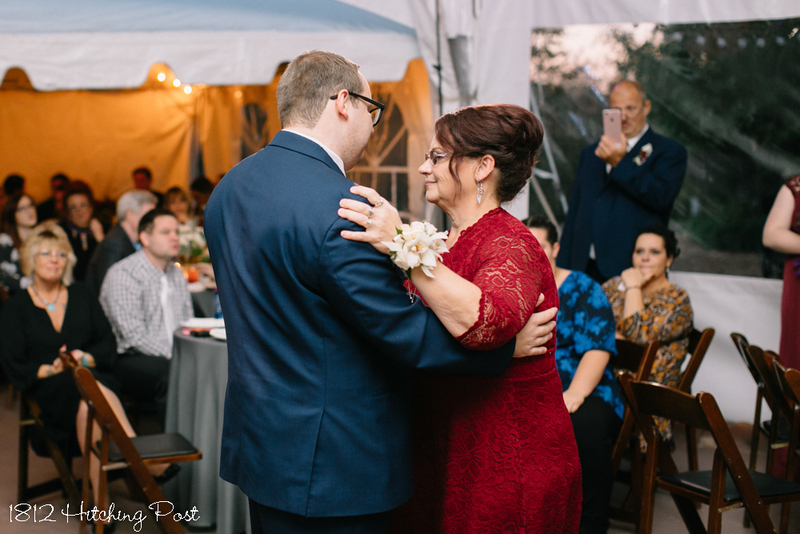 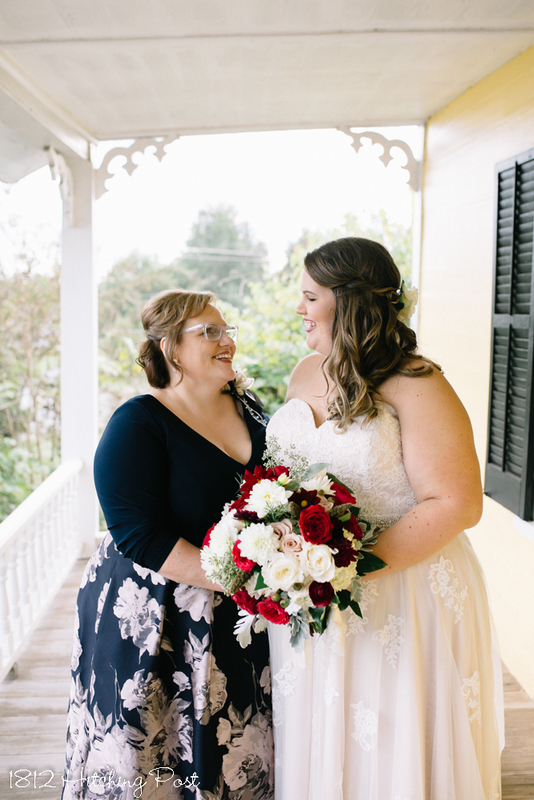 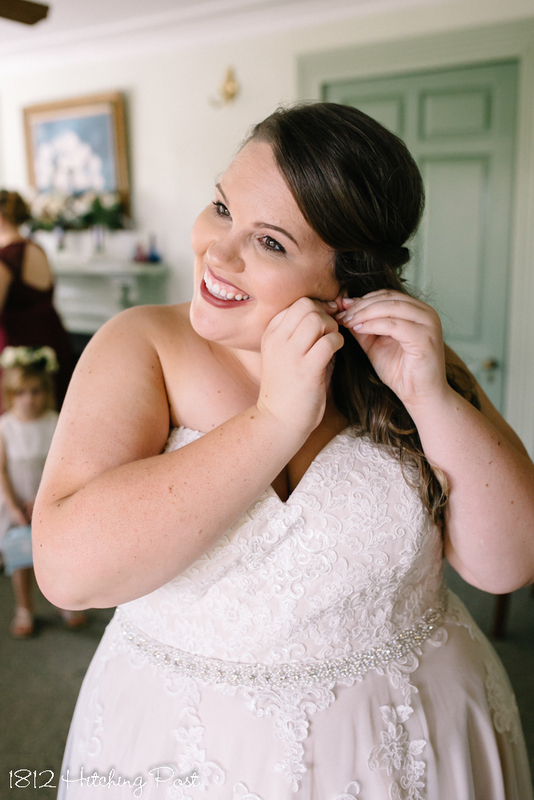 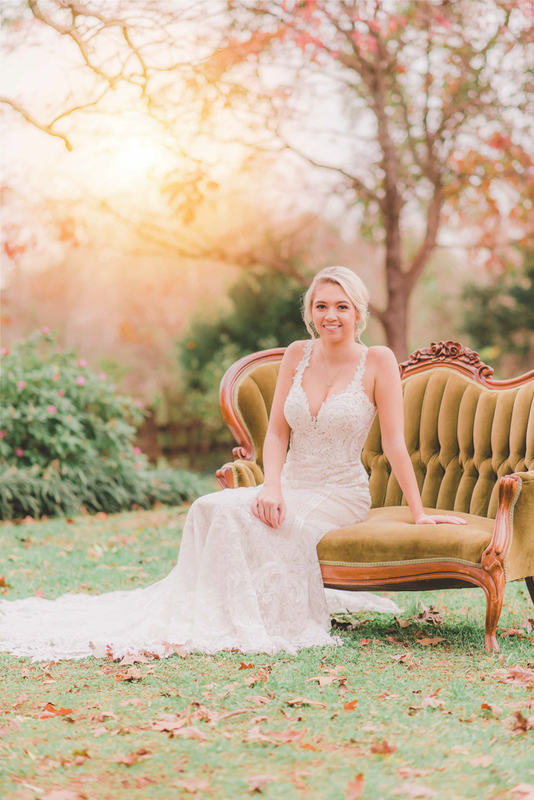 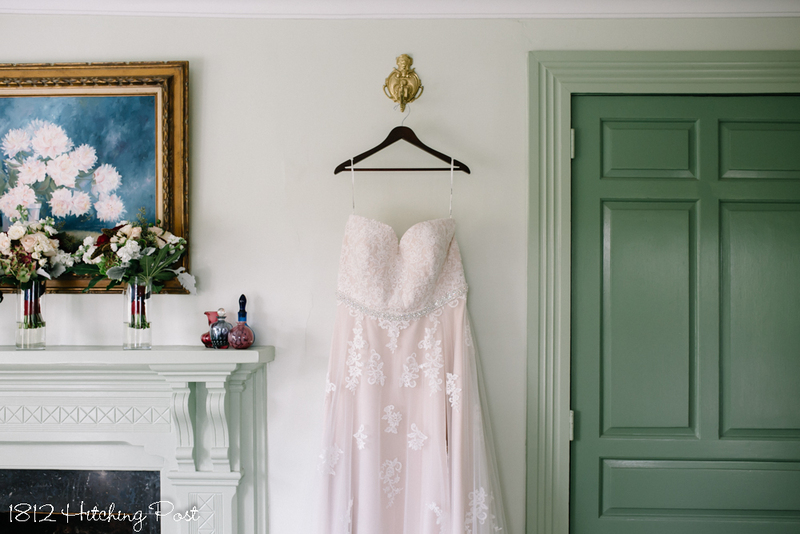 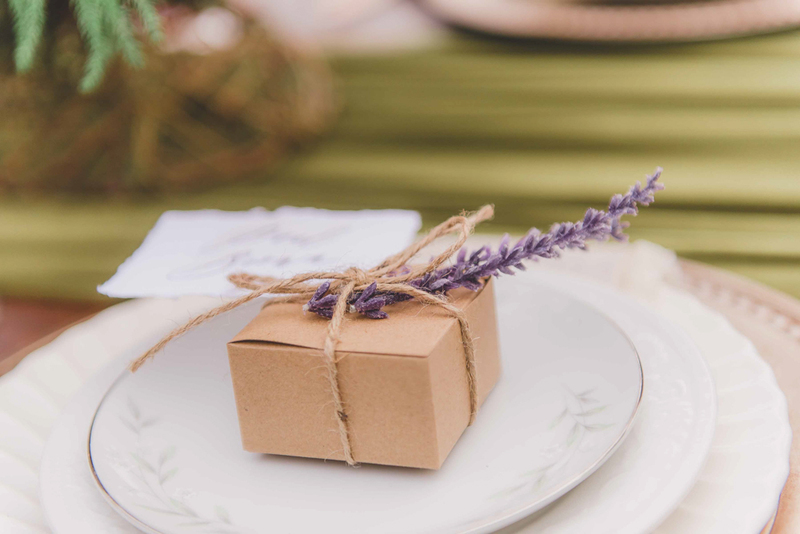 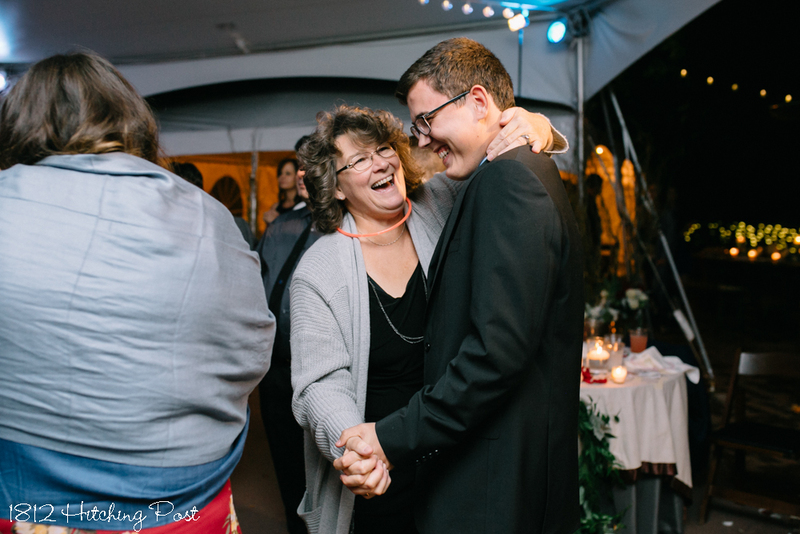 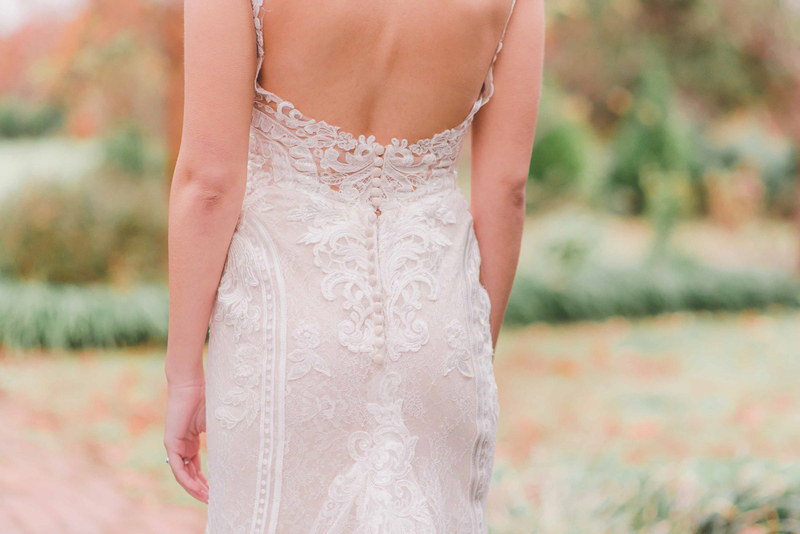 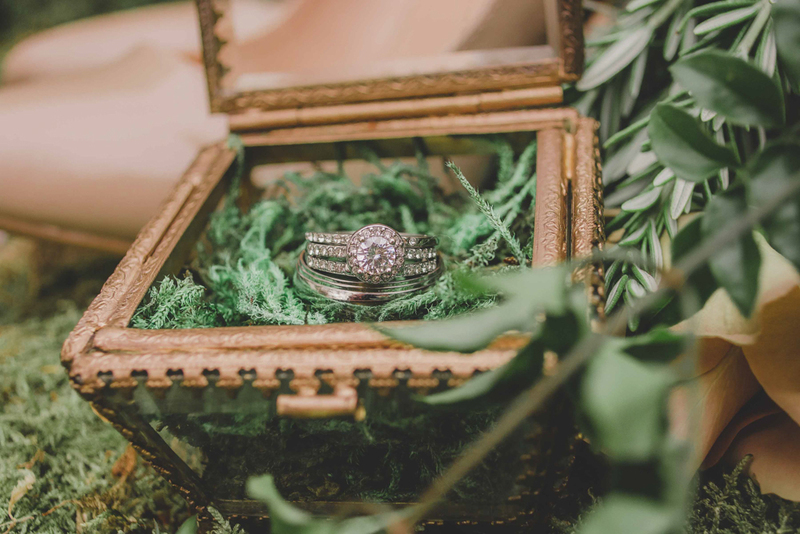 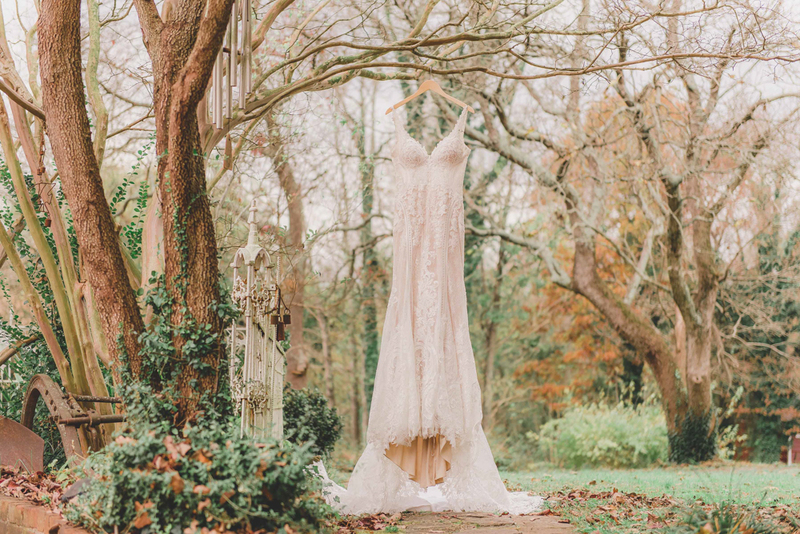 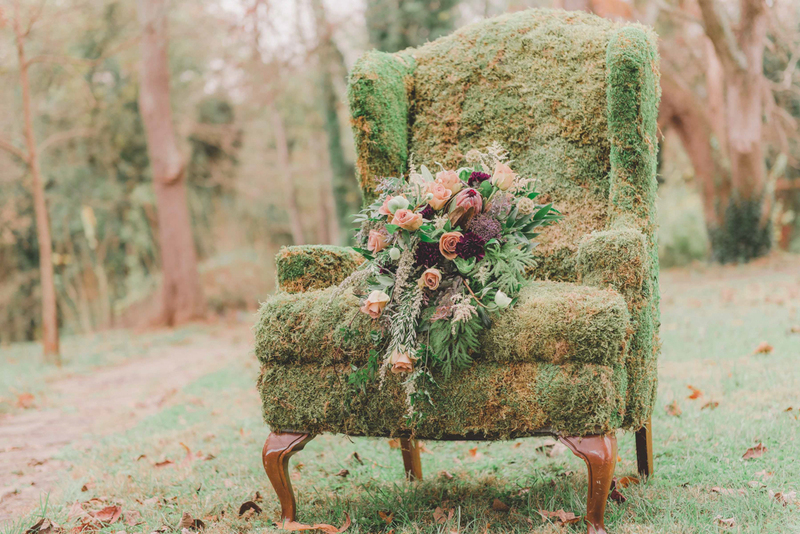 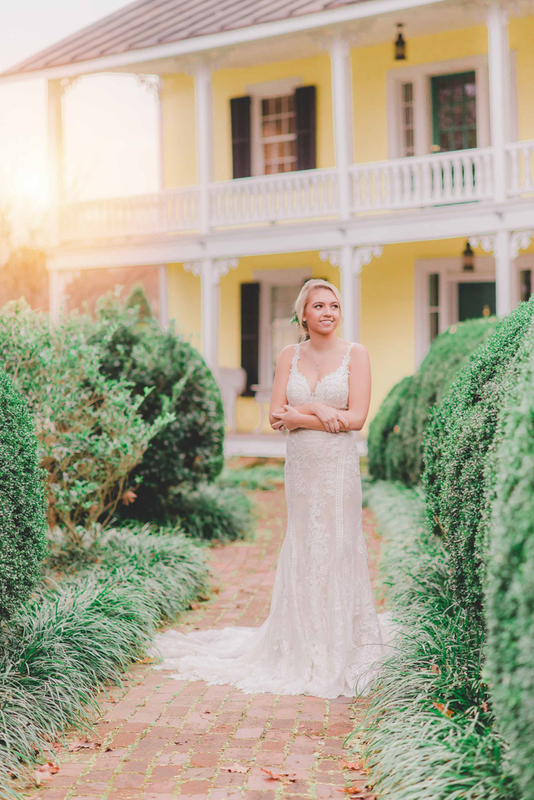 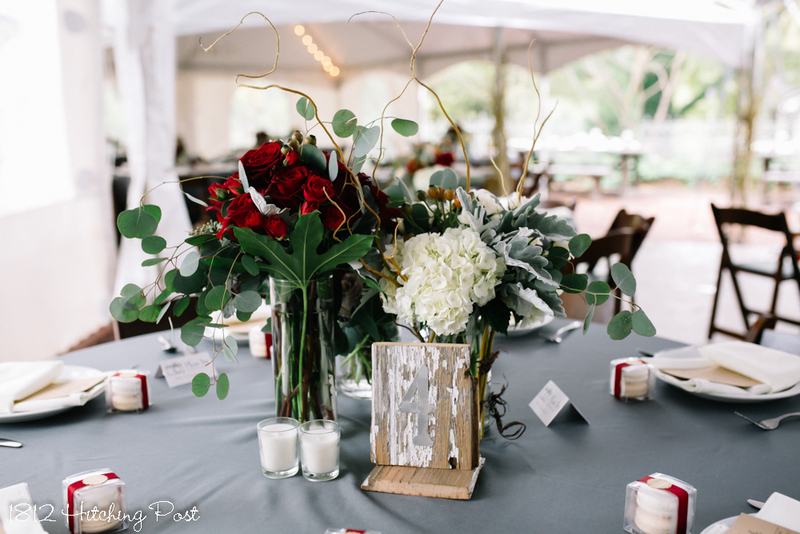 Her passion for her work was evident in everything she did to prepare for the wedding day and she handled it with absolute calm and aplomb, ensuring that I considered all the little details I would otherwise have overlooked. 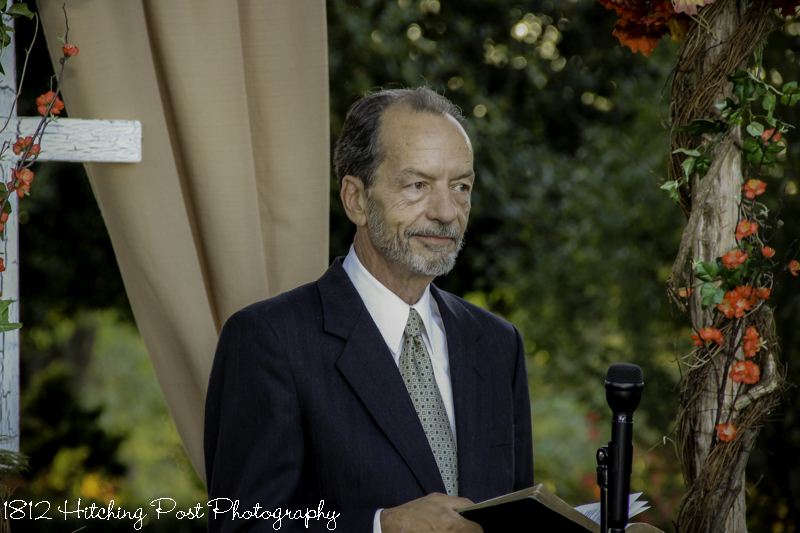 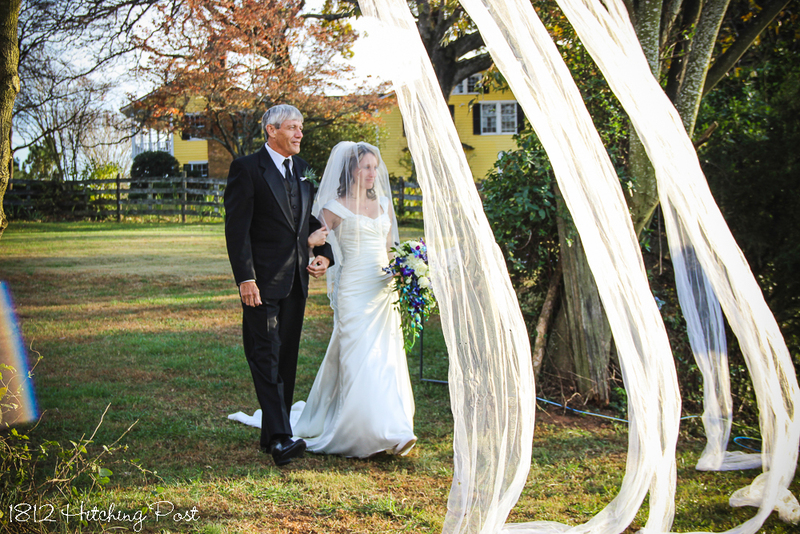 The result was the simply elegant wedding we had envisioned from the start. 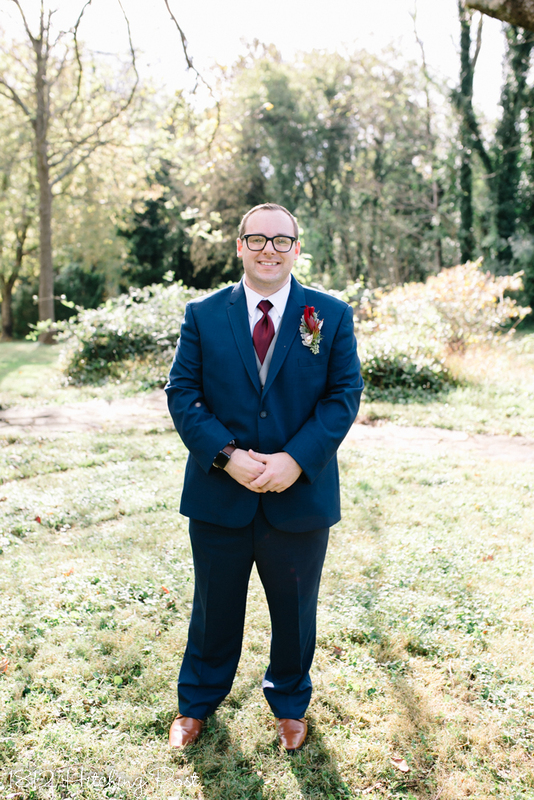 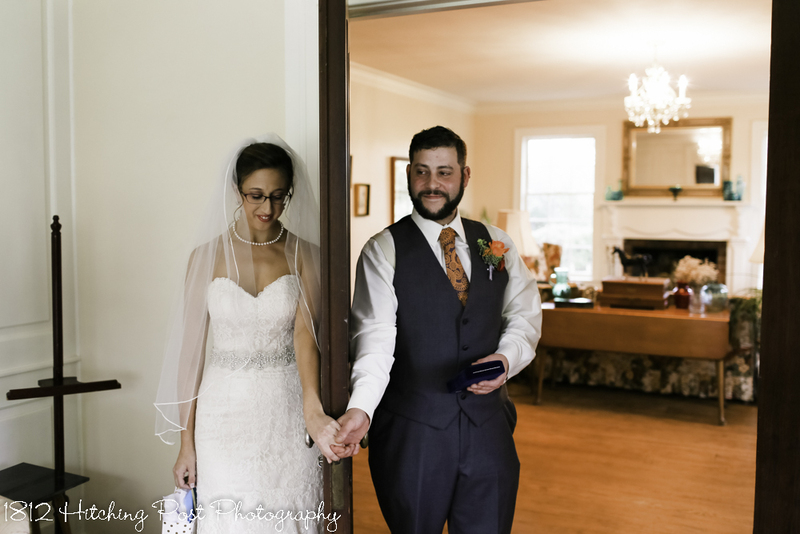 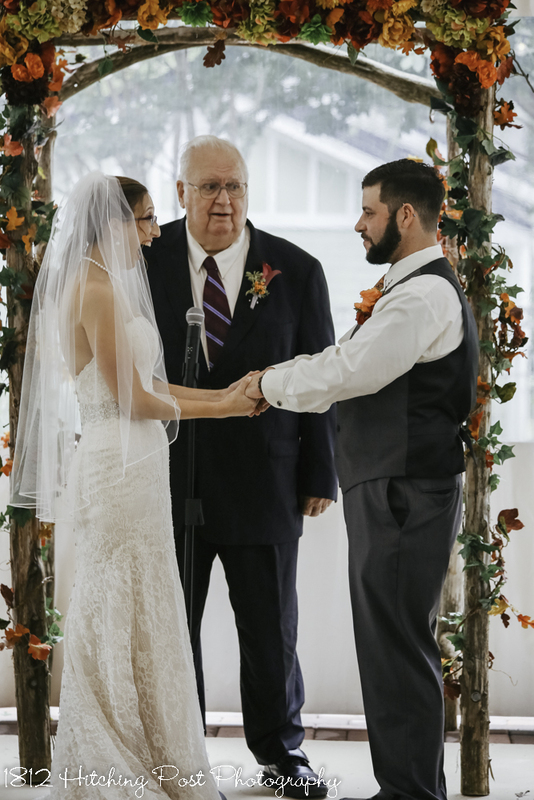 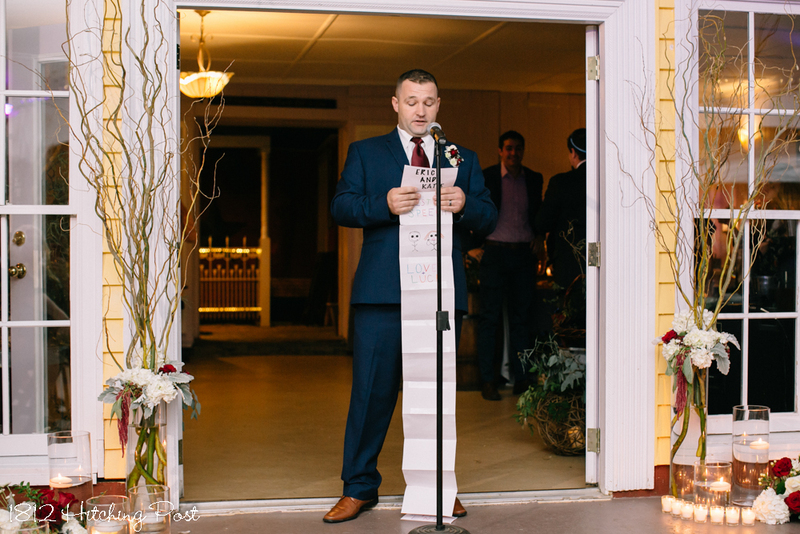 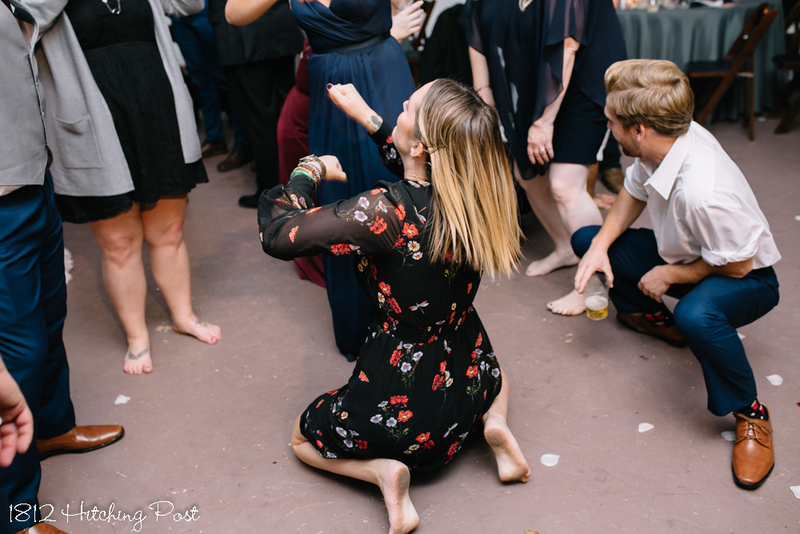 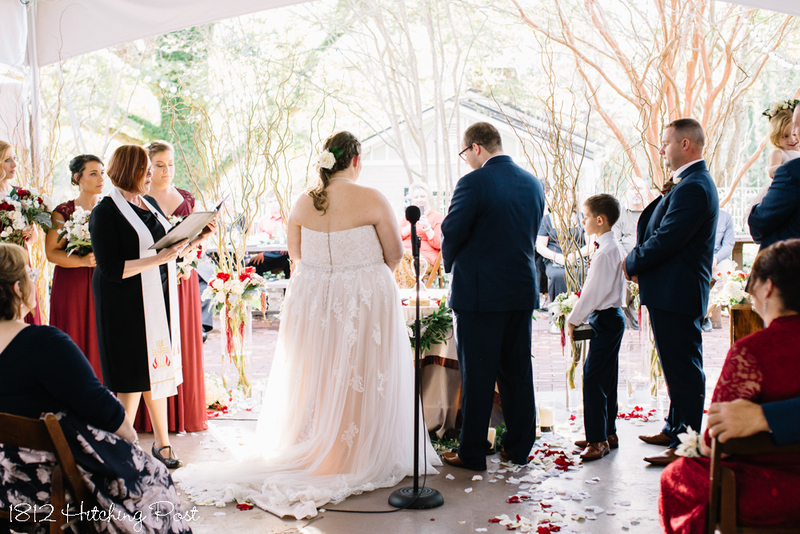 Reverend Waldron officiated a poignant ceremony, Taylor took beautiful photos by running all over the place, and the food was delicious and worked around all our allergy needs. 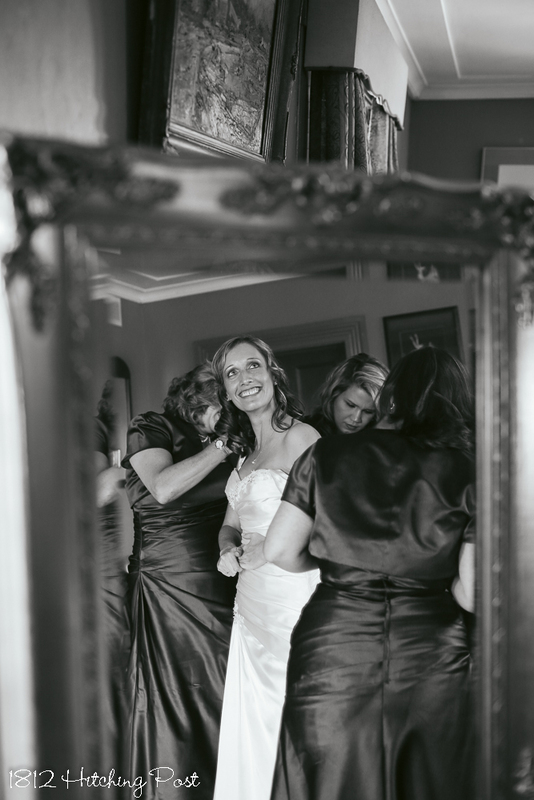 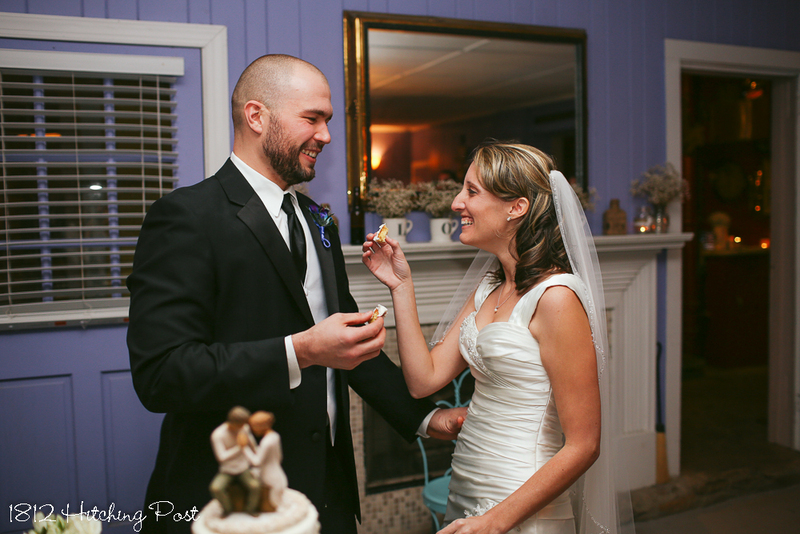 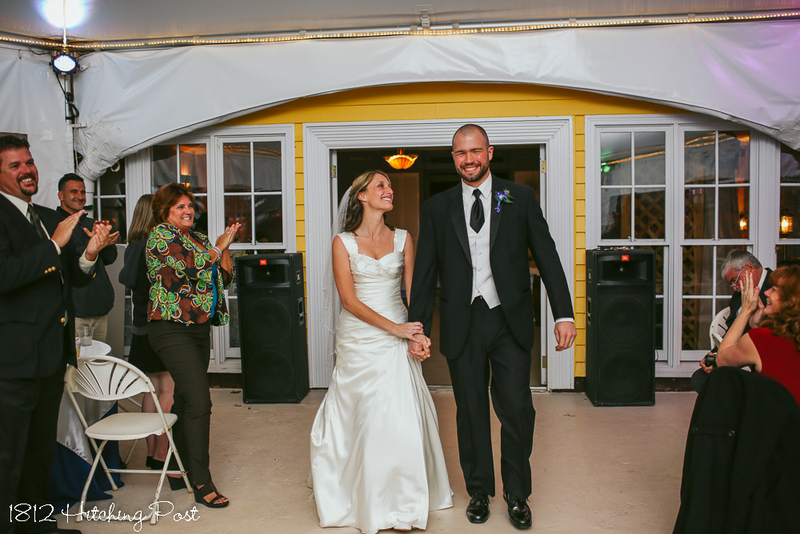 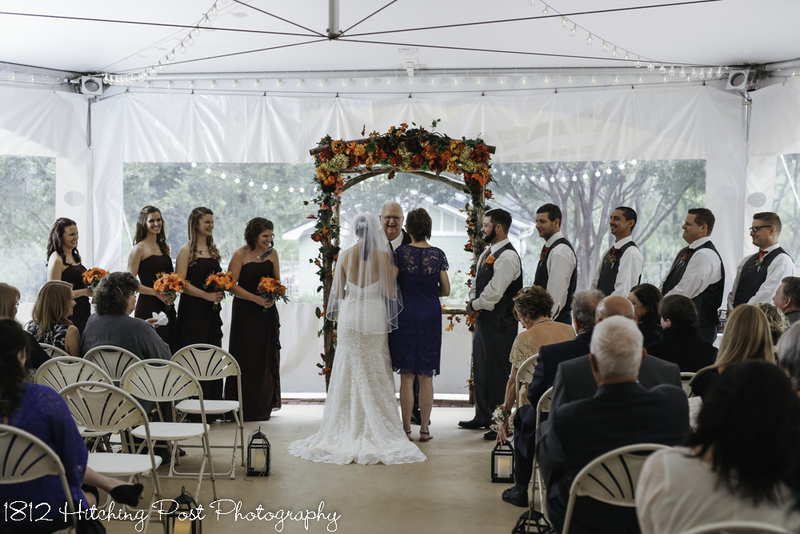 Wendy and her team made the planning and implementation easy so that my husband and I could fully enjoy the day. 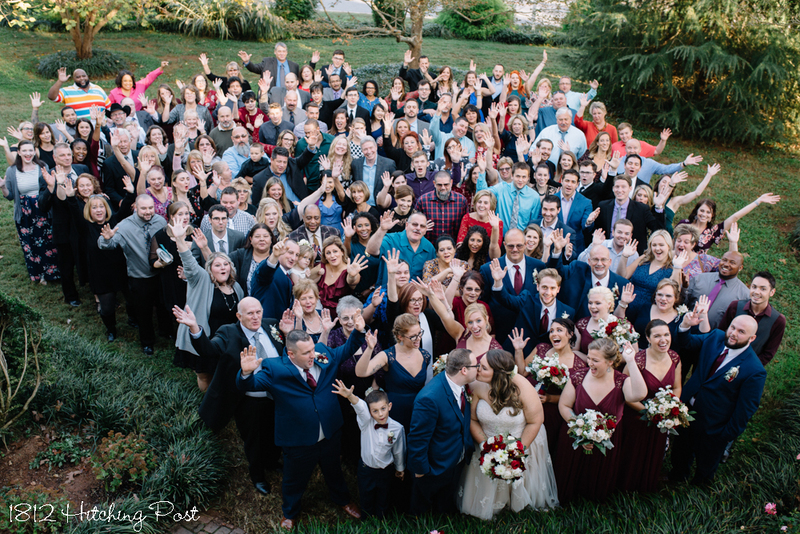 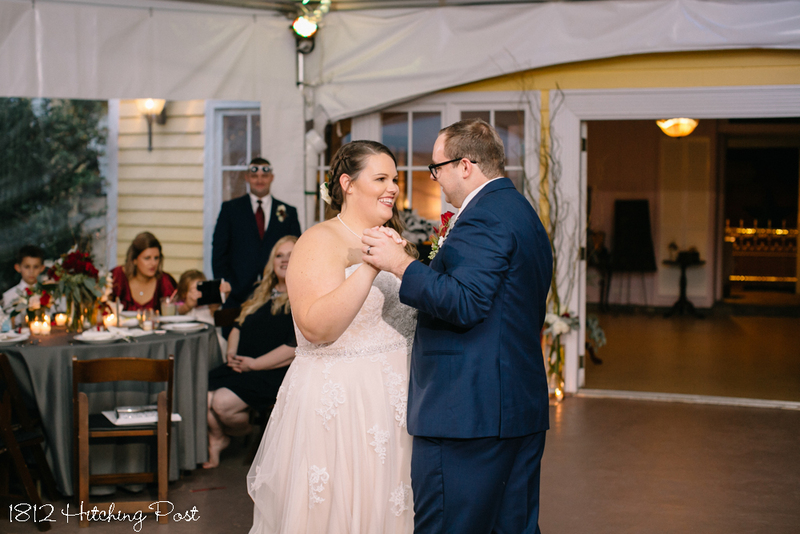 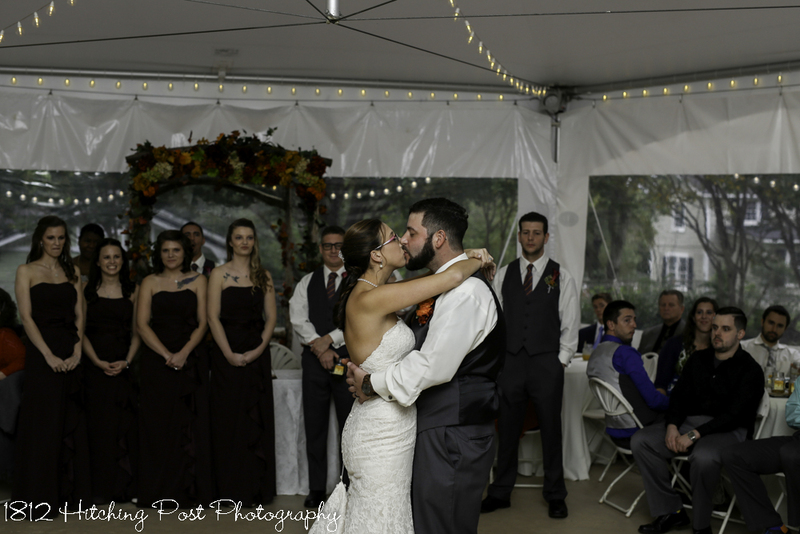 Thank you, 1812 Hitching Post, for helping us celebrate our love! 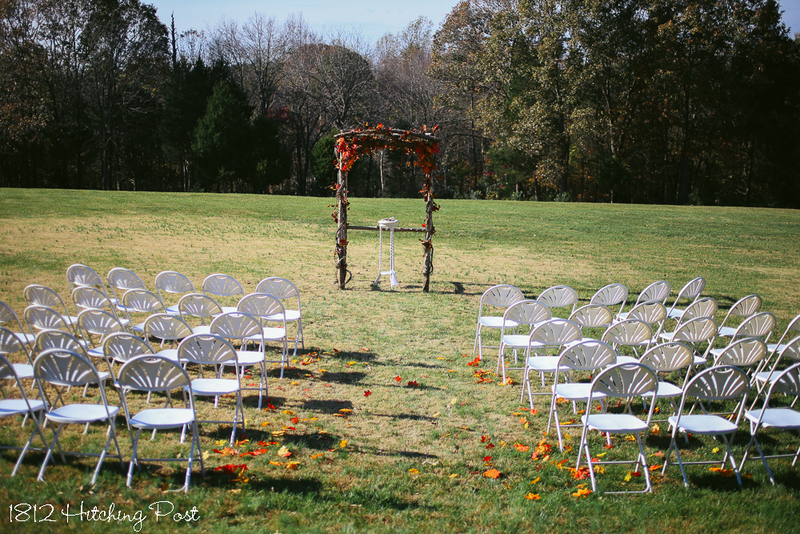 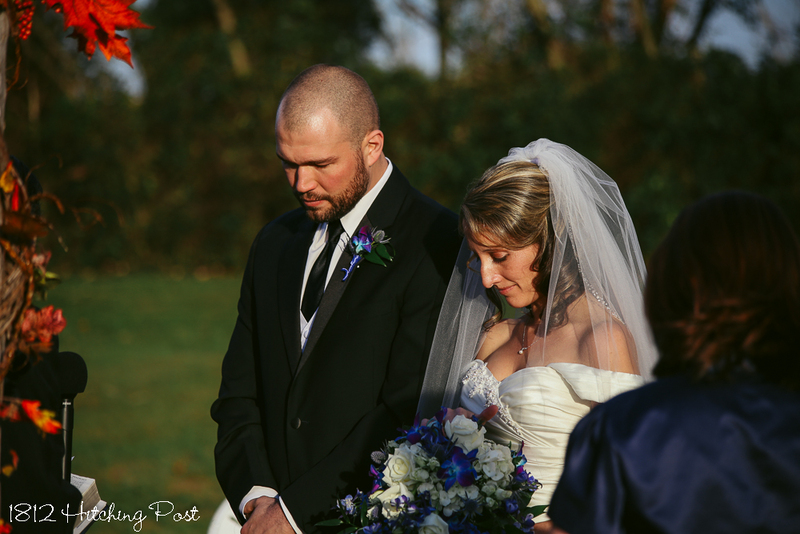 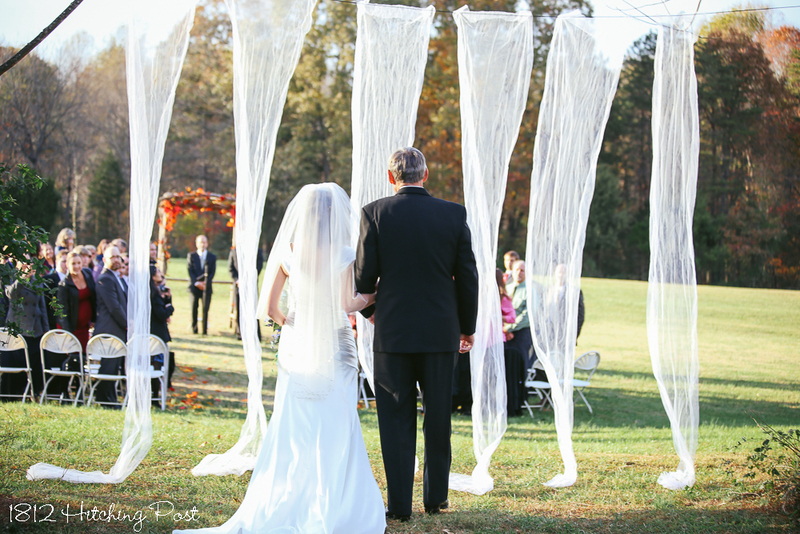 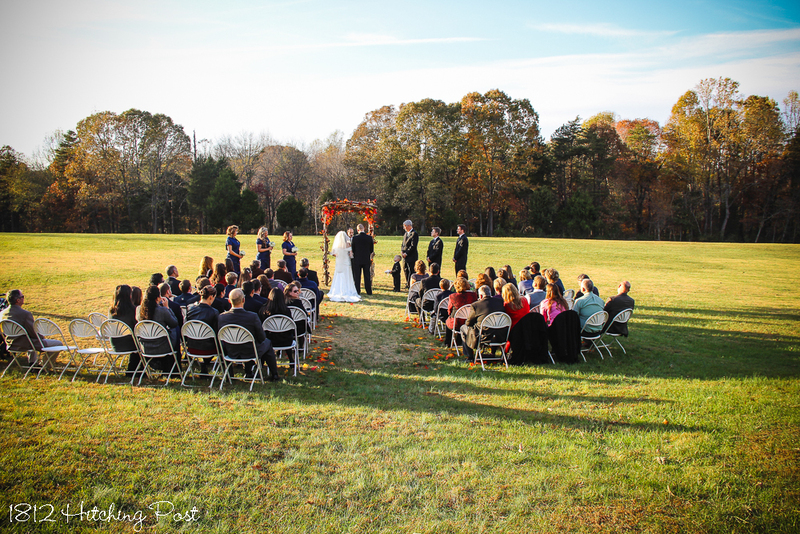 Ashley planned a 5:30 ceremony on the side lawn with dramatic lighting and colors for her wedding the third weekend in October. 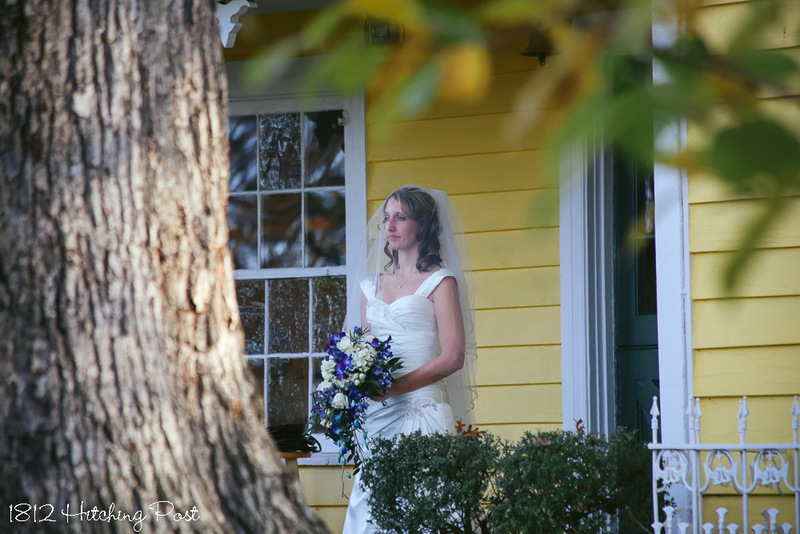 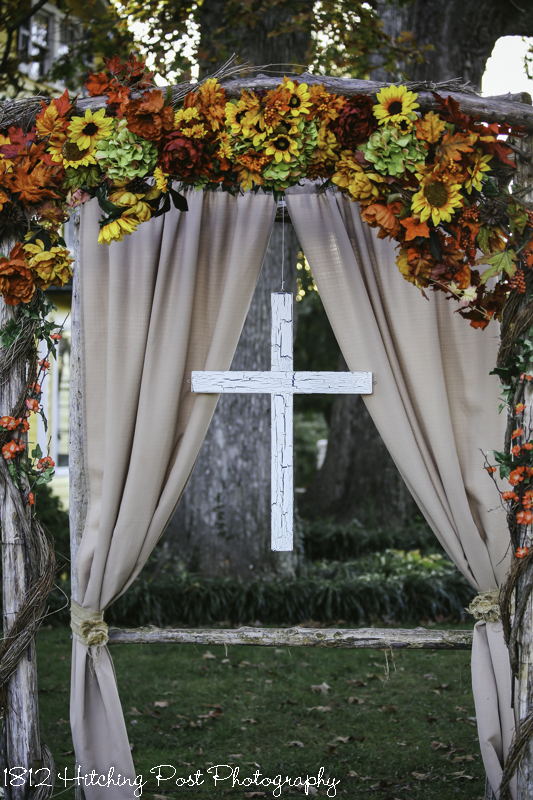 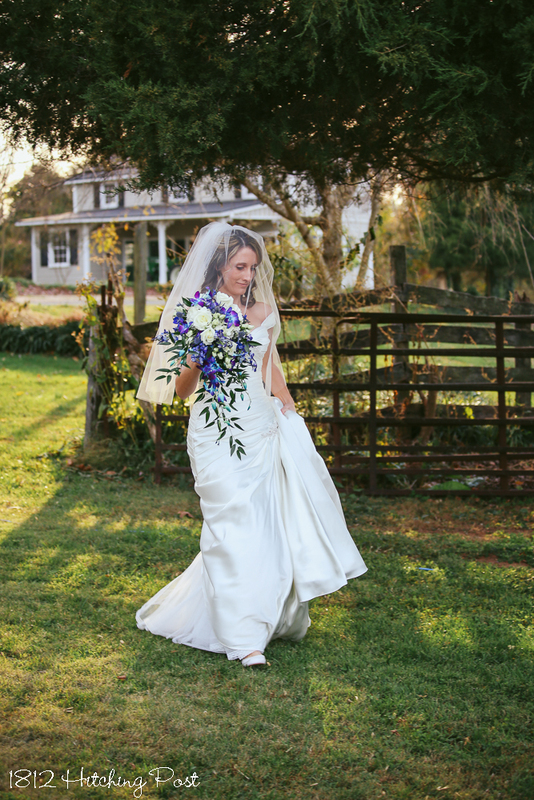 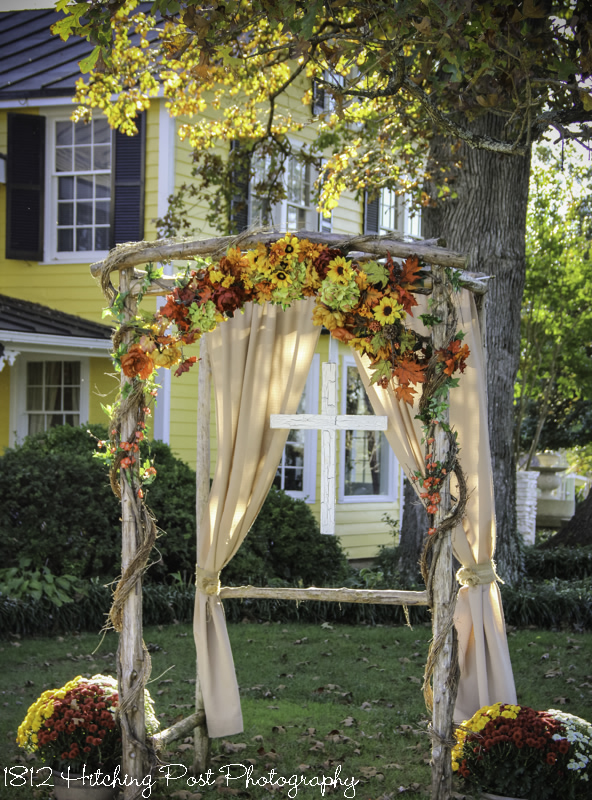 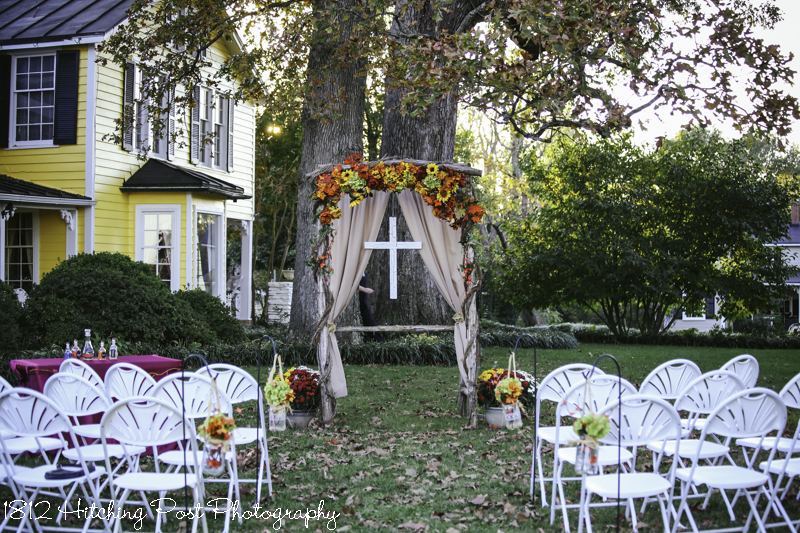 The wood arbor was decorated with burlap curtains, our white cross, and lots of sunflowers and fall foliage and flowers. 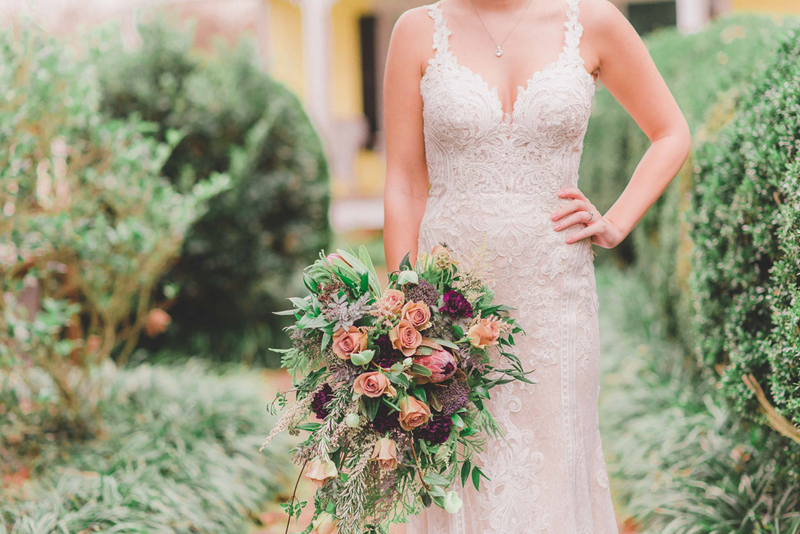 The bride’s bouquet had fall flowers accented with peacock feathers. 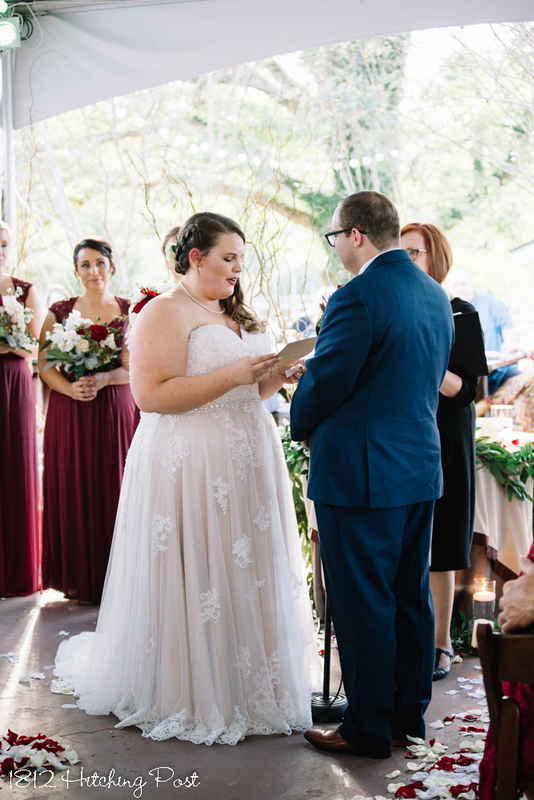 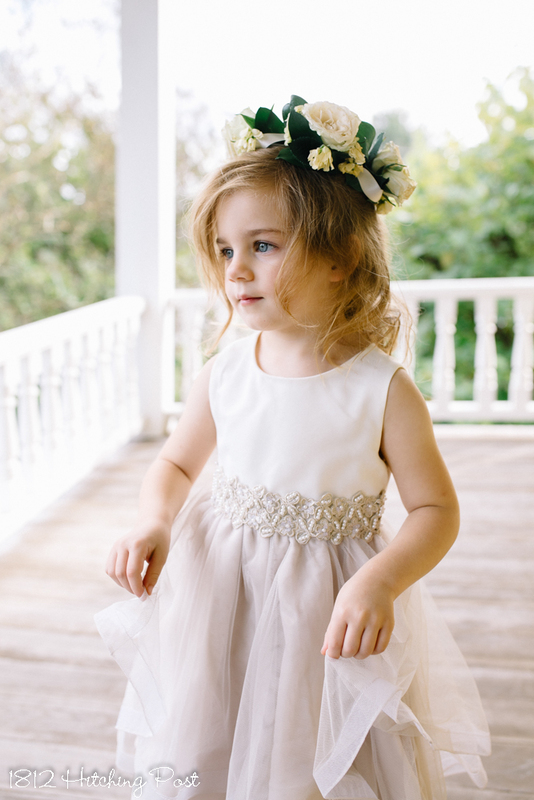 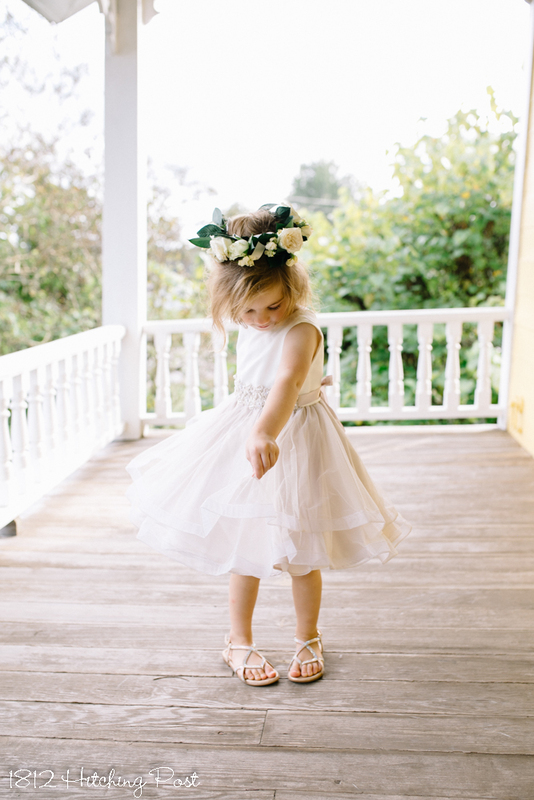 The bride’s processional song was “Arrival of Queen Sheba.” The couple’s children participated in the family sand ceremony and each son was presented with a personalized Bible to the song of “How Beautiful” by Twila Paris. 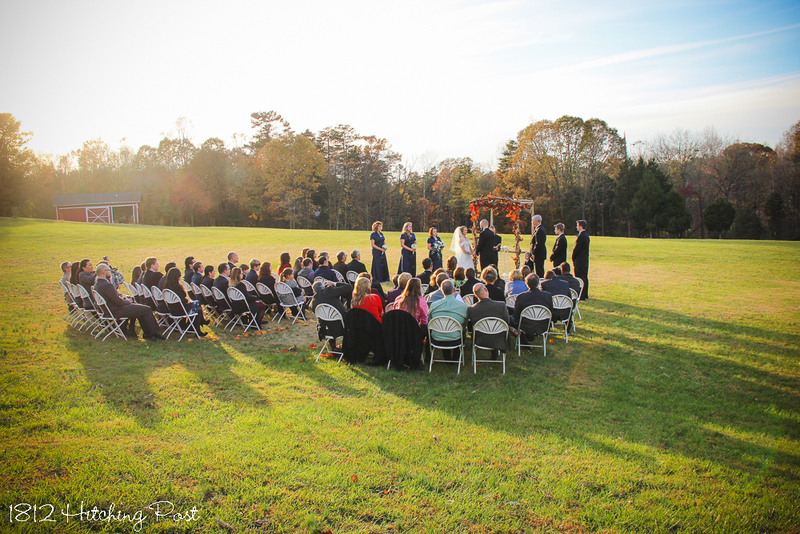 The congregation of about 25 guests sung “Great is Thy Faithfulness” together. 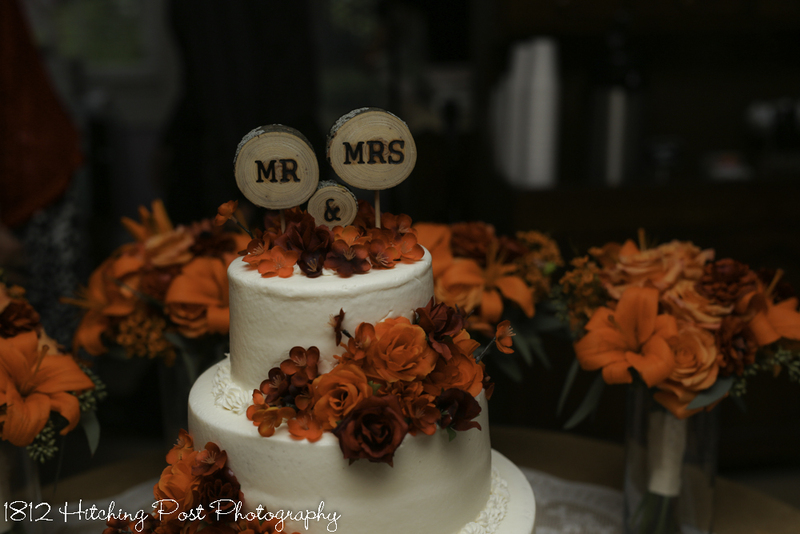 The cake was butterscotch maple flavored with orange marmalade filling. 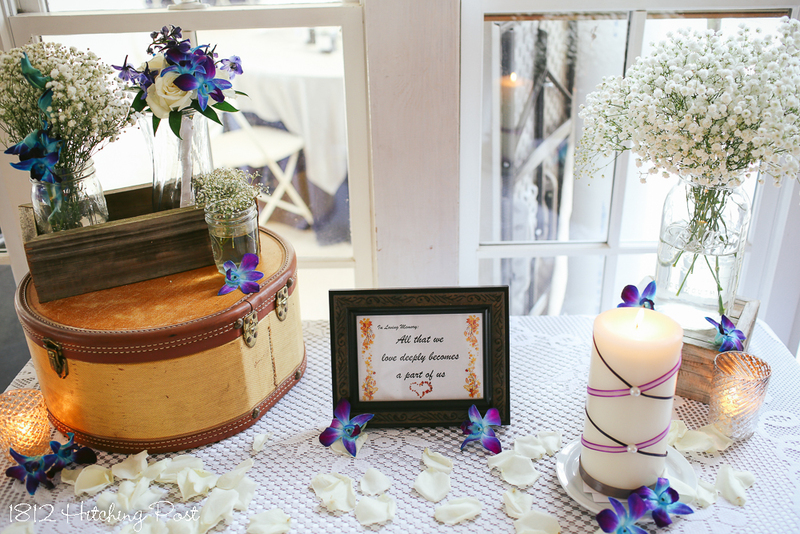 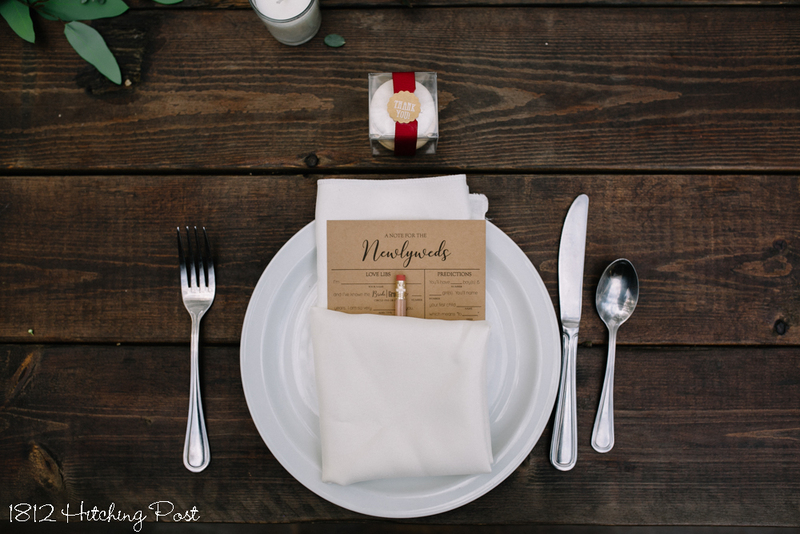 Each table at the reception had a different overlay and centerpiece created by the 1812 Hitching Post. 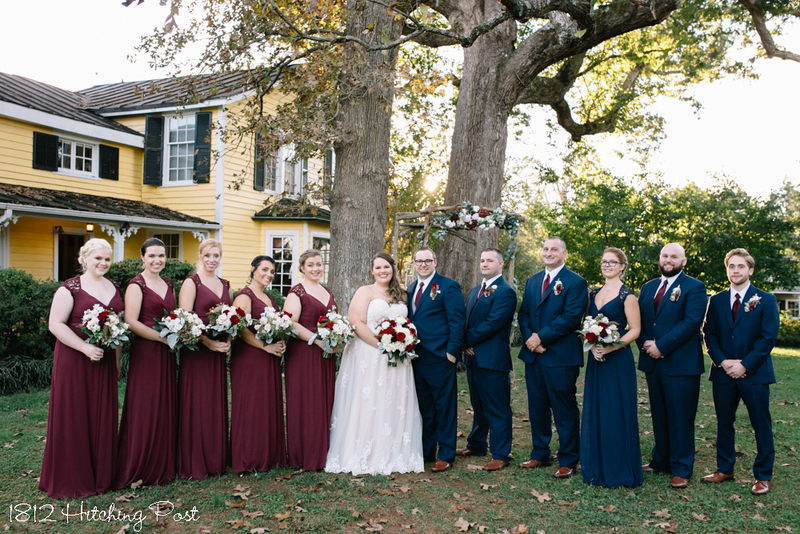 The colors used were burgundy, lime, chocolate, pumpkin, and yellow. 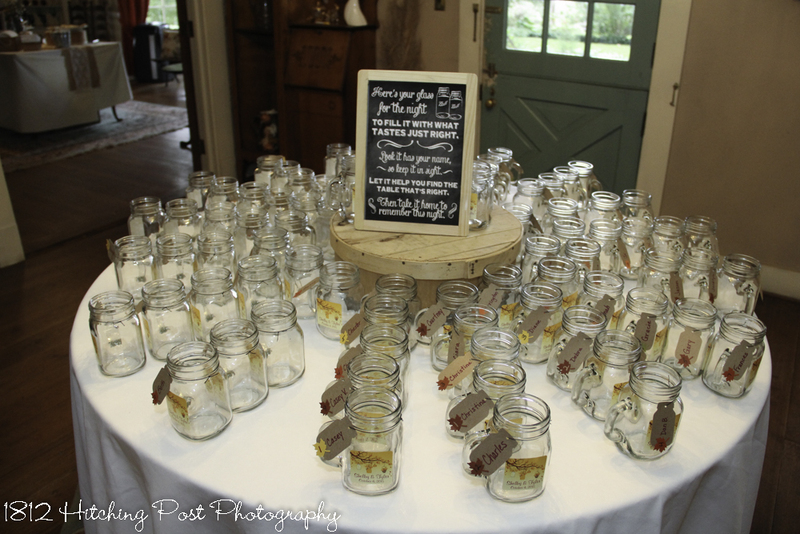 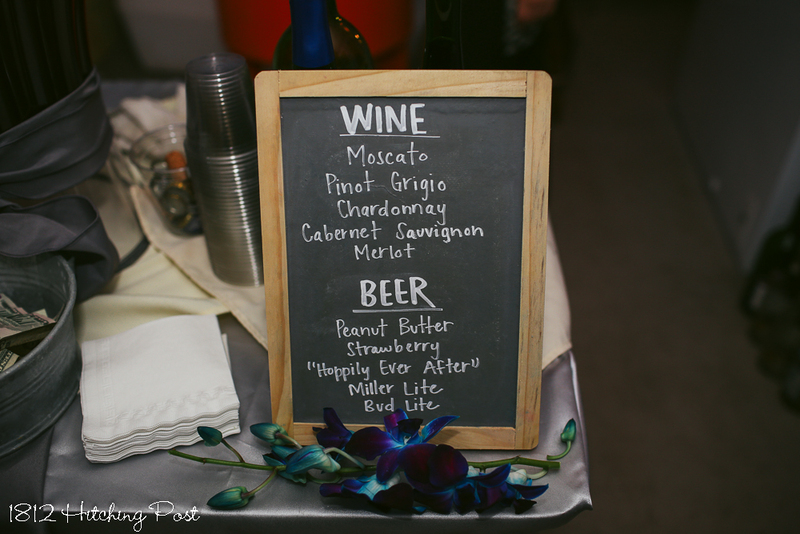 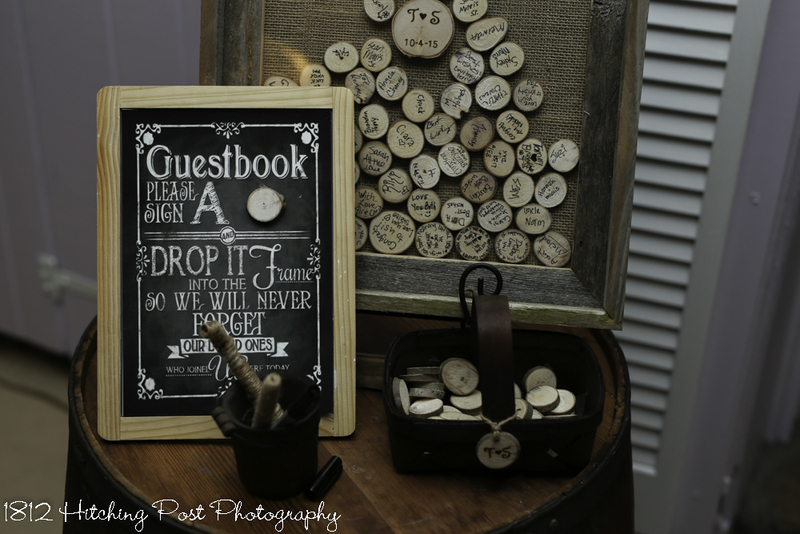 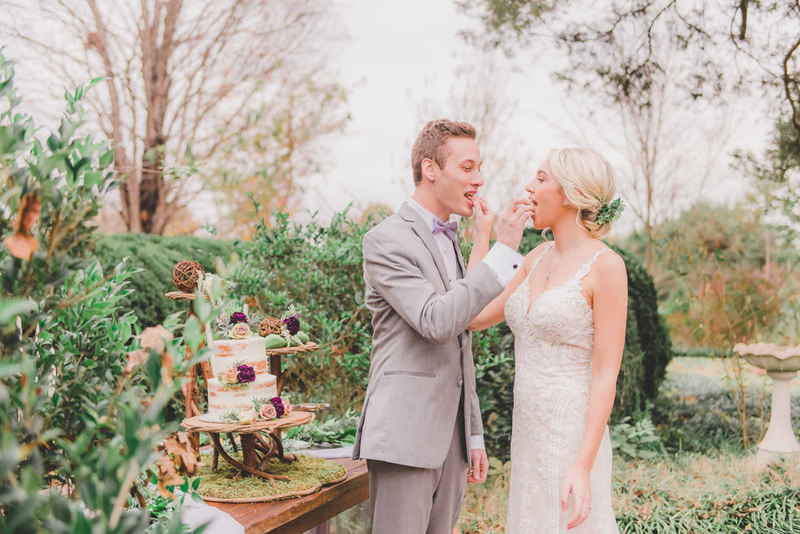 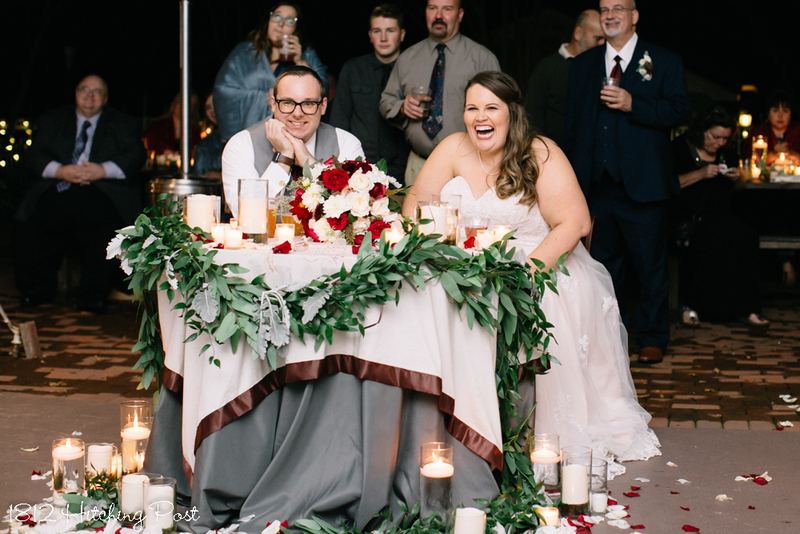 The couple had a candy bar and hot cider bar with toppings. 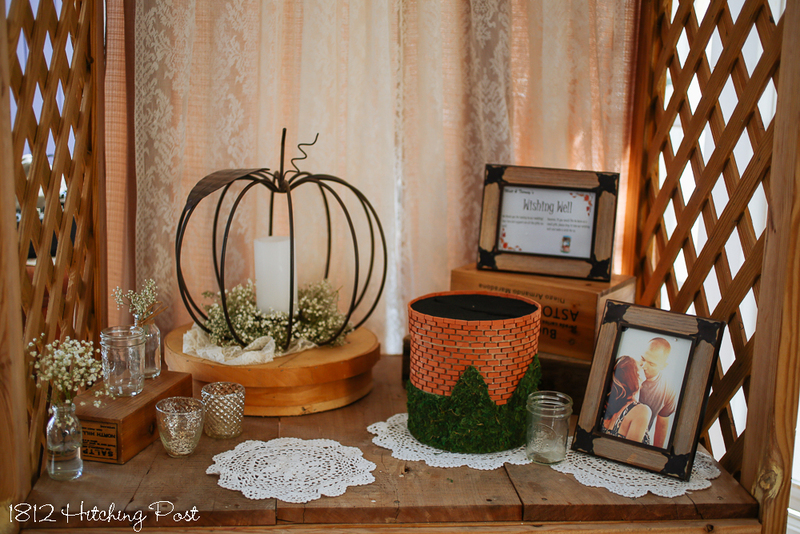 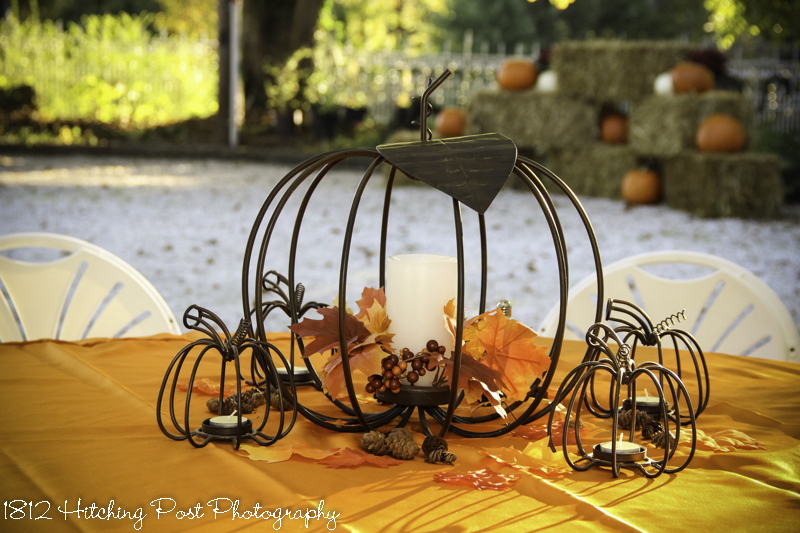 Near the fire pit, the bride designed a “pumpkin patch” with hay bales and pumpkins for photos and fun for the kids. 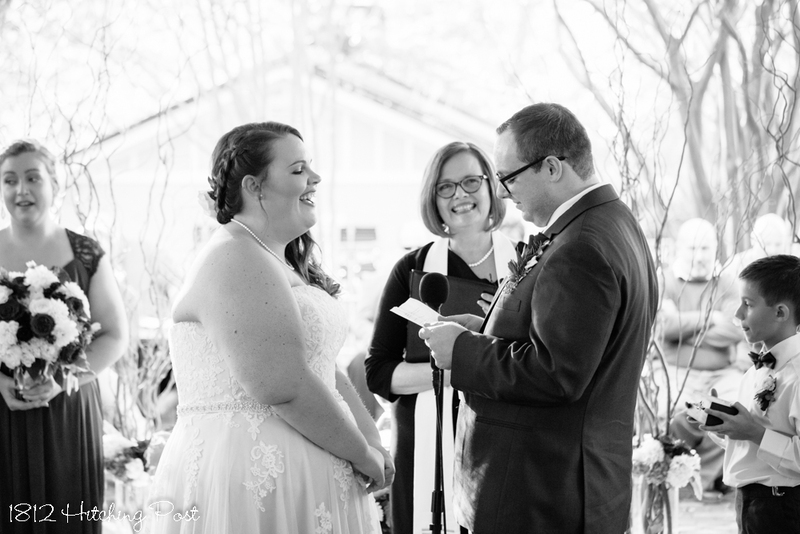 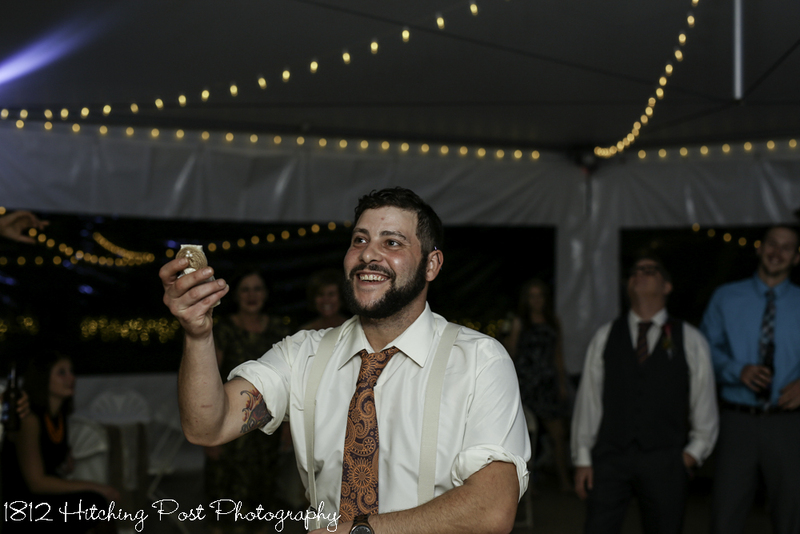 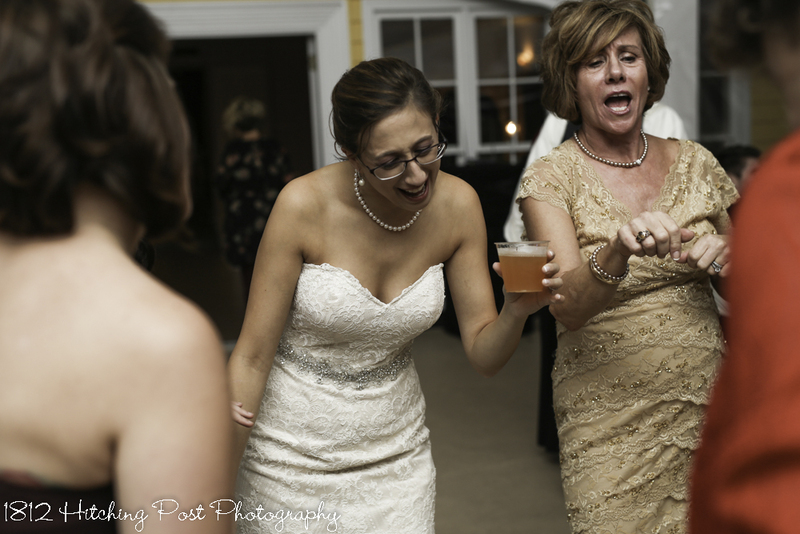 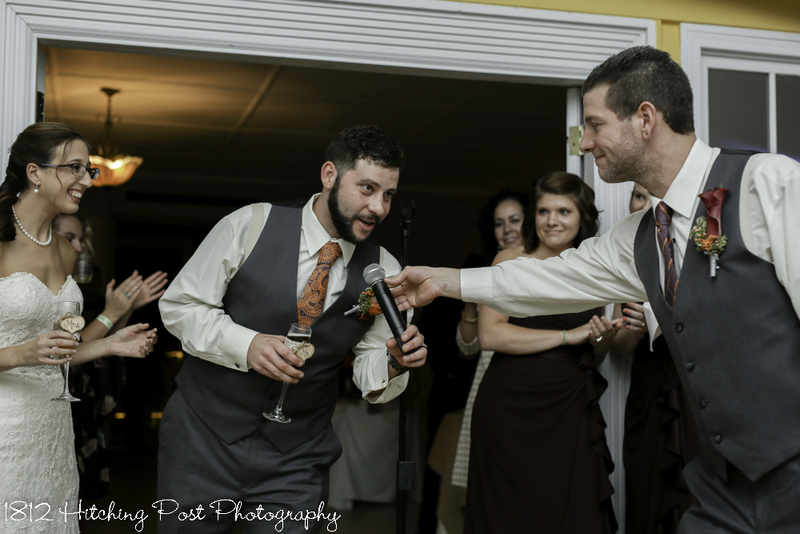 The bride sung a Barbara Streisand love song as a surprise to the groom at the reception. 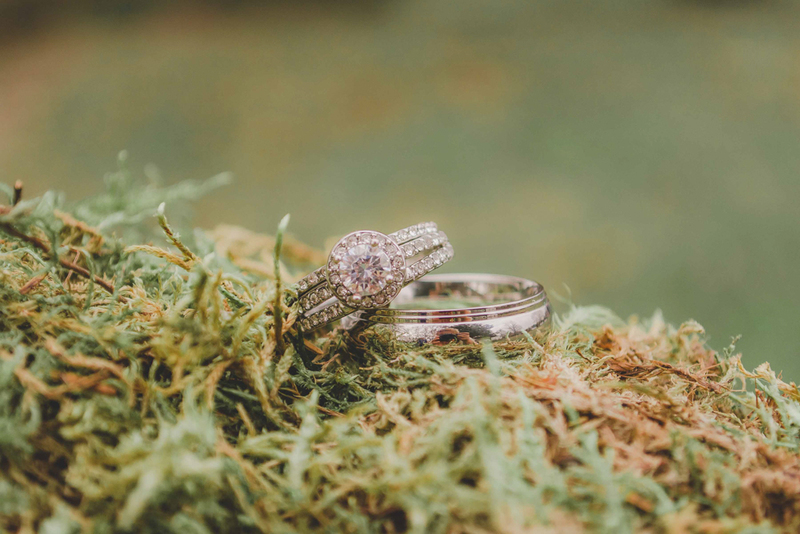 The couple spent two nights in the cottage for their wedding. 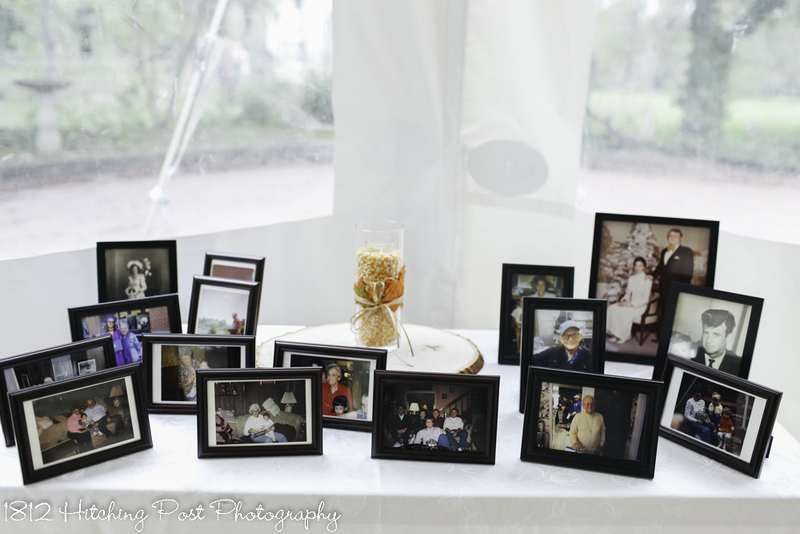 Photography by Taylor Gregory (with a few by Wendy Waldron). 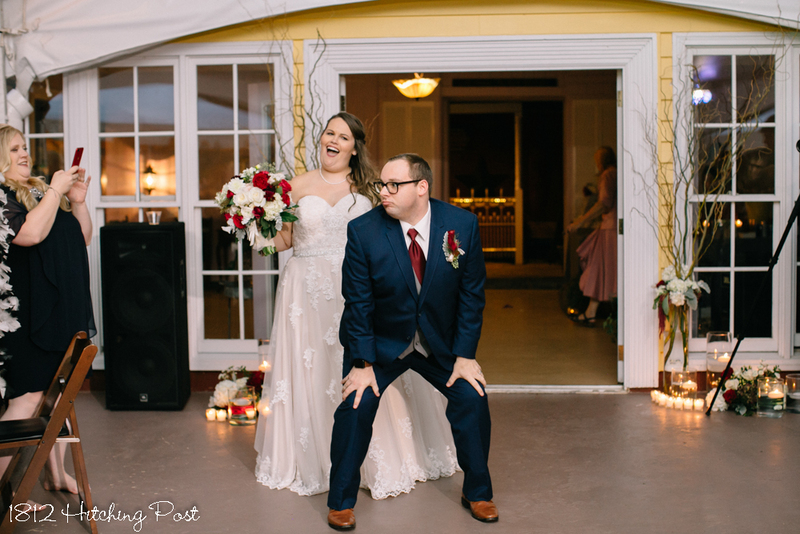 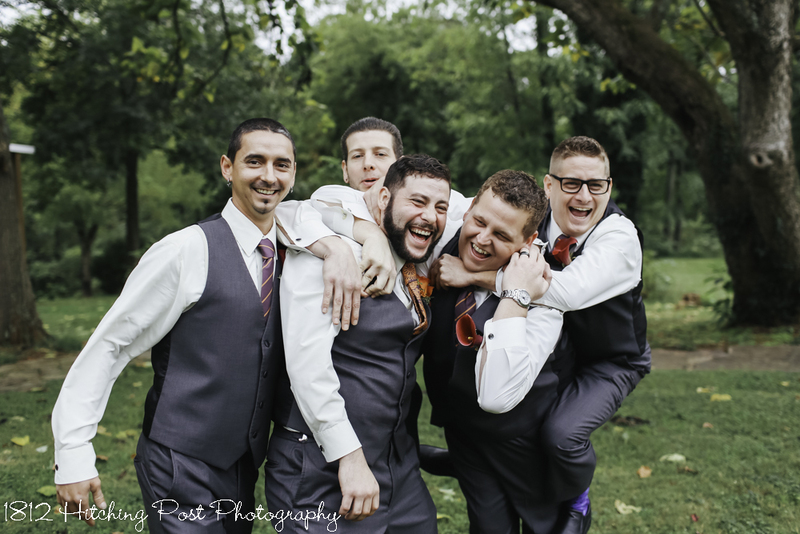 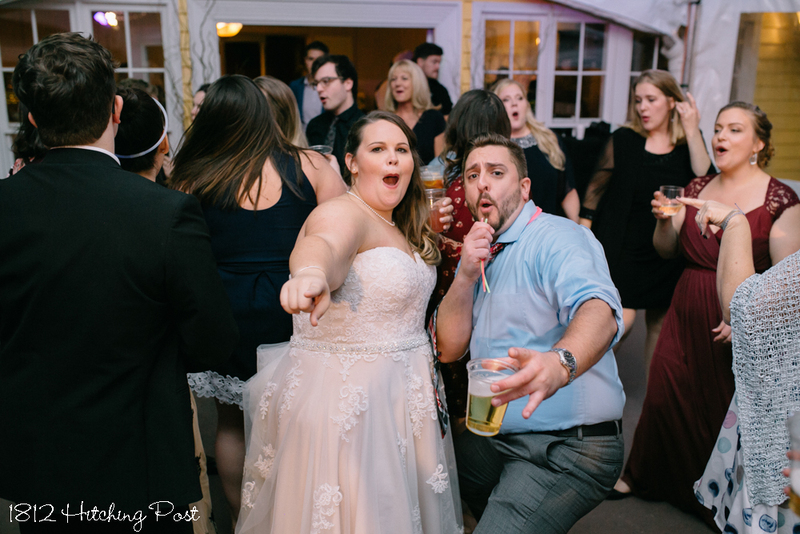 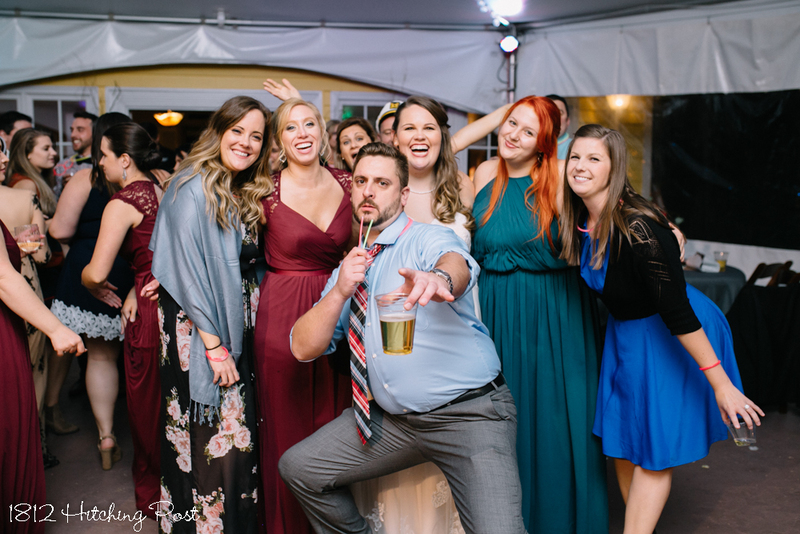 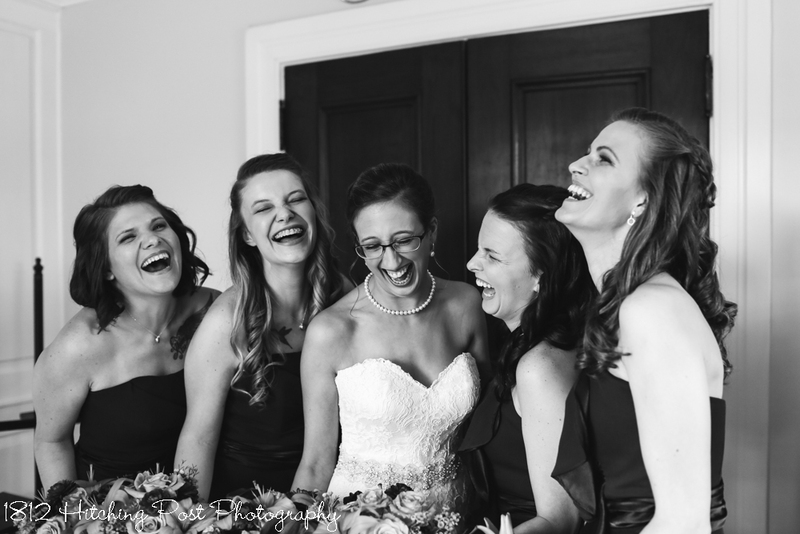 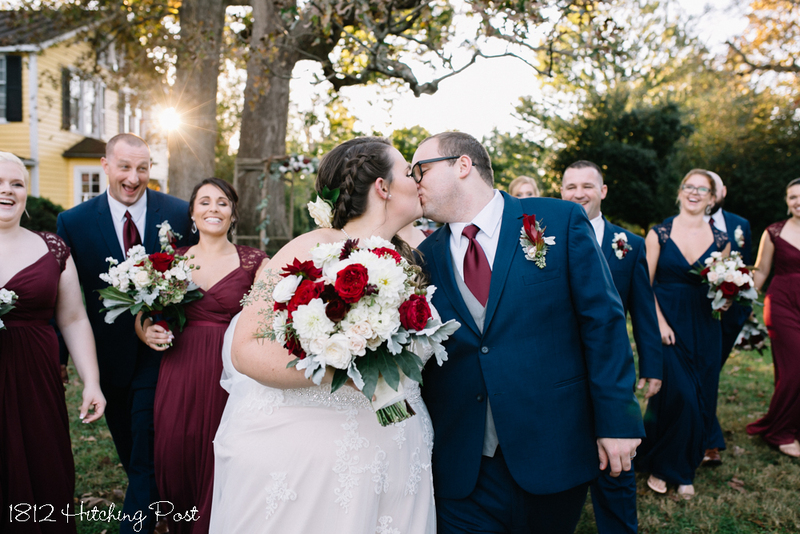 I’m continuing to add photos from some of my favorite weddings from the past couple years and here is another one of my favorites! 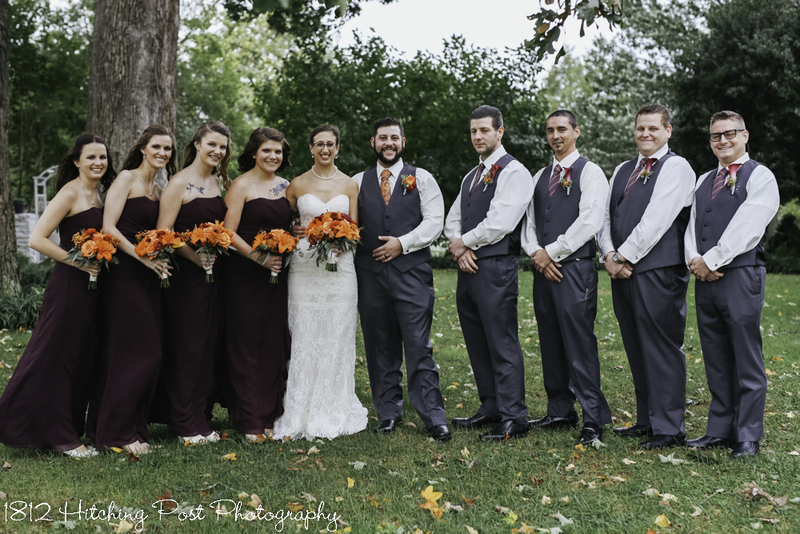 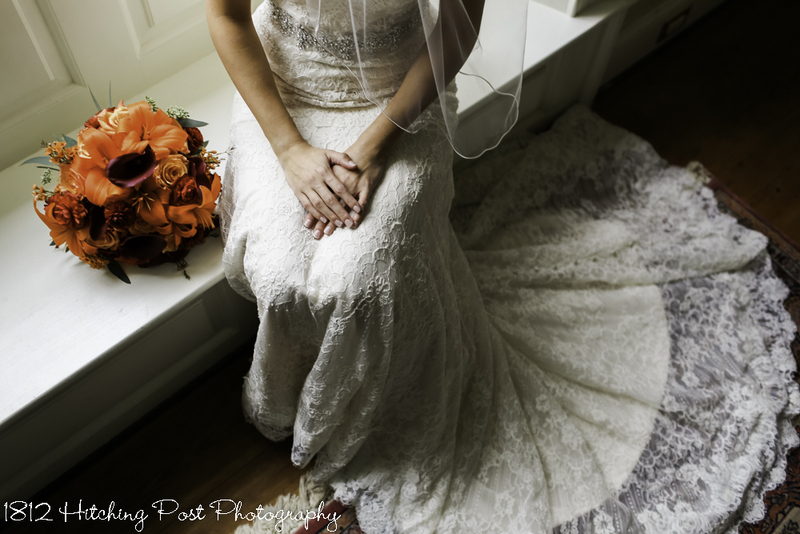 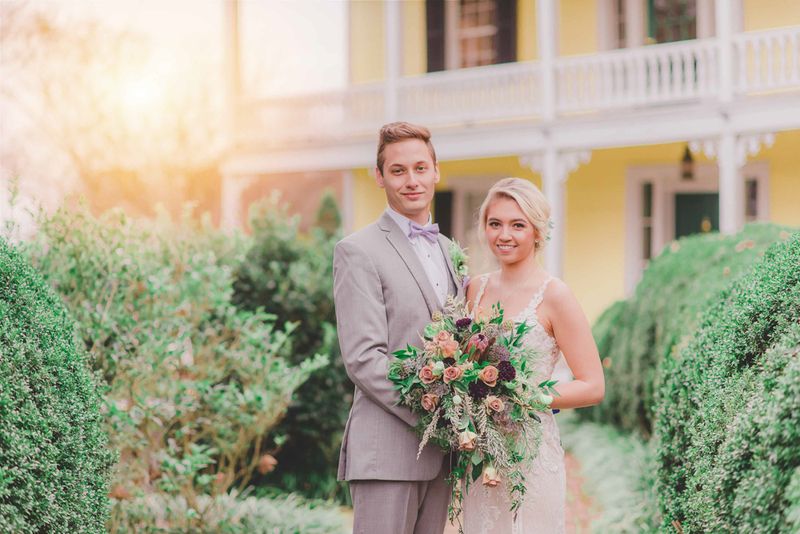 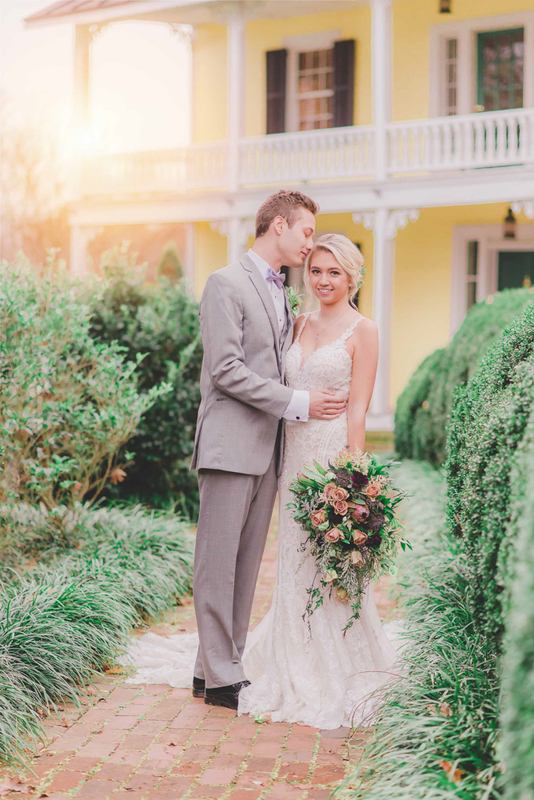 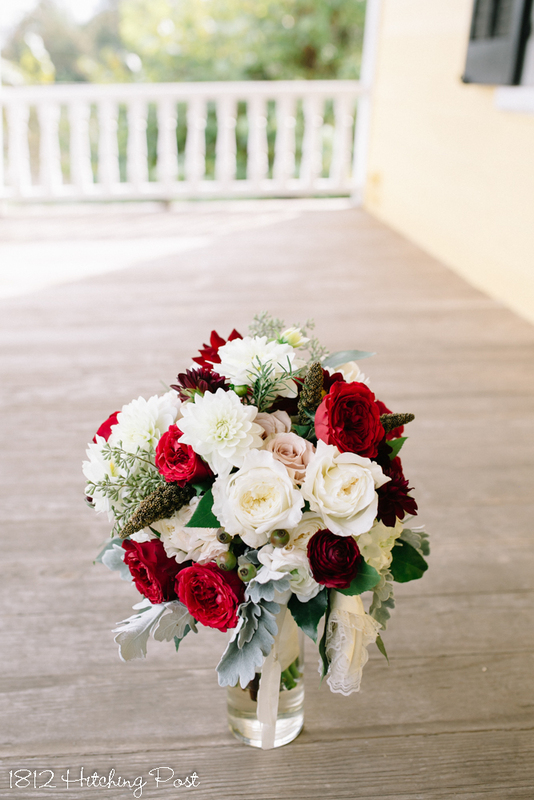 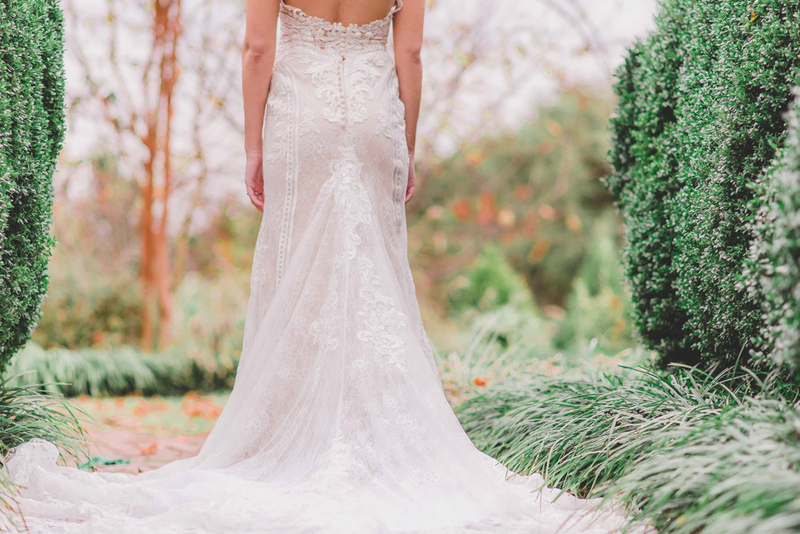 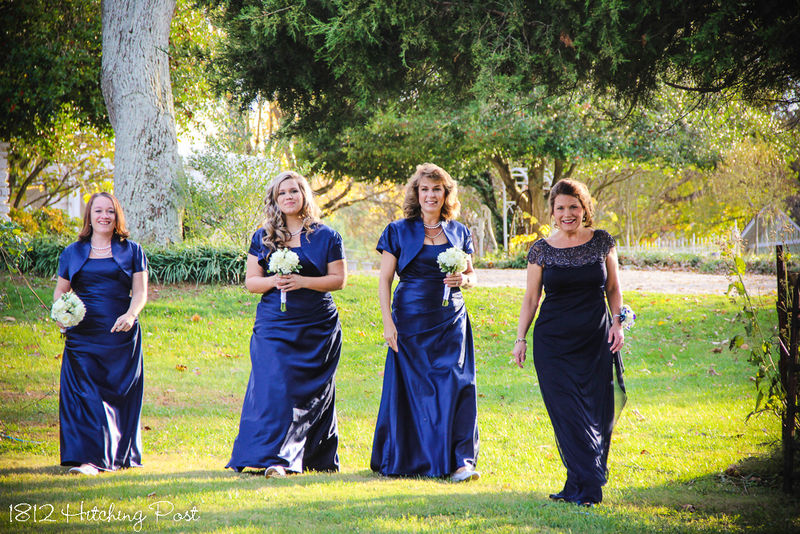 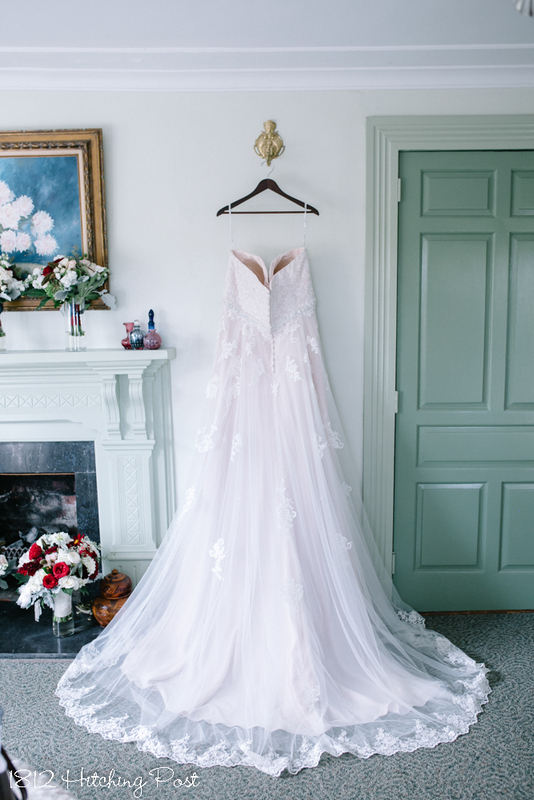 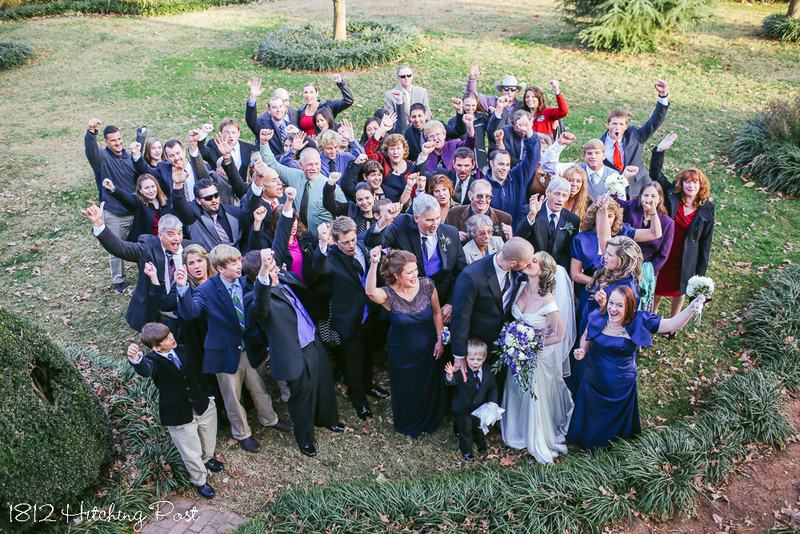 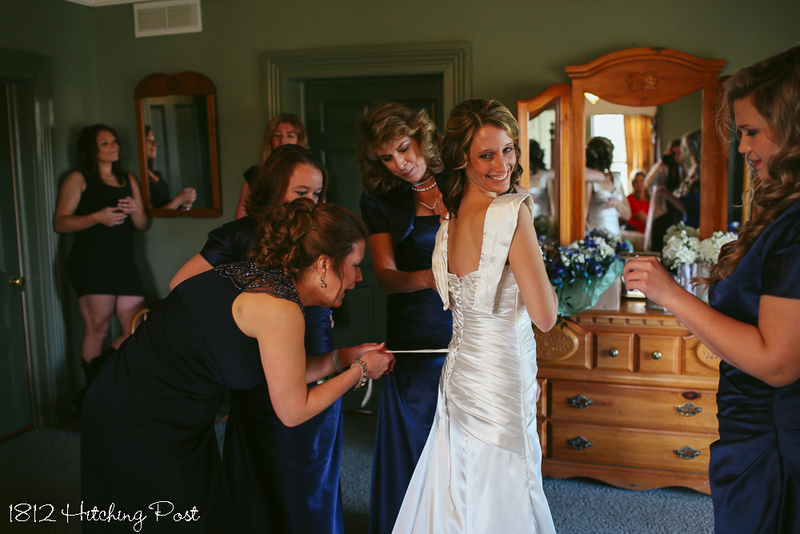 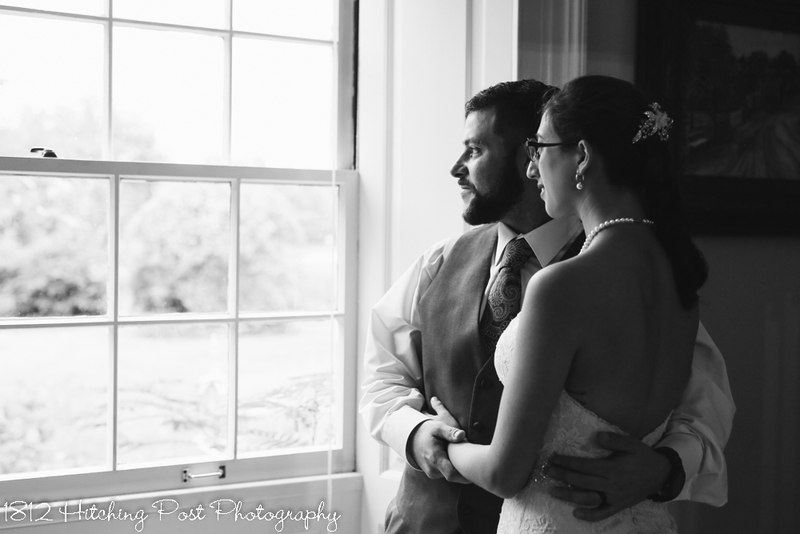 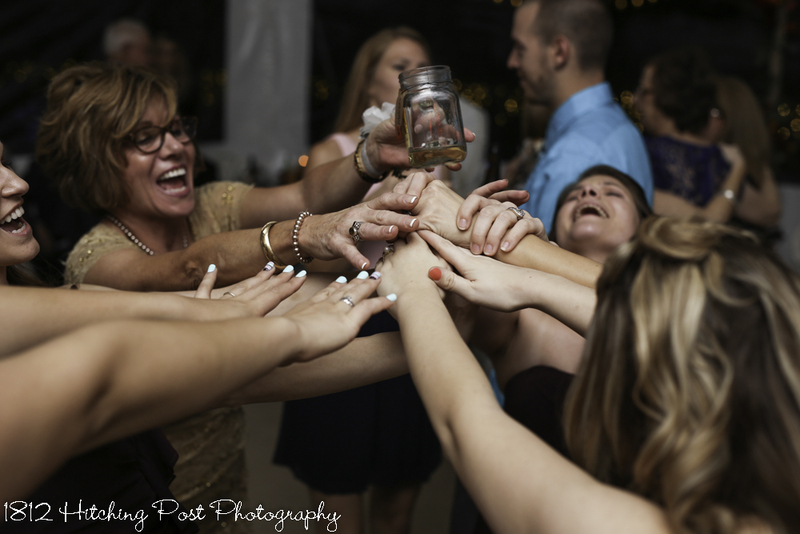 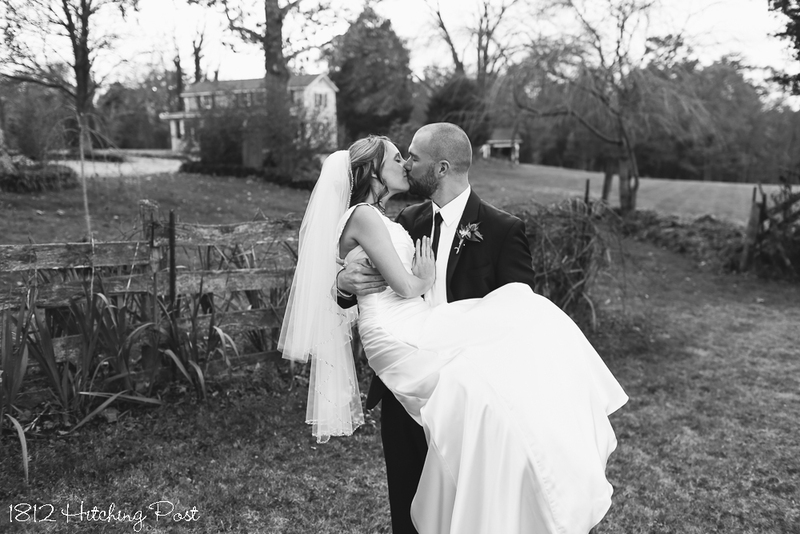 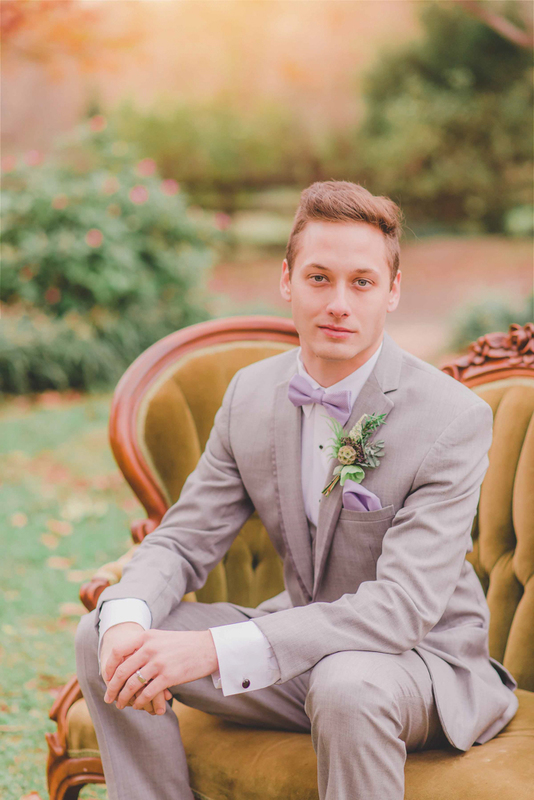 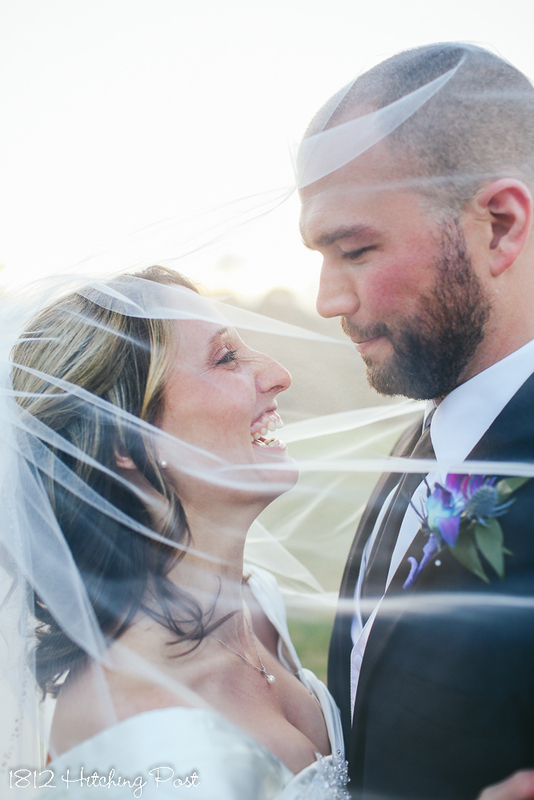 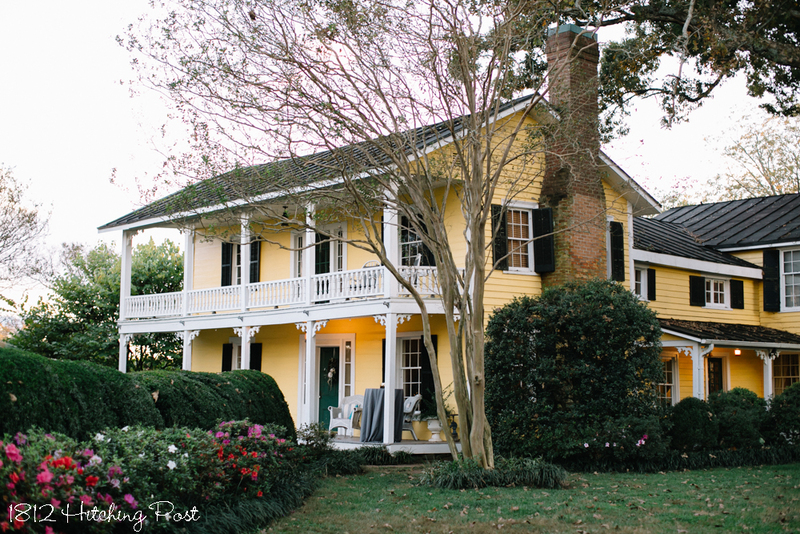 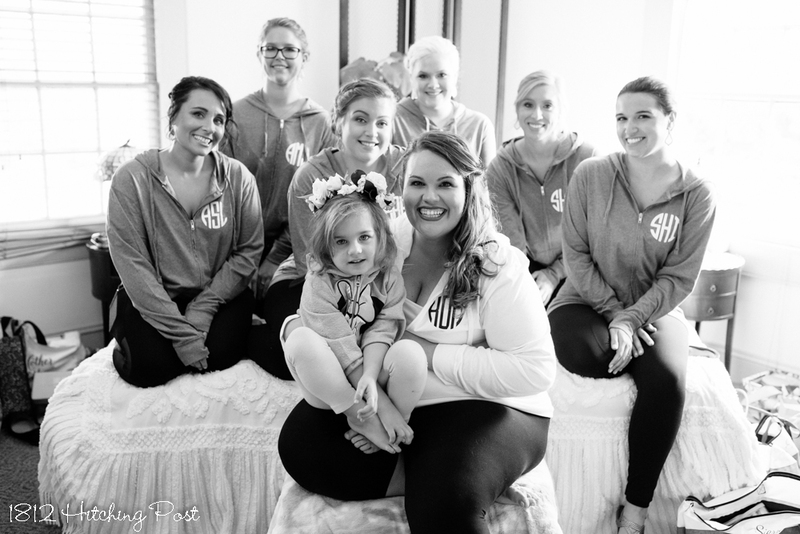 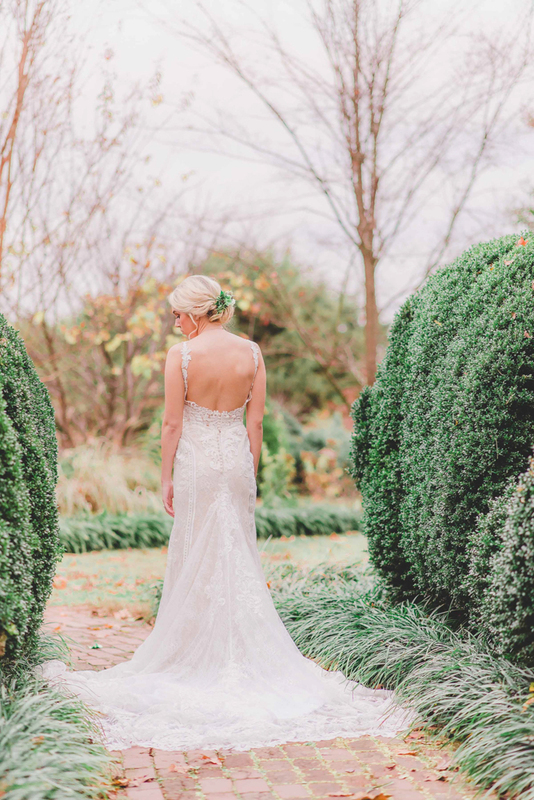 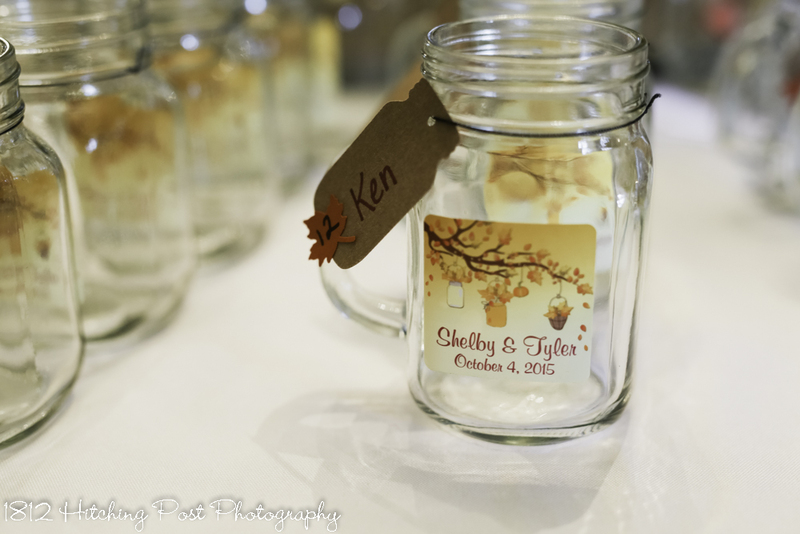 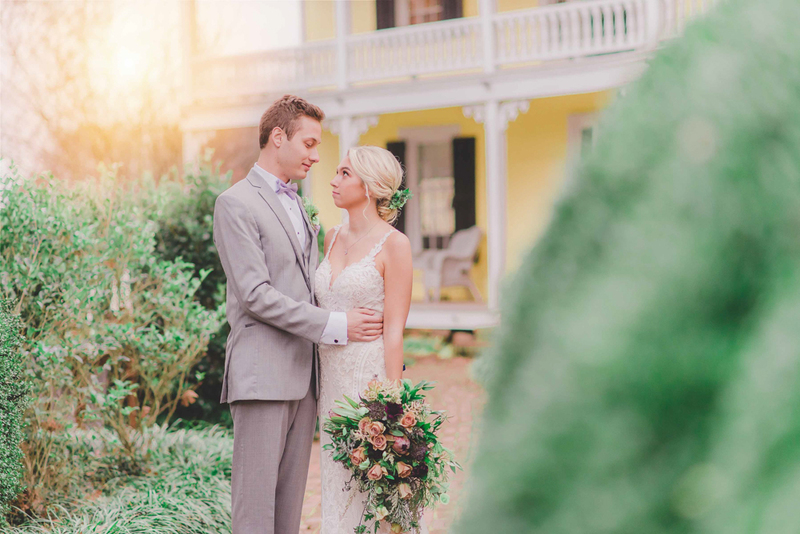 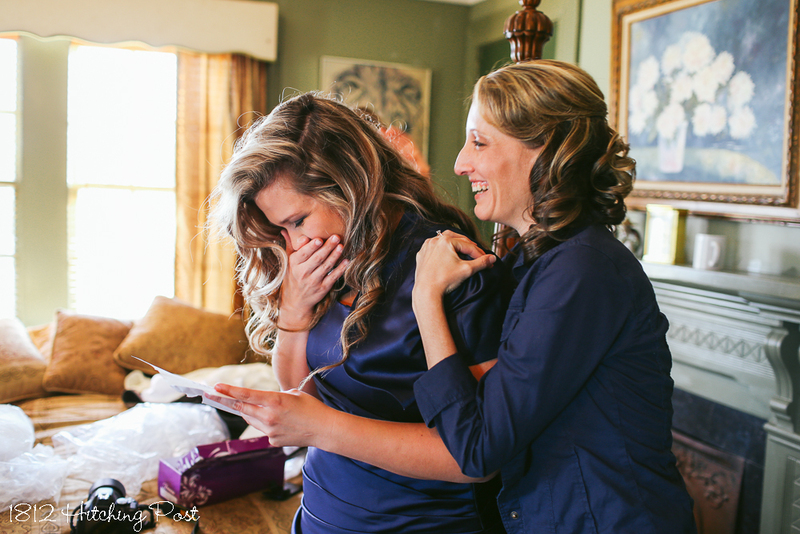 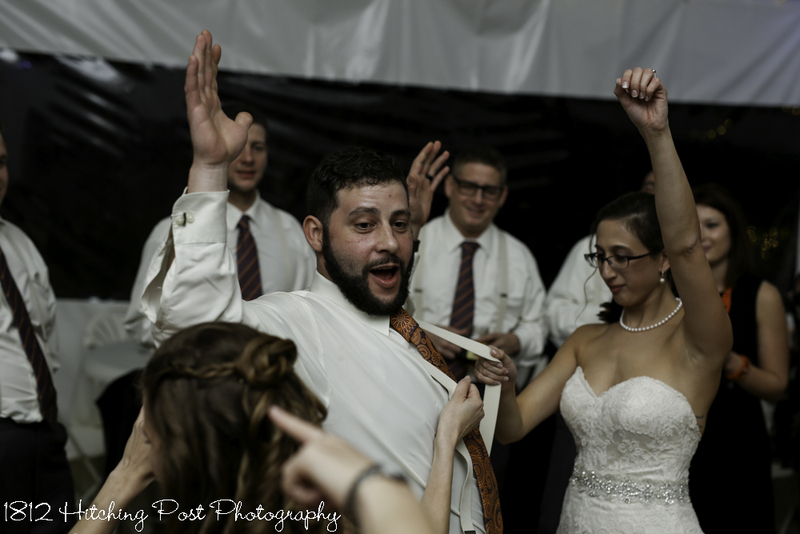 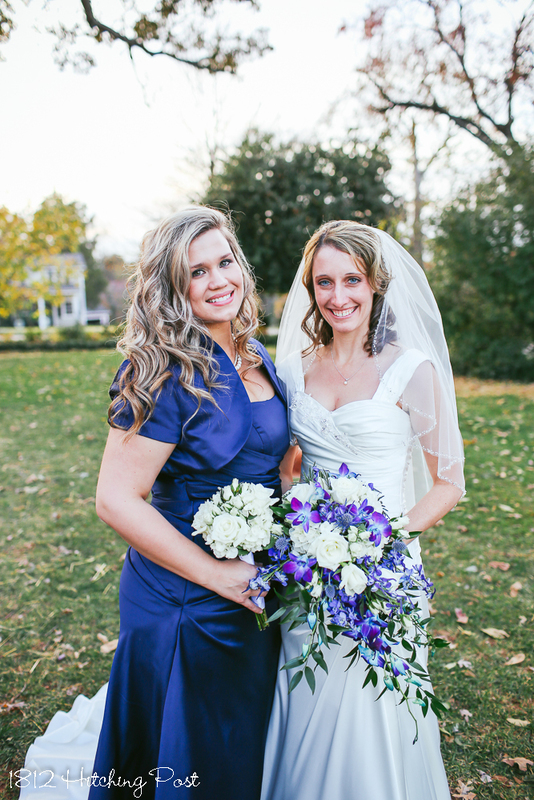 Photography for Shelby and Tyler’s wedding was provided by Taylor Cline Photography. 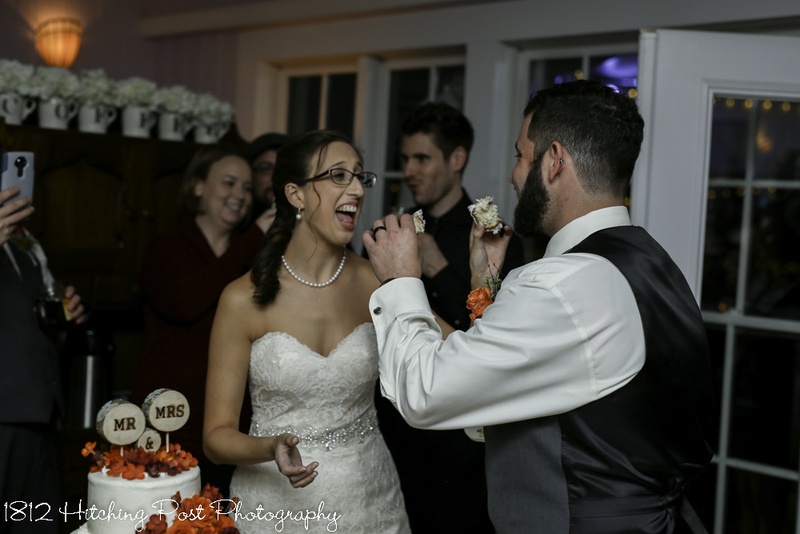 Their wedding was so much fun! 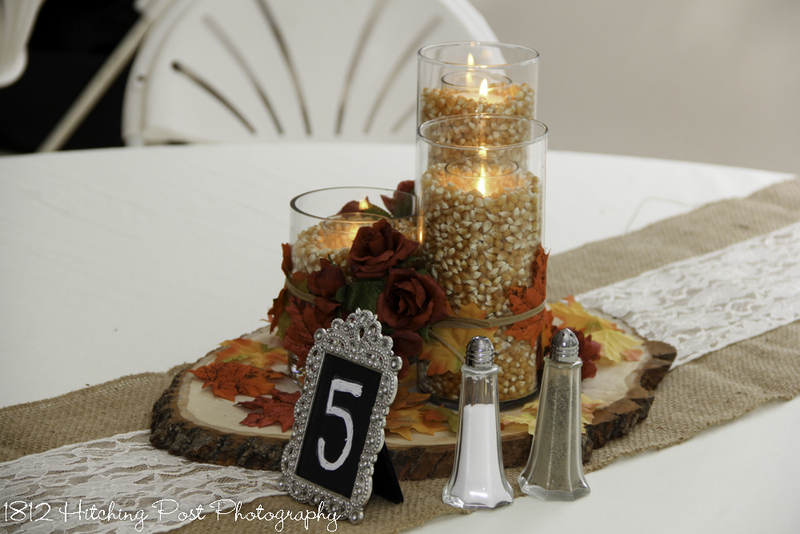 Shelby had some unique touches for her wedding including popcorn filled centerpieces to bring out the fall golden tones. 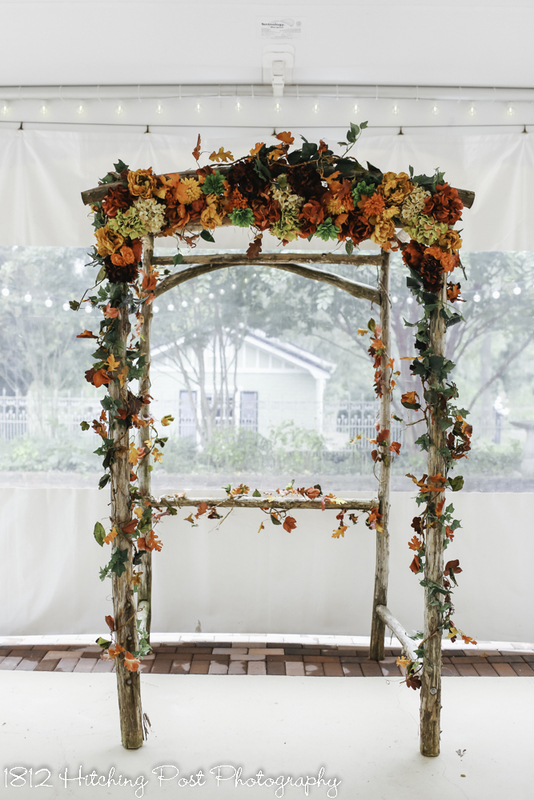 We covered the arbor with fall leaves in all the tones of Autumn. 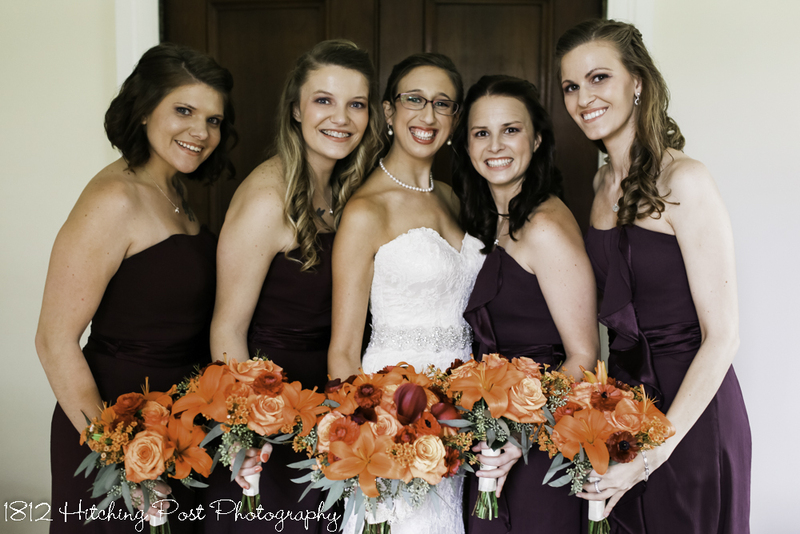 Bridal flowers were provided by Willow Branch. 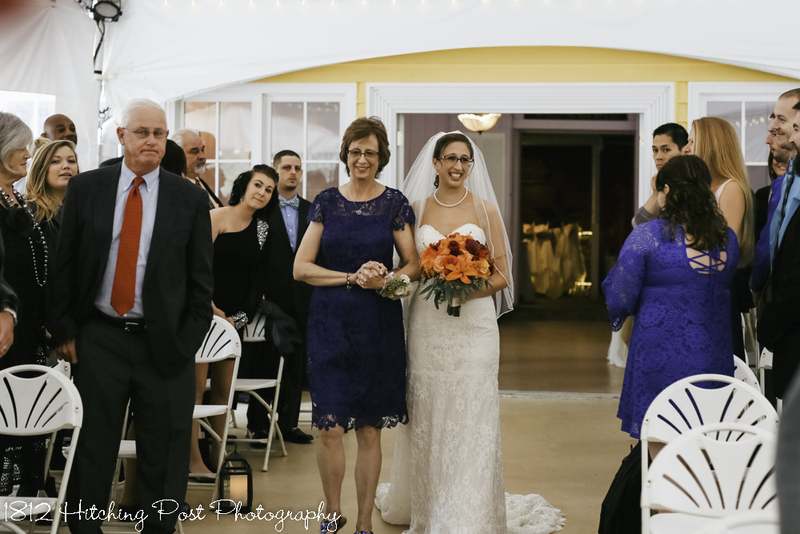 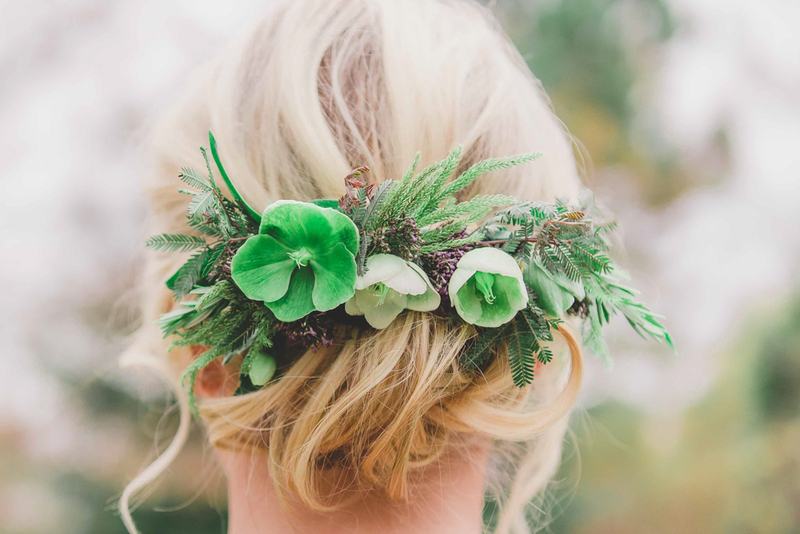 How gorgeous can a wedding be when your mom is a florist? 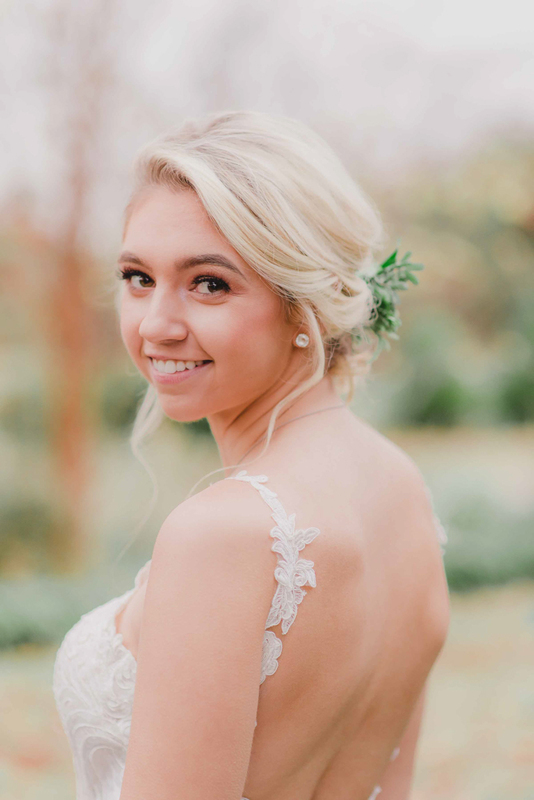 This gorgeous! 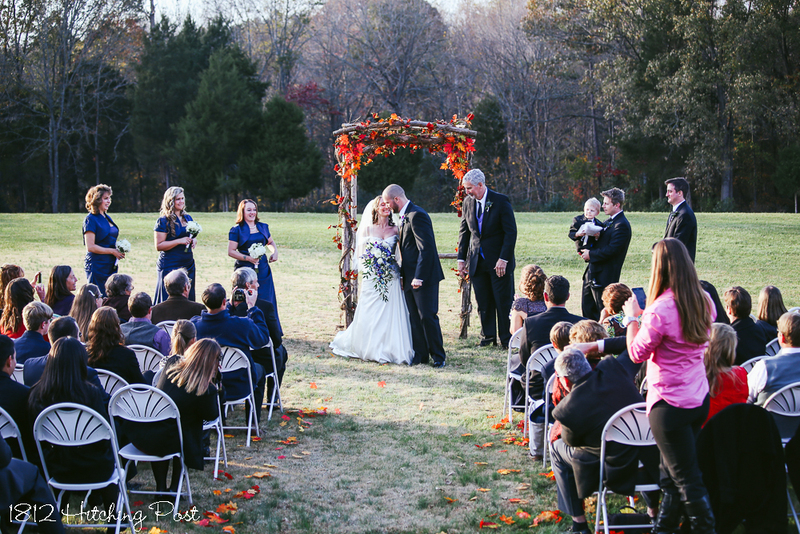 Florists were on the property for three days arranging flowers for this amazingly beautiful wedding with about 150 guests on October 20th. 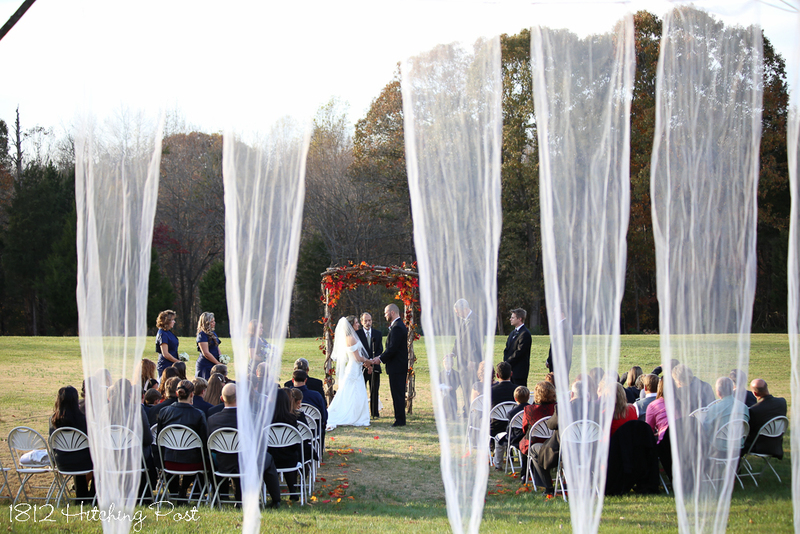 The day of the wedding was rainy earlier and the ground was wet. 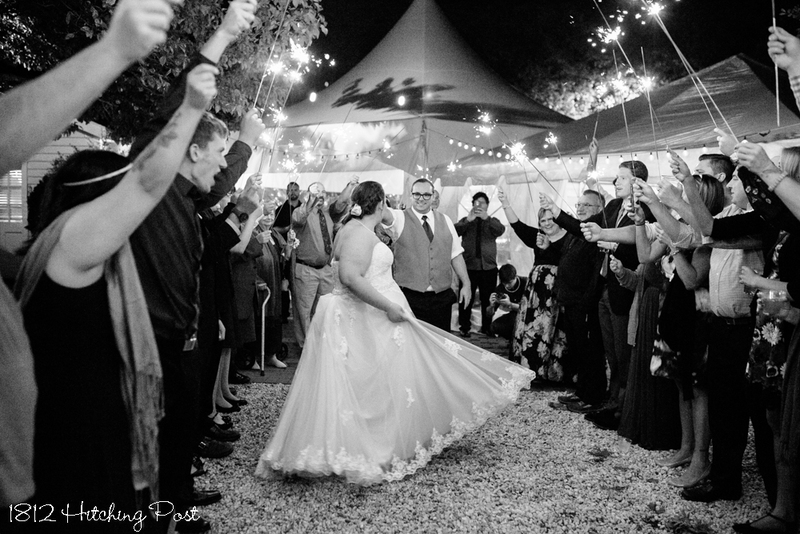 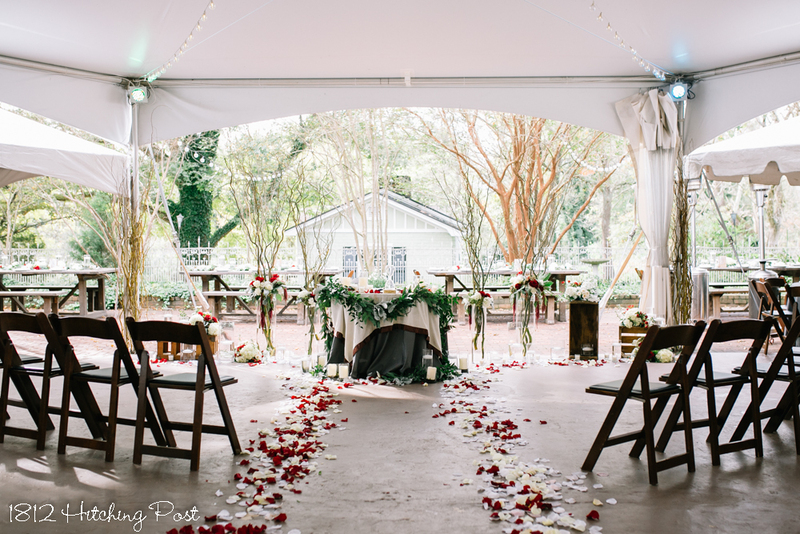 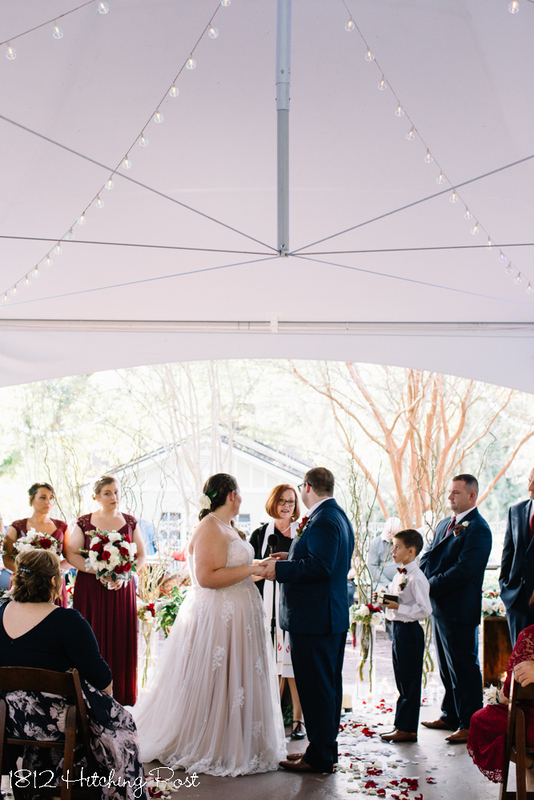 For the comfort of guests, the couple opted to have their ceremony under the tent. 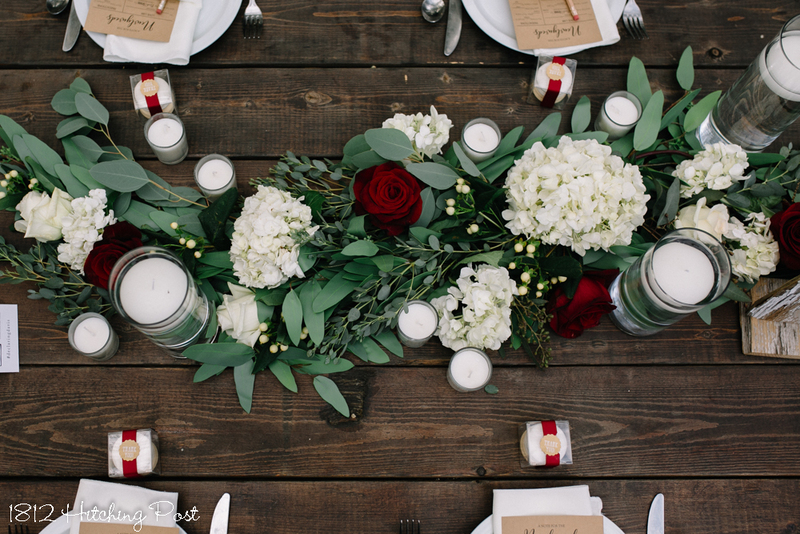 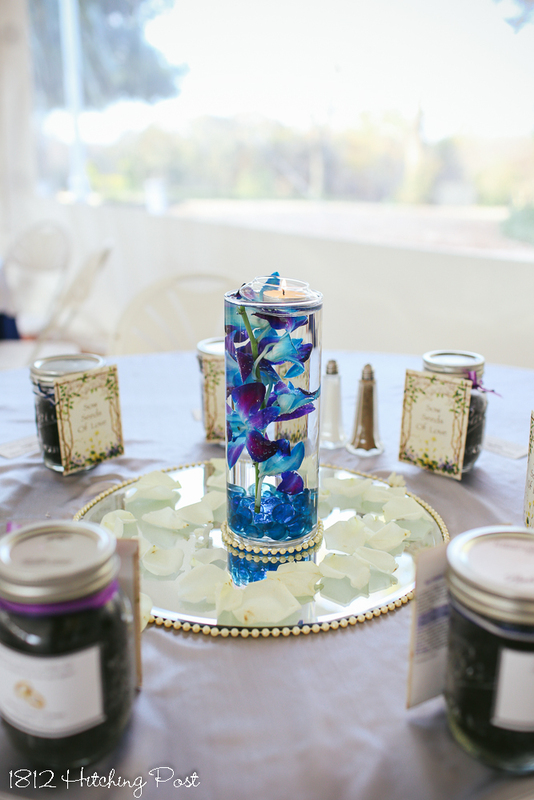 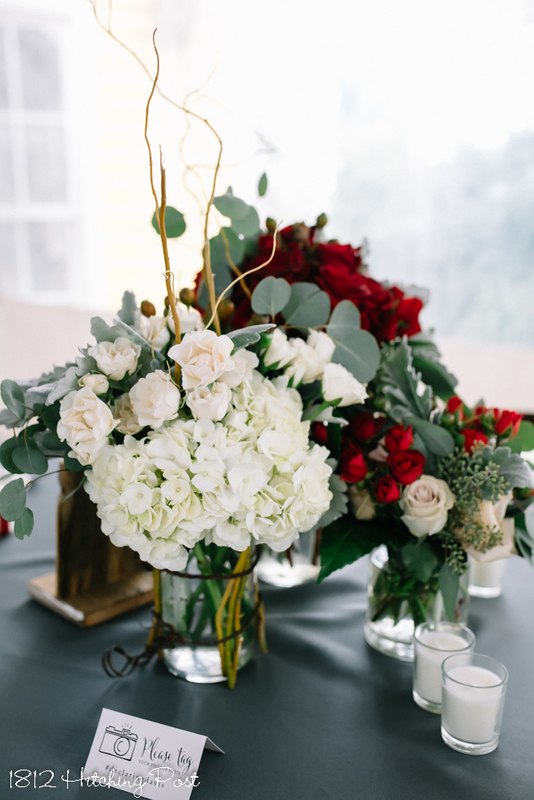 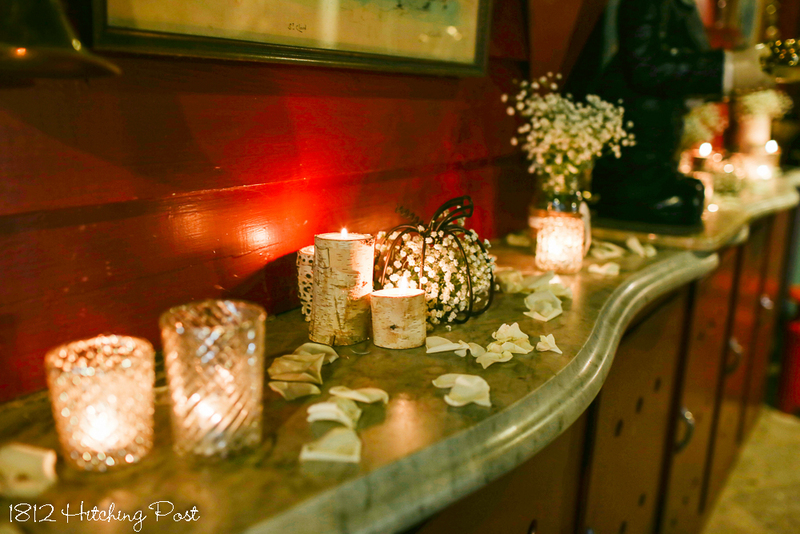 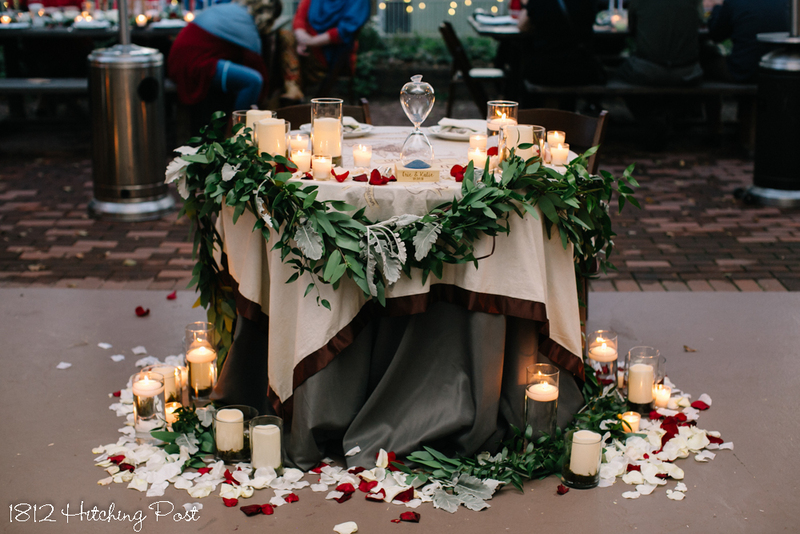 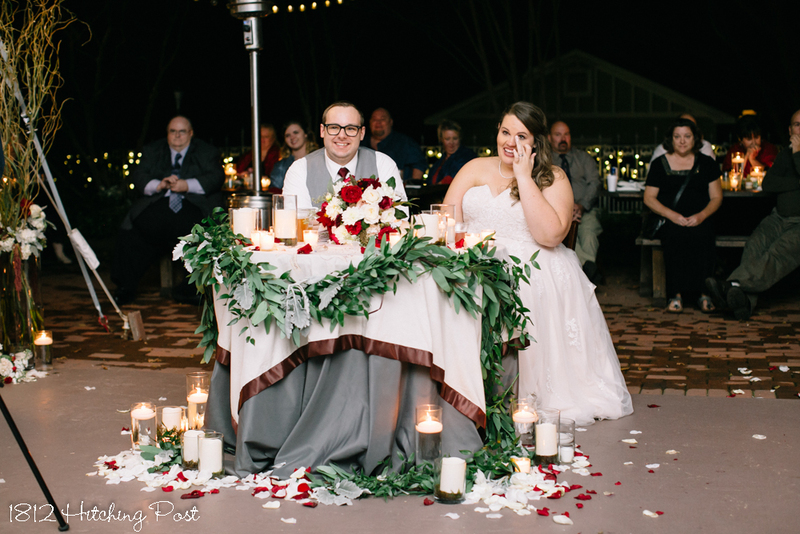 With candles and flowers everywhere, the reception space was transformed into a wonderland. 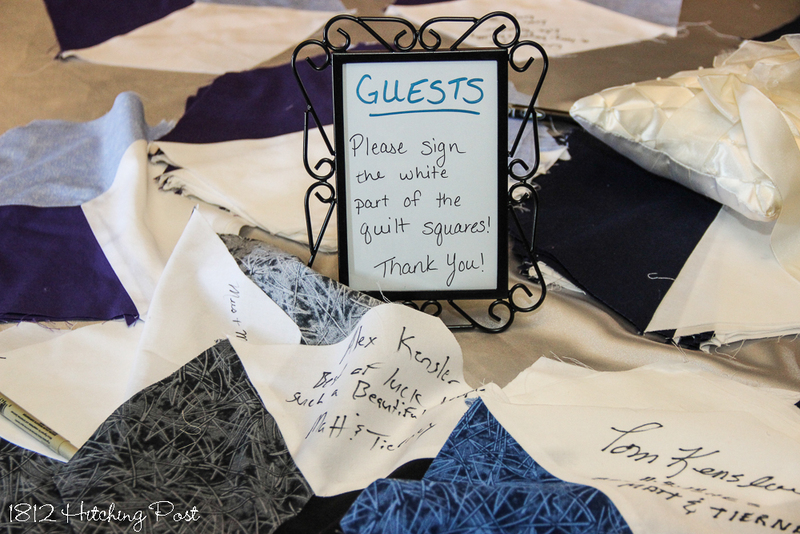 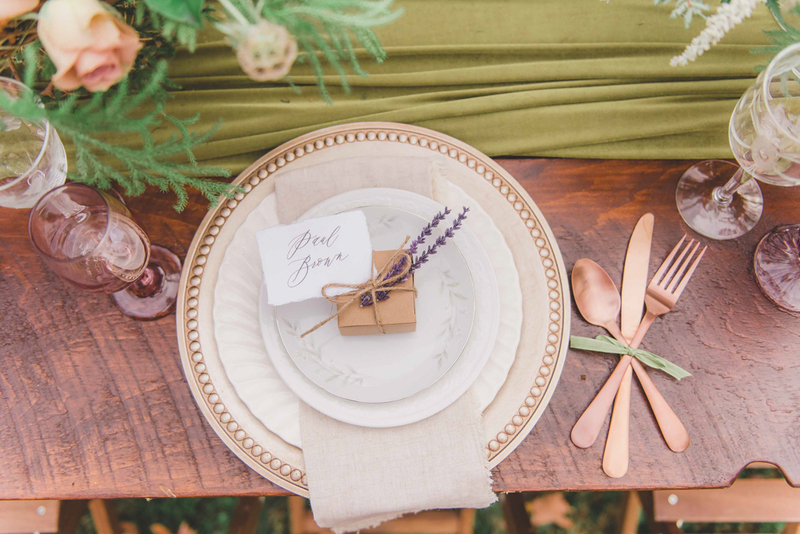 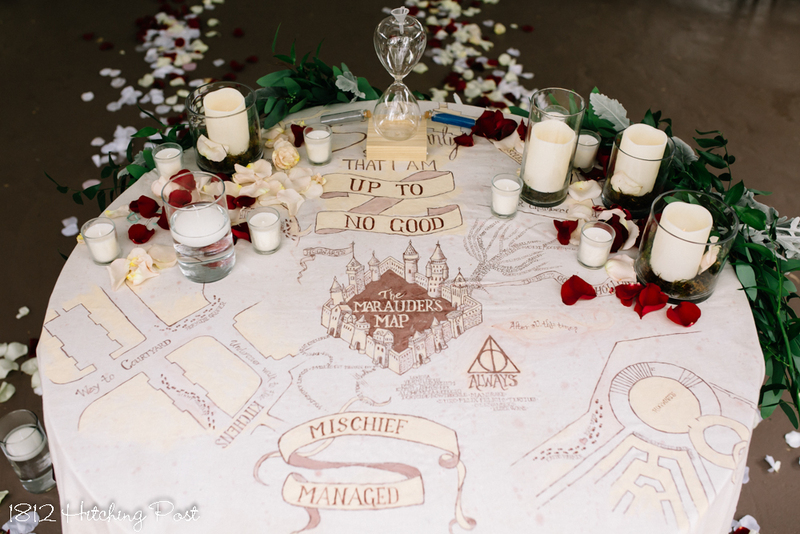 The sweetheart table was especially lush and interesting with a hand painted map tablecloth. 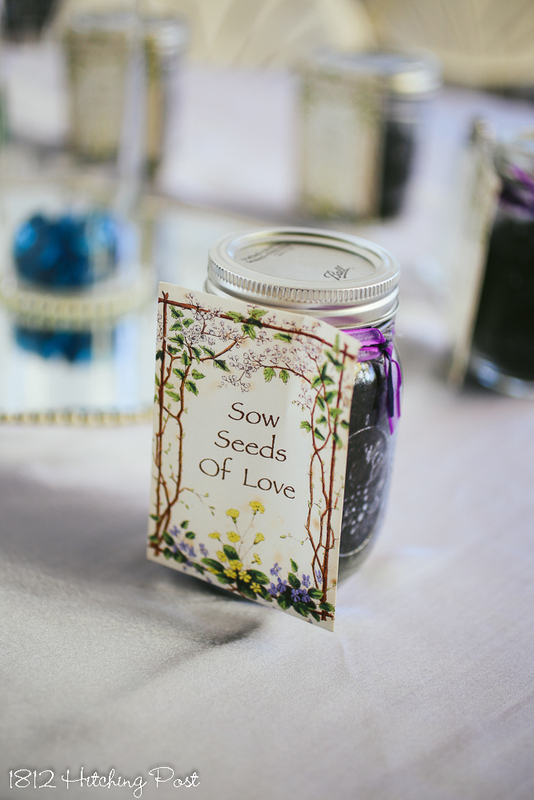 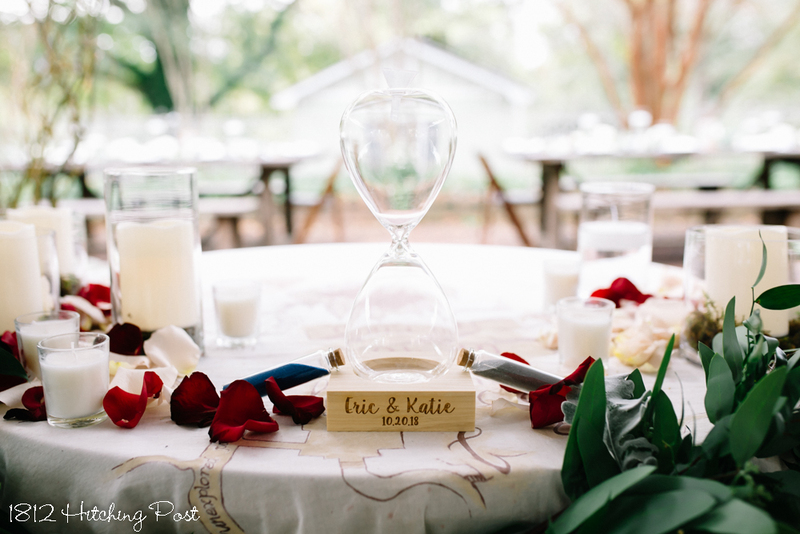 The couple created an hourglass with sand as part of their unity ceremony. 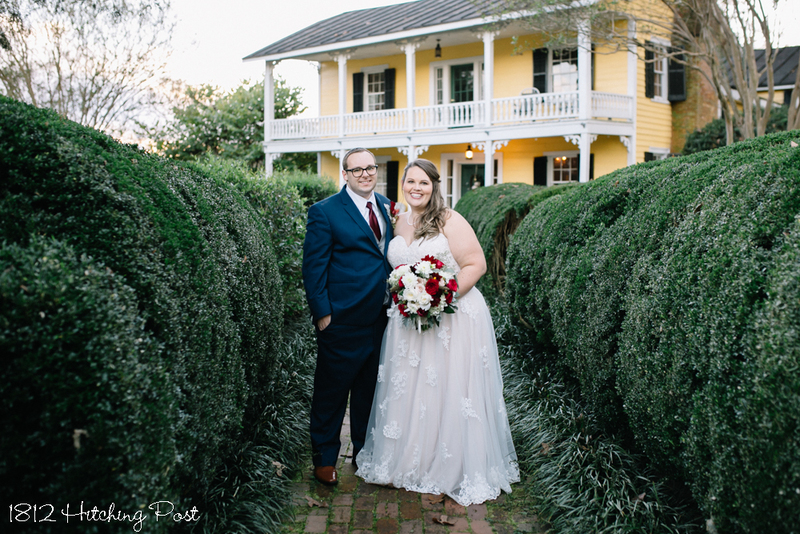 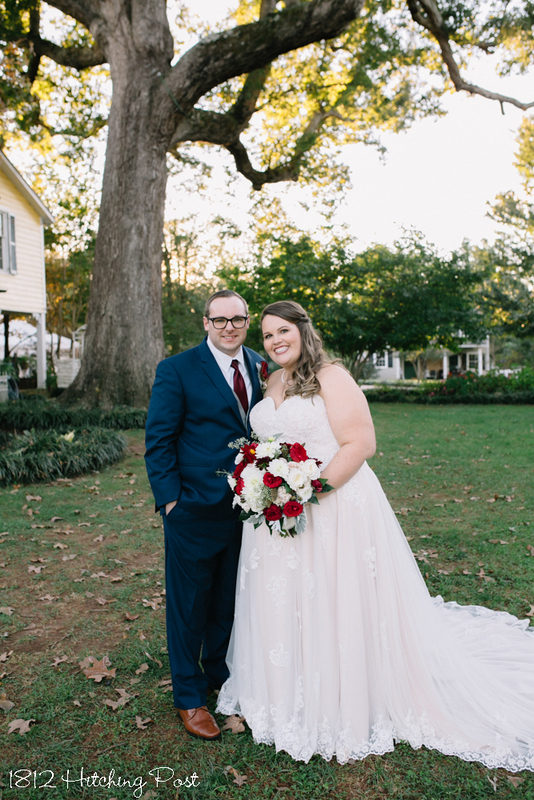 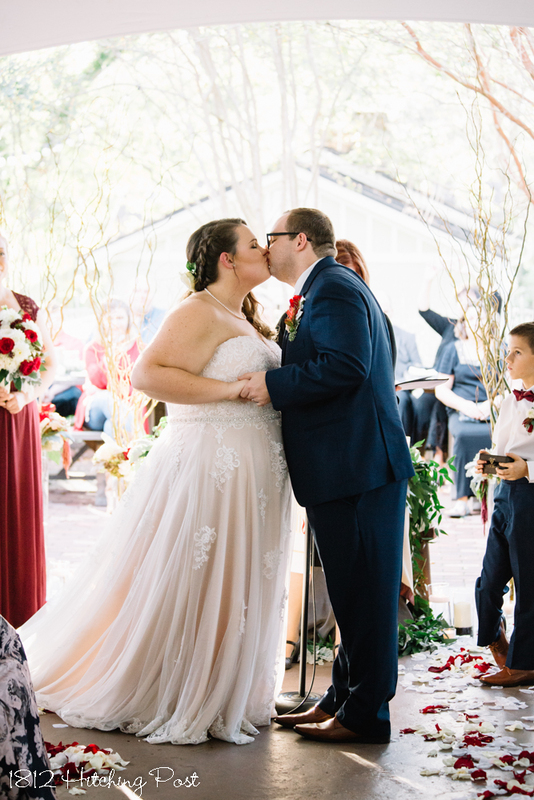 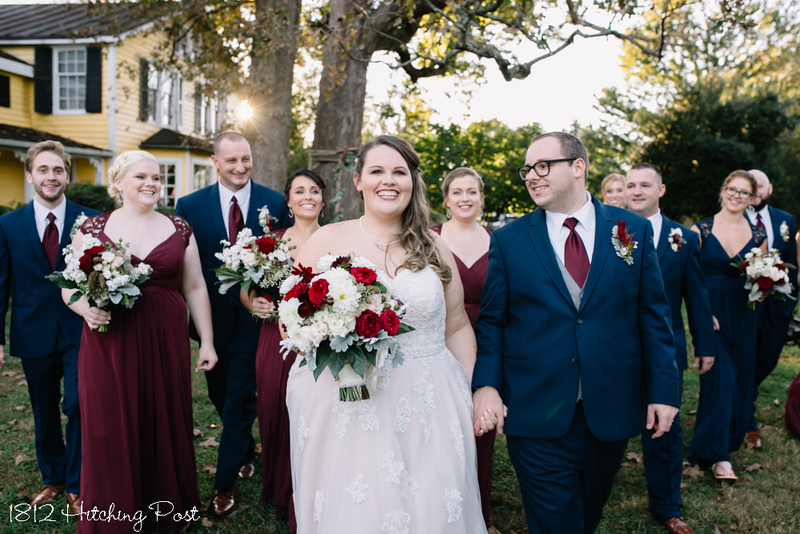 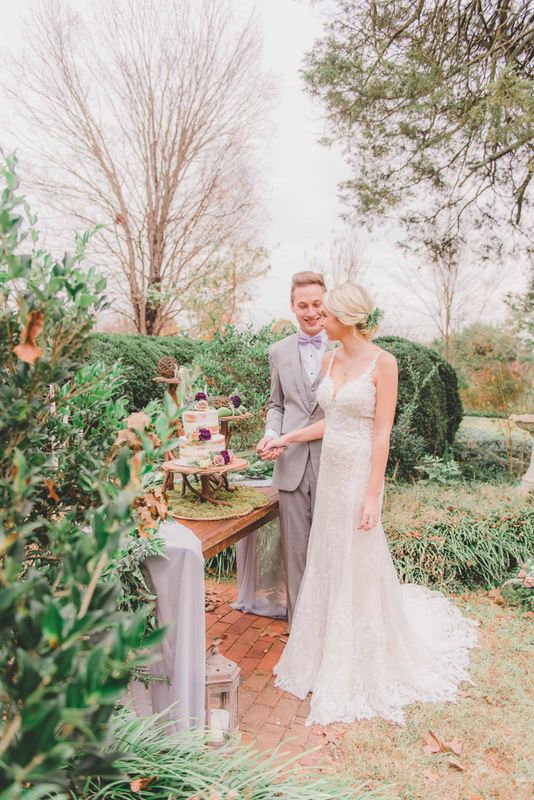 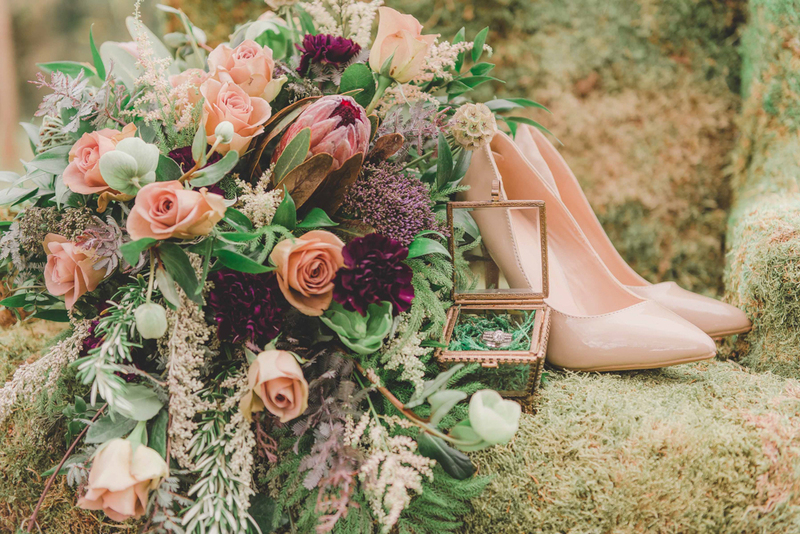 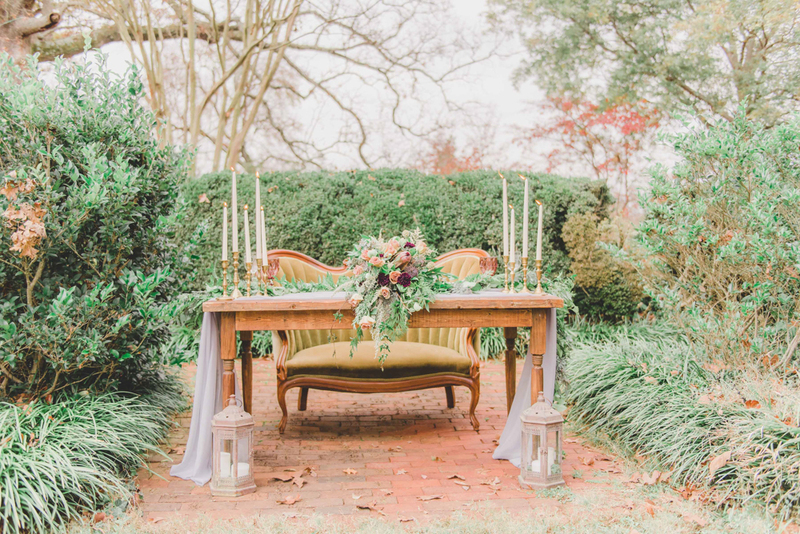 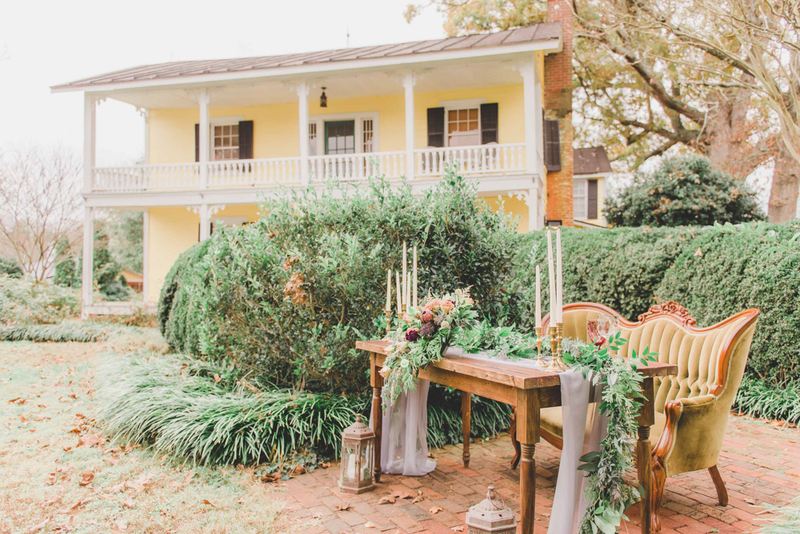 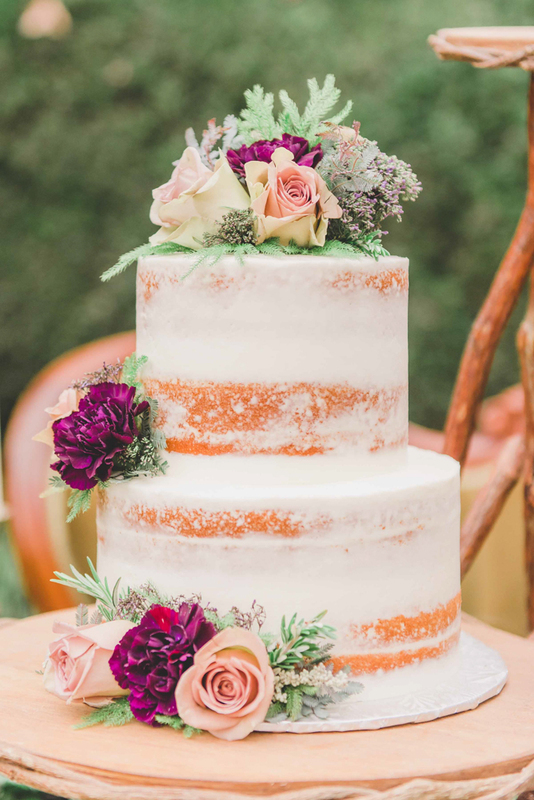 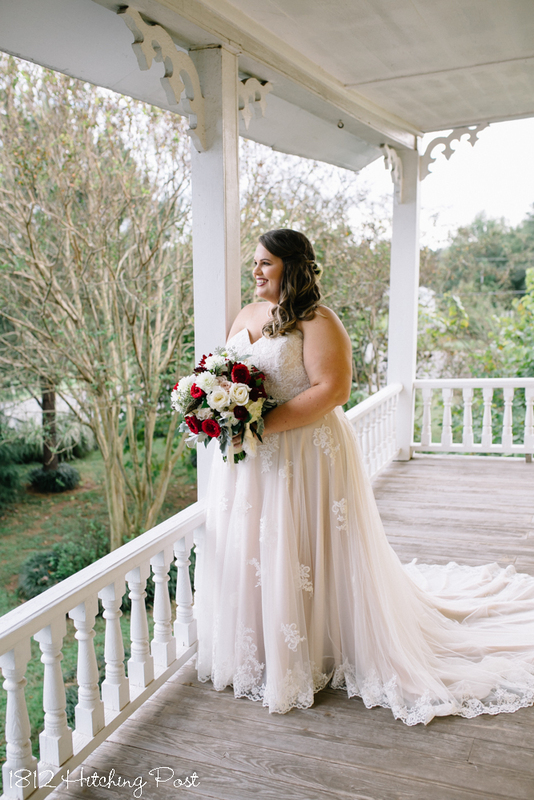 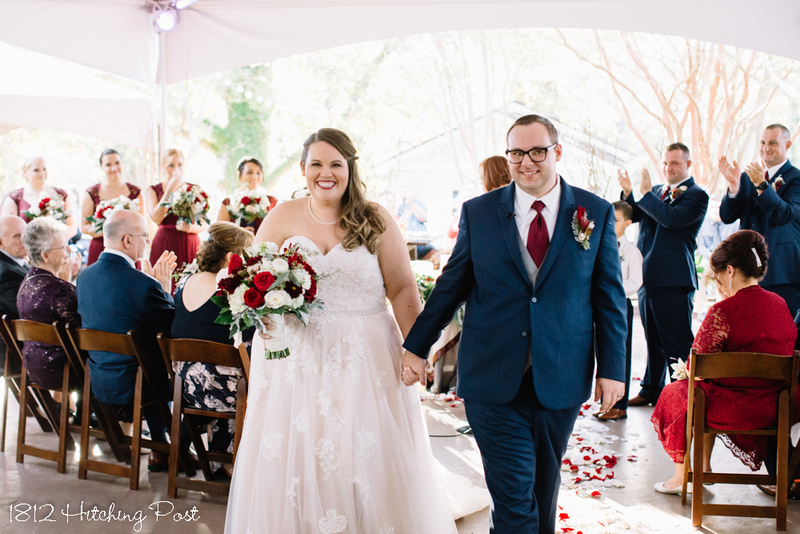 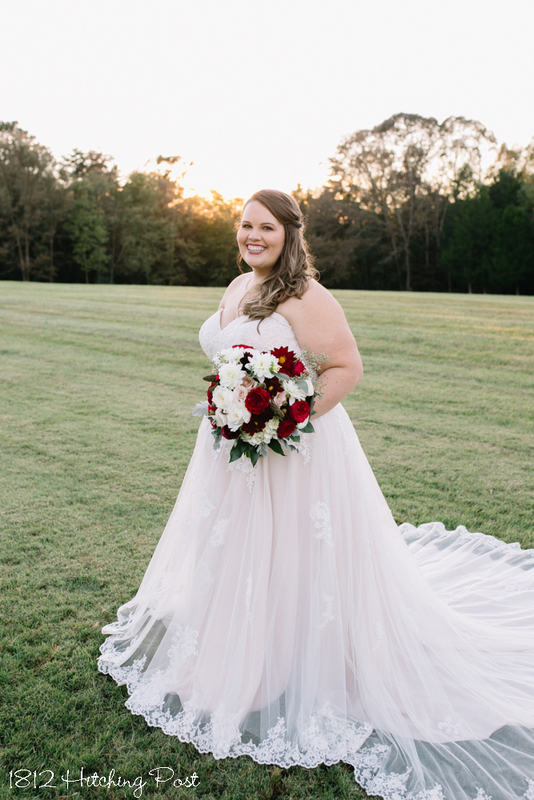 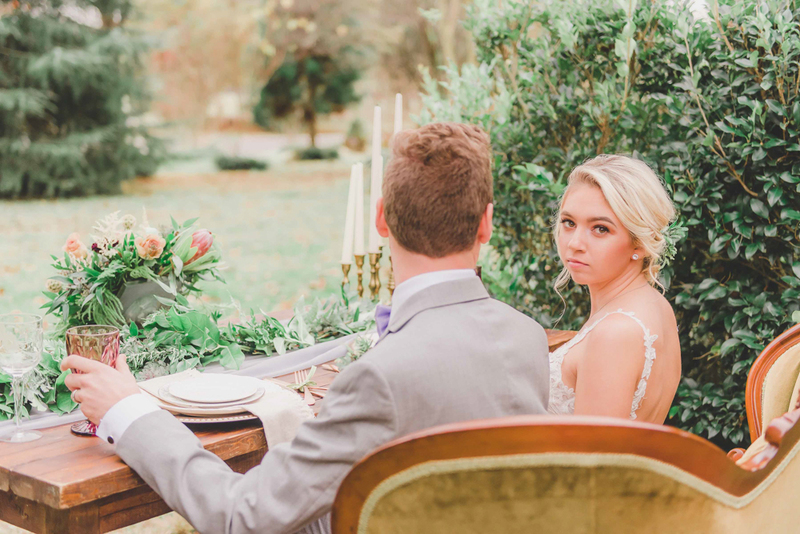 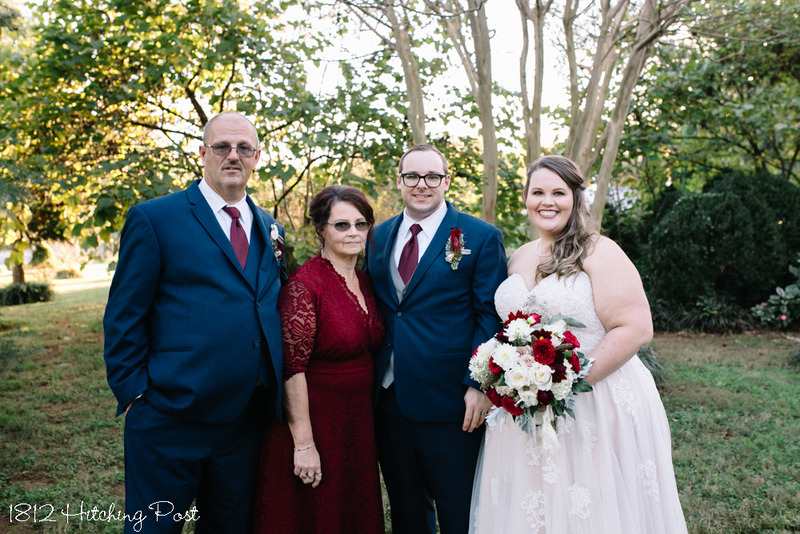 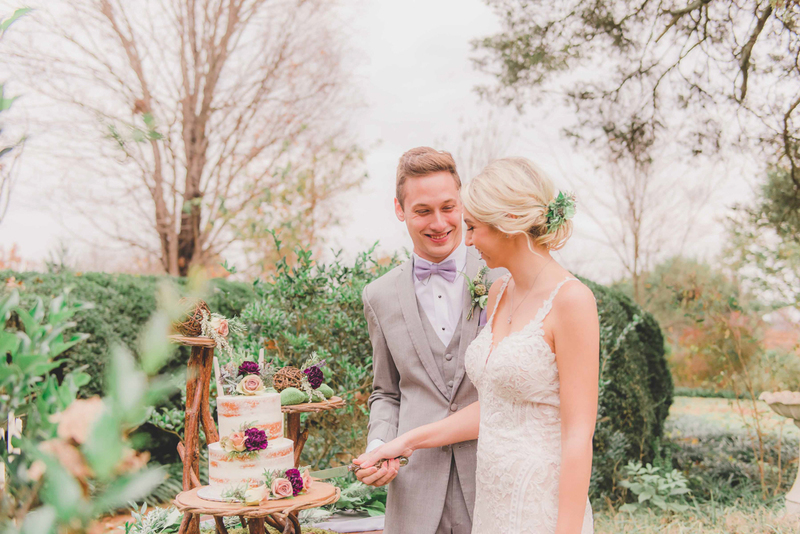 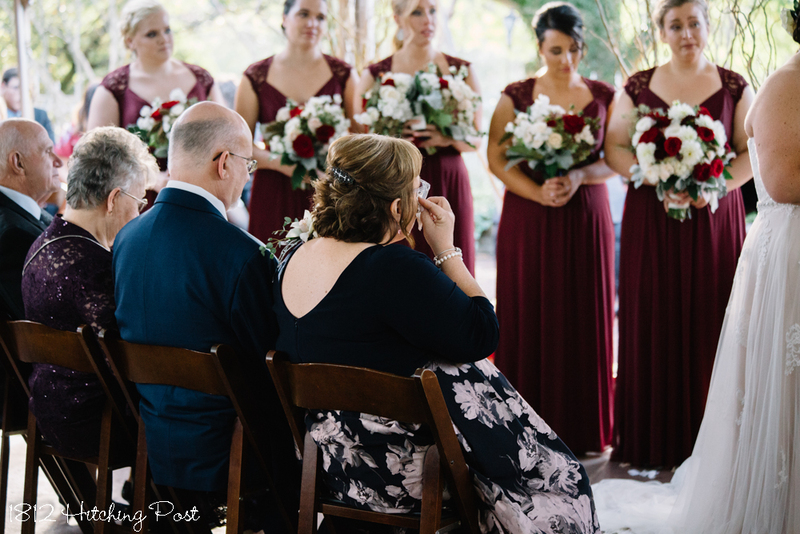 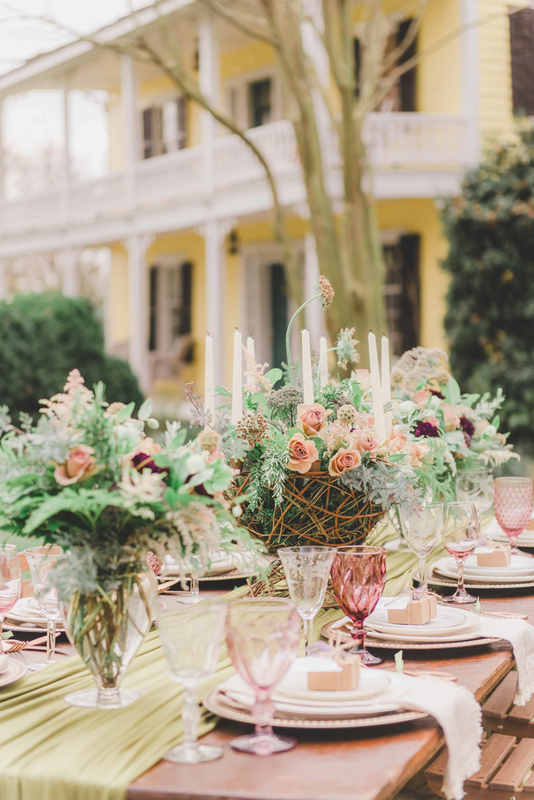 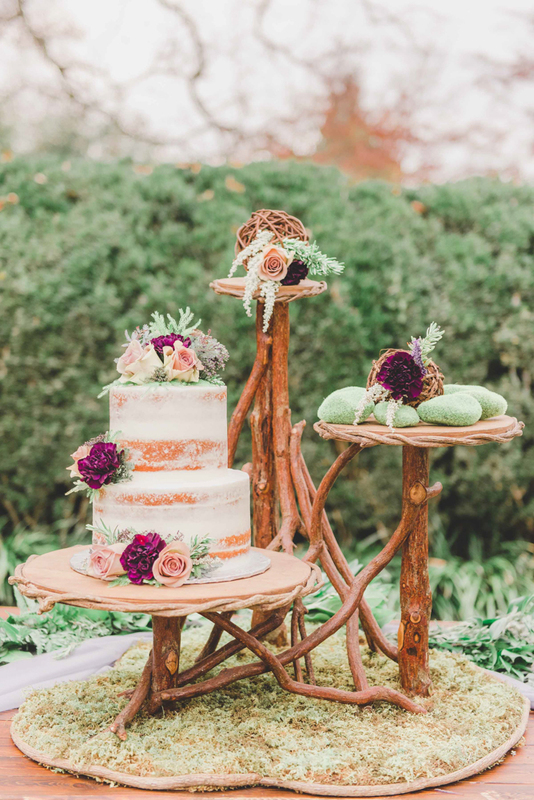 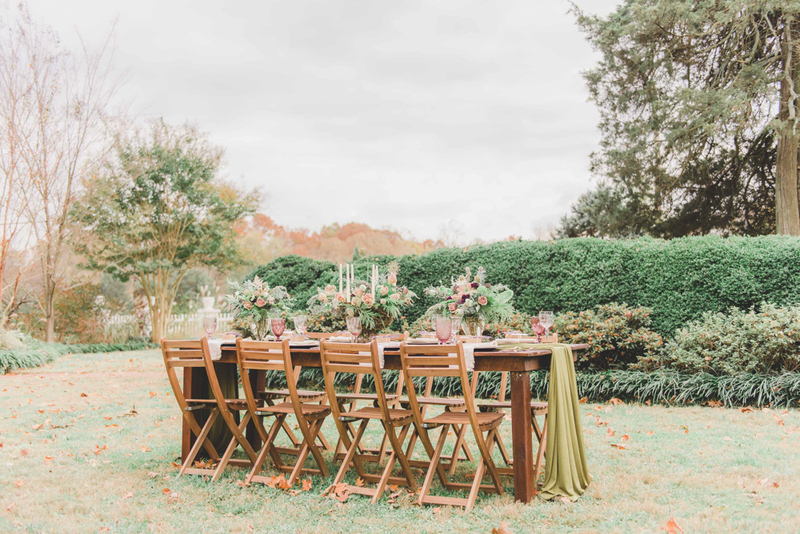 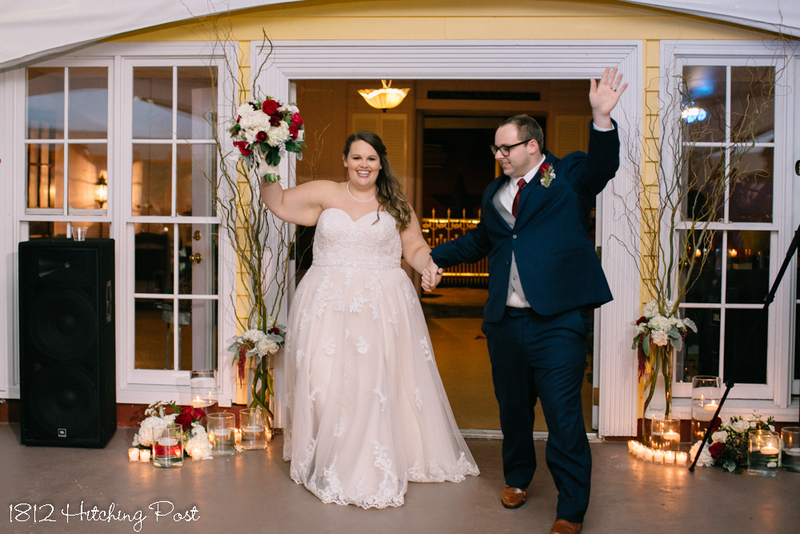 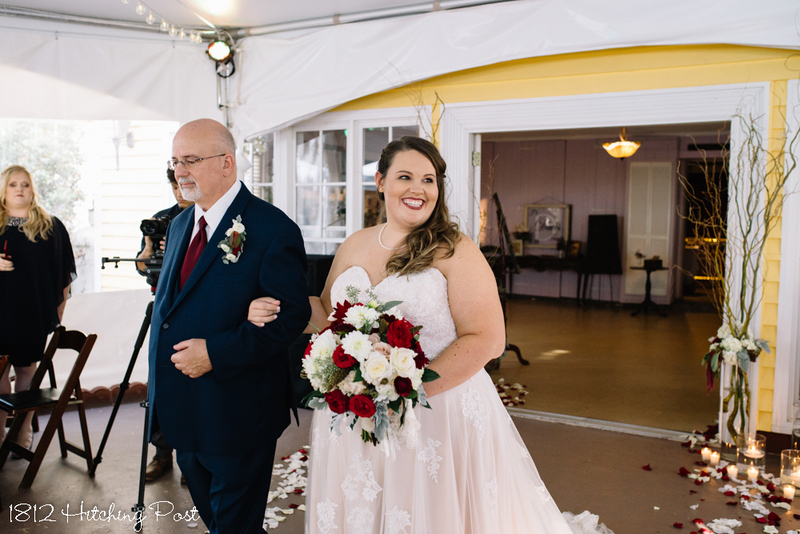 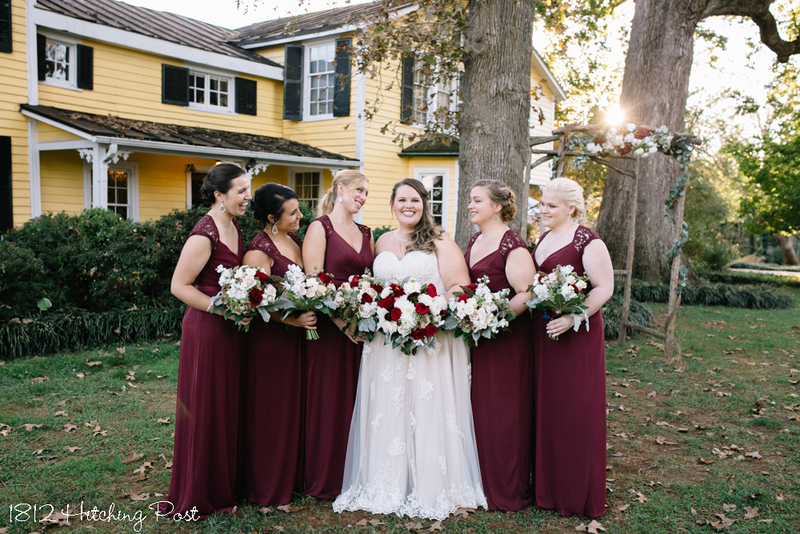 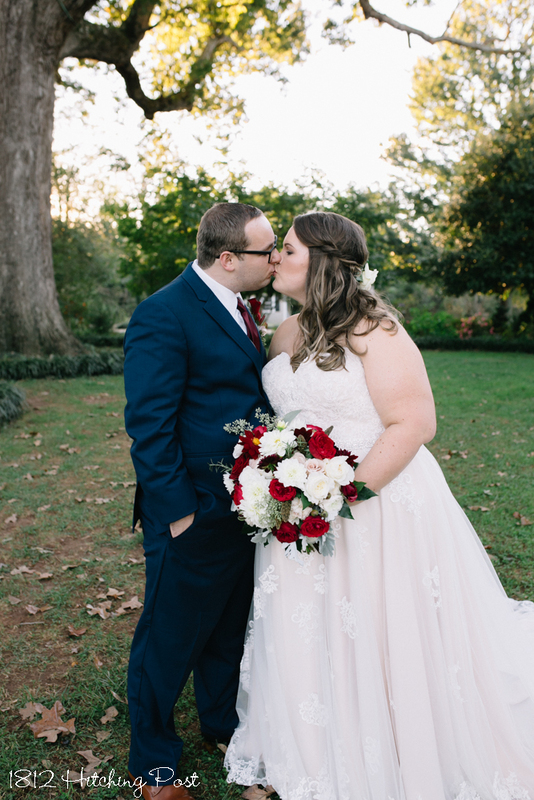 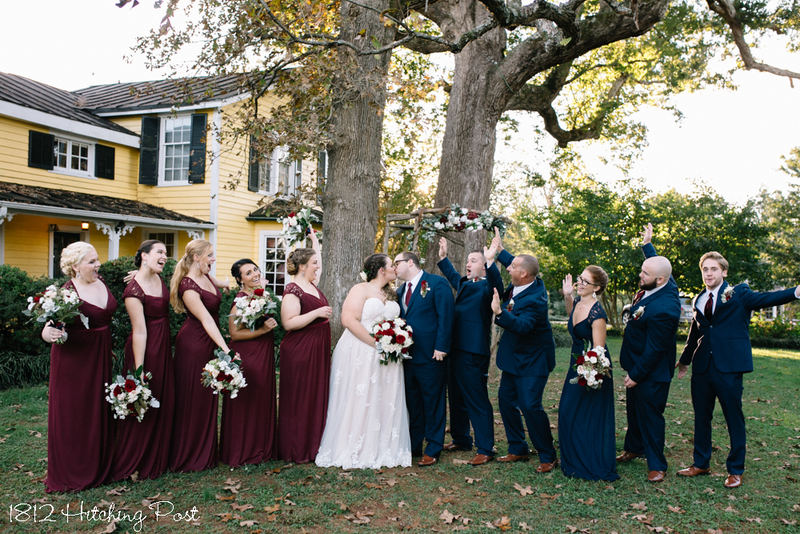 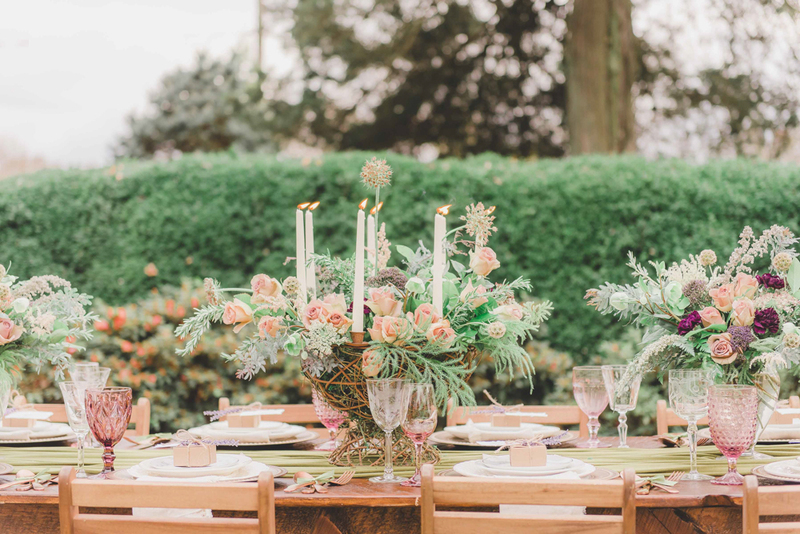 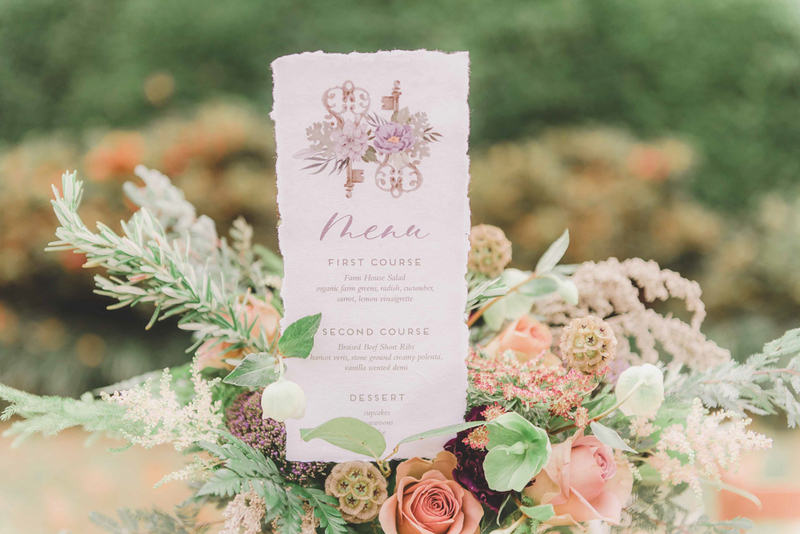 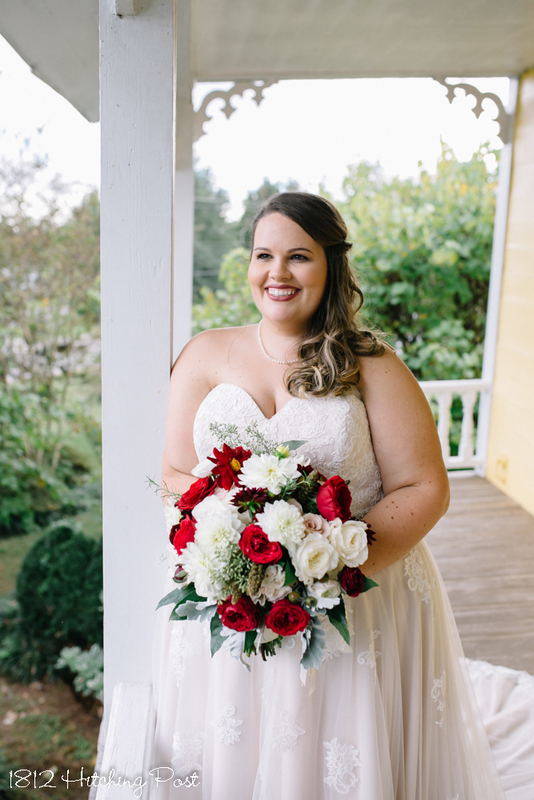 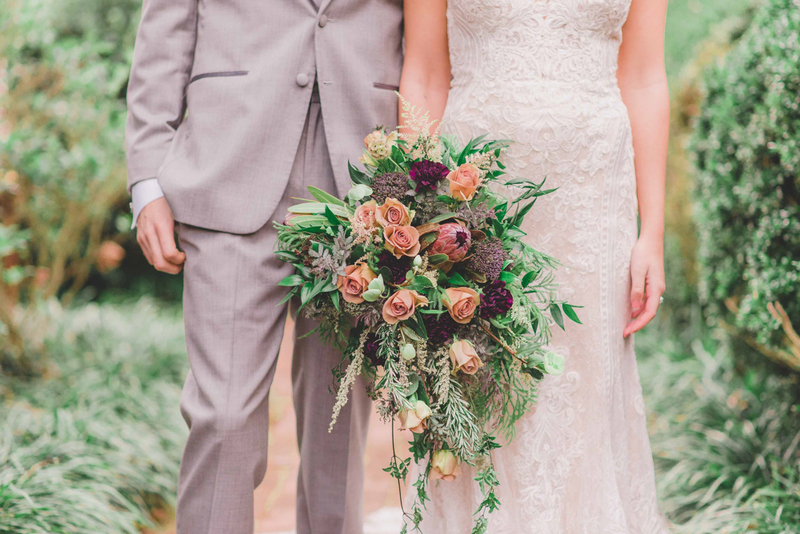 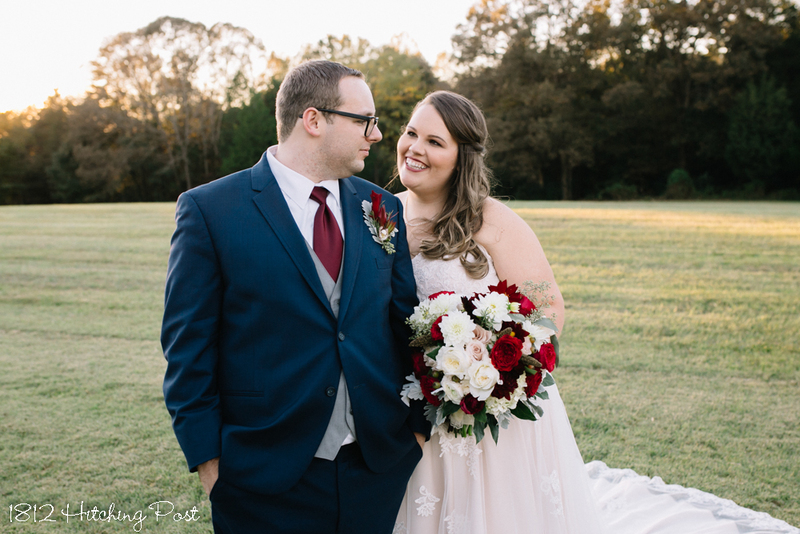 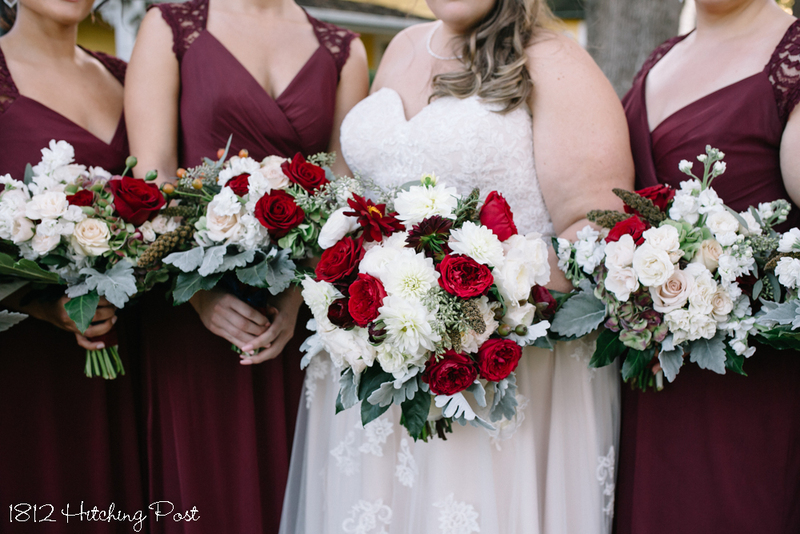 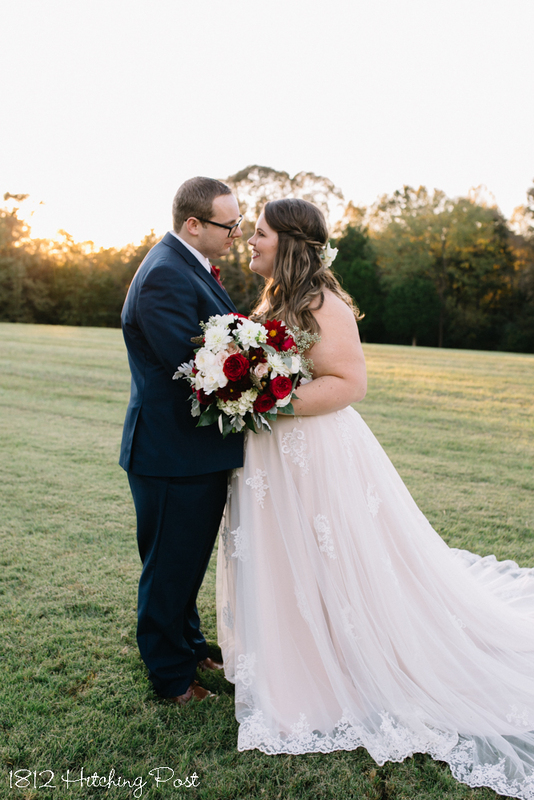 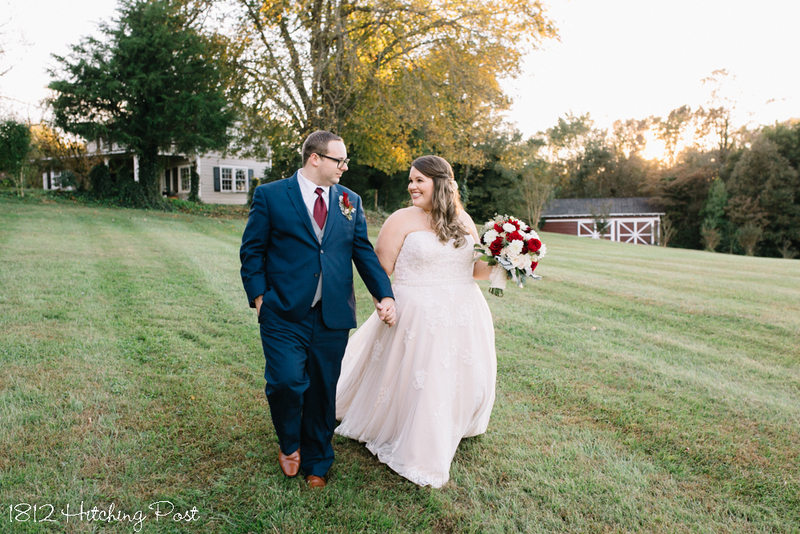 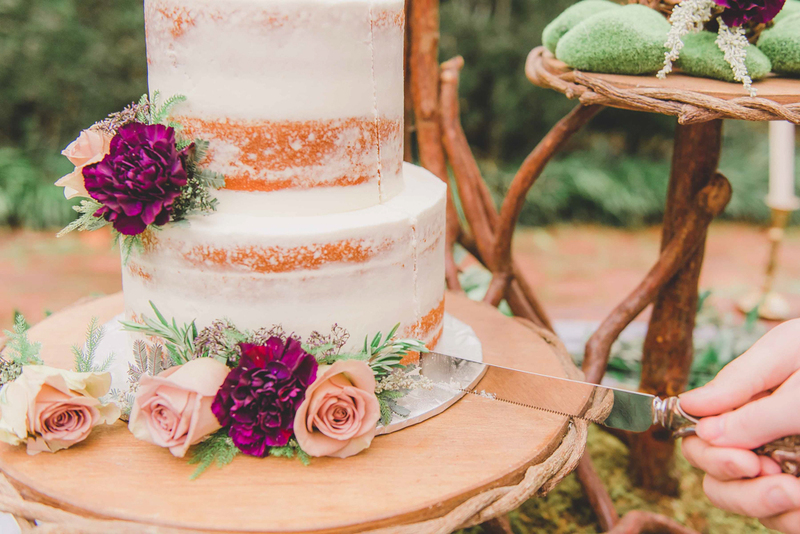 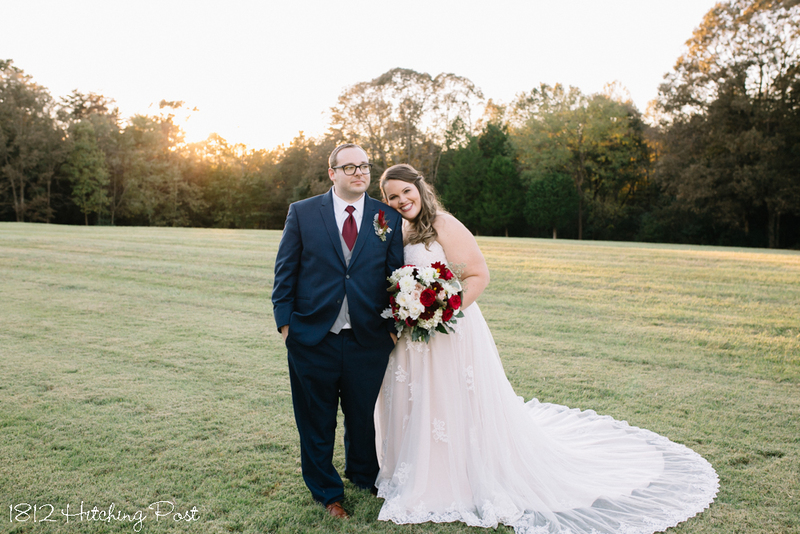 Katie’s dress had soft blush tones under lace and her bouquets and centerpieces had an English garden theme with wine colored roses, eucalyptus, and curly willow included. 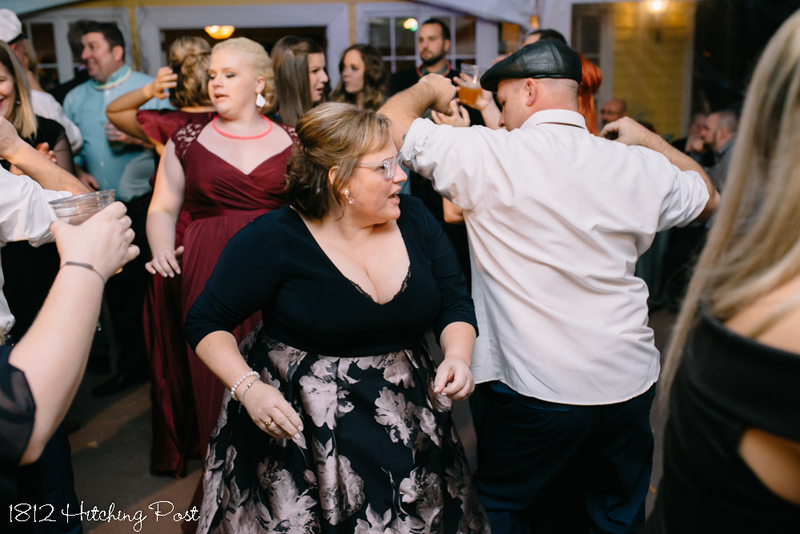 The party was wonderful with lots of dancing and even singing! 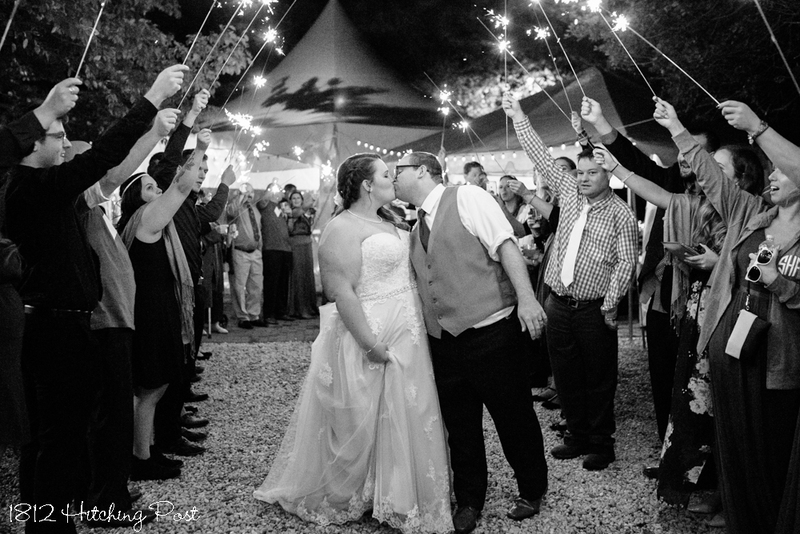 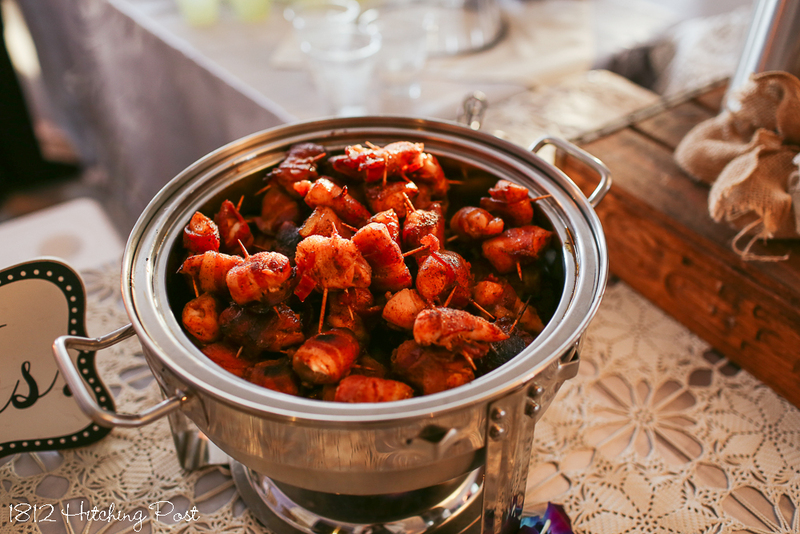 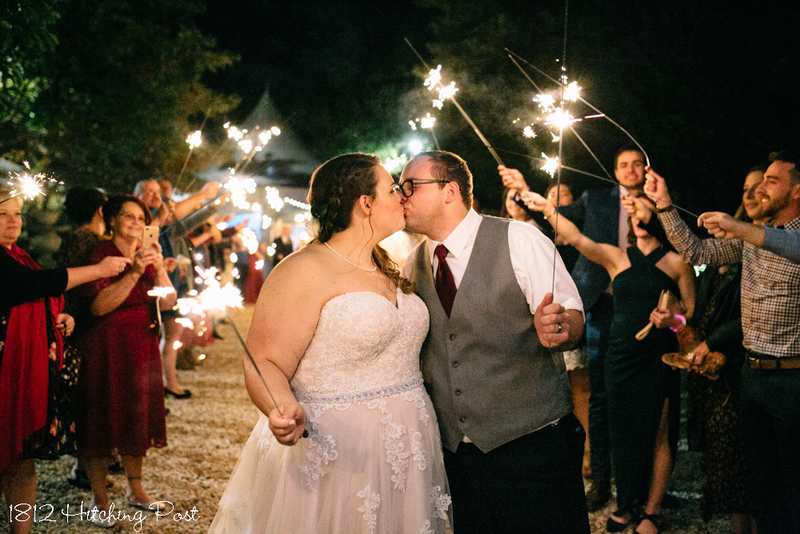 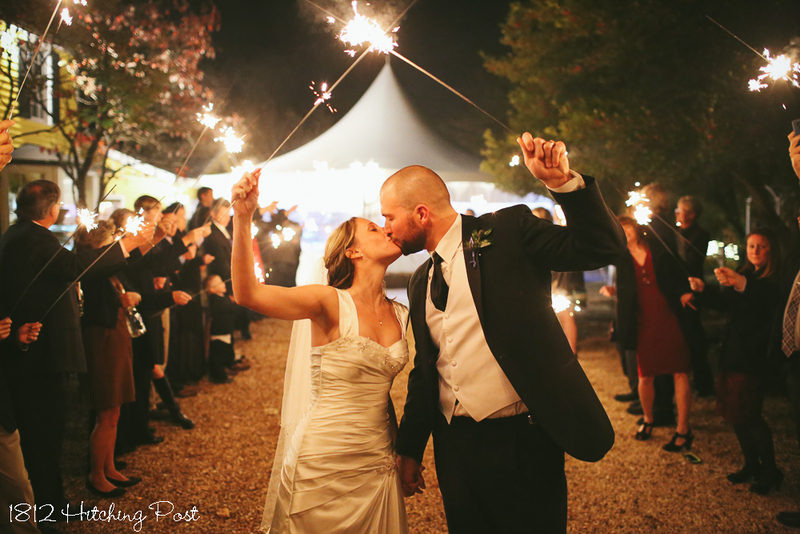 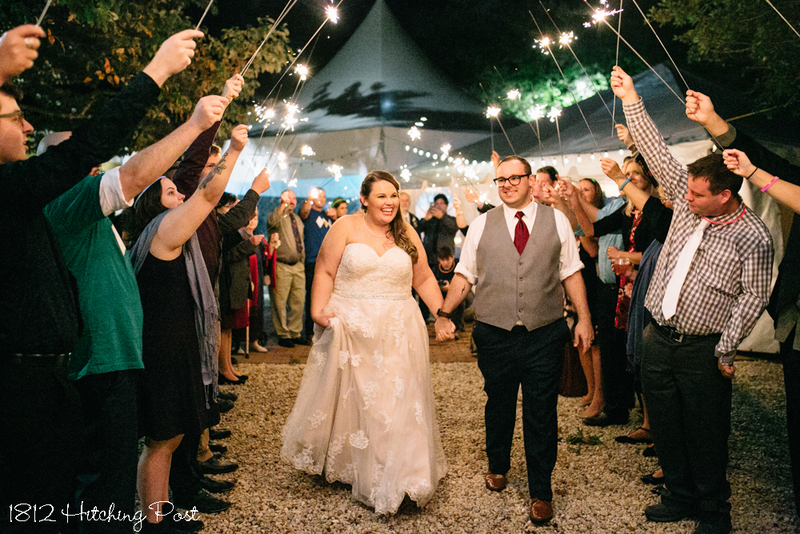 The couple had amazing food and a photo booth at their wedding as well as fire pit with cozy blankets and S’mores and a sparkler send-off. 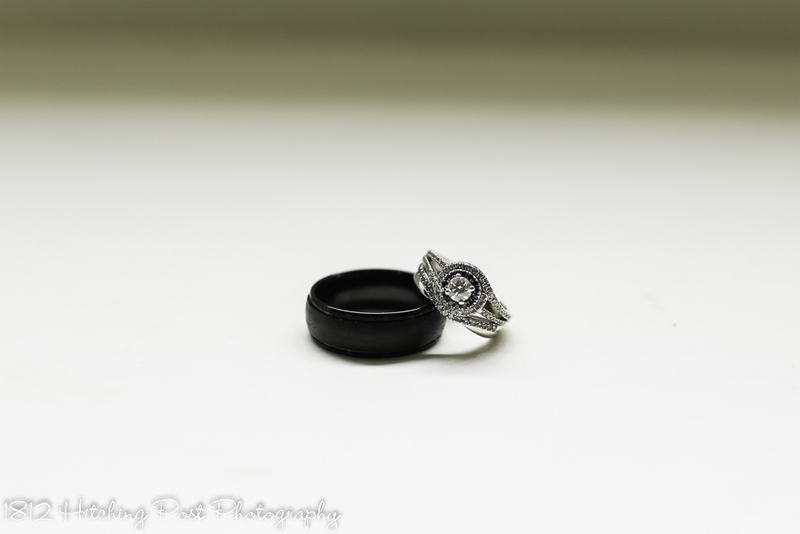 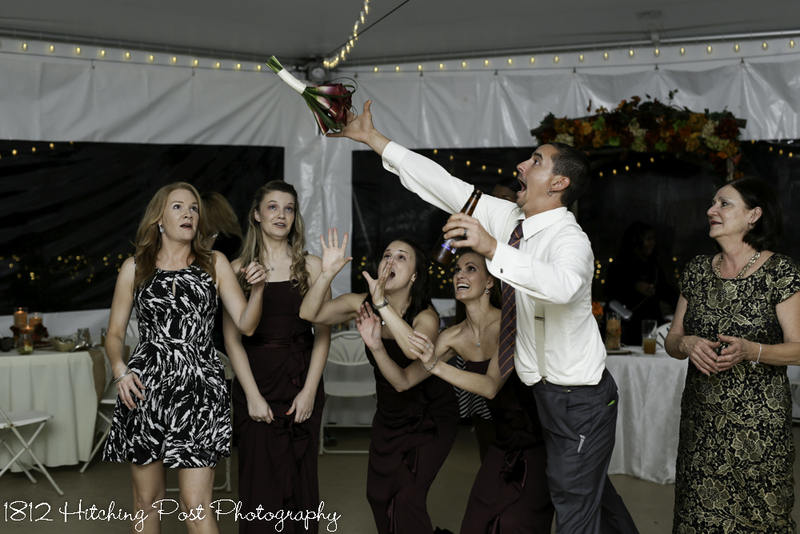 These amazing photos were provided by Taylor Cline Photography.